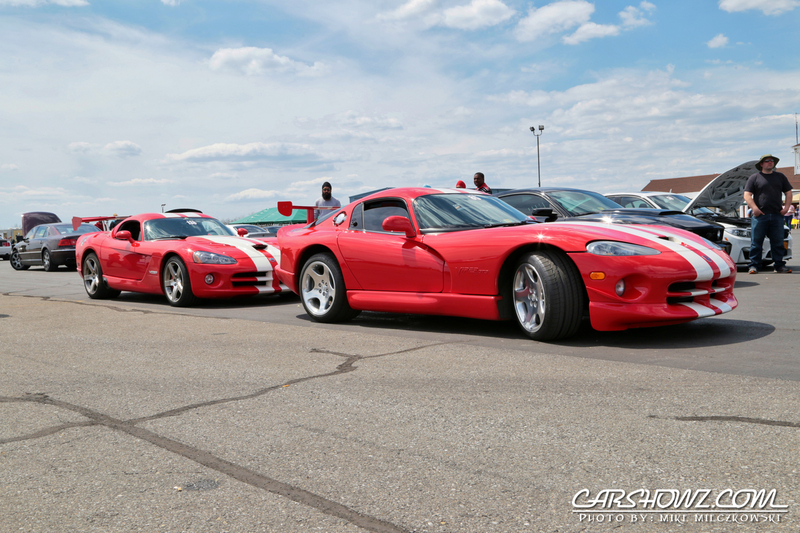 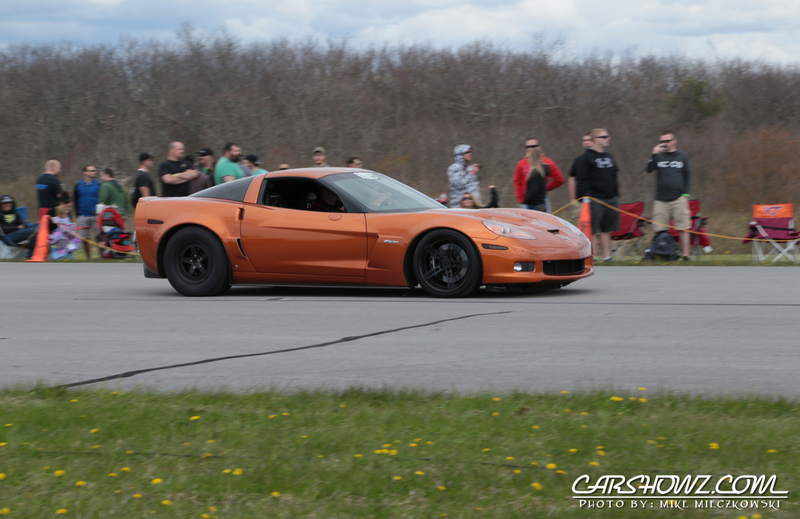 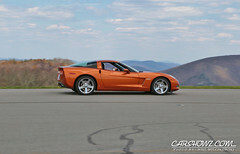 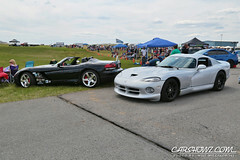 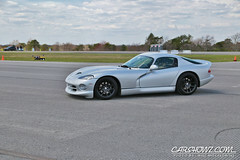 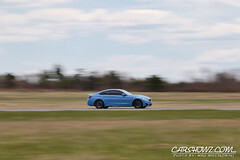 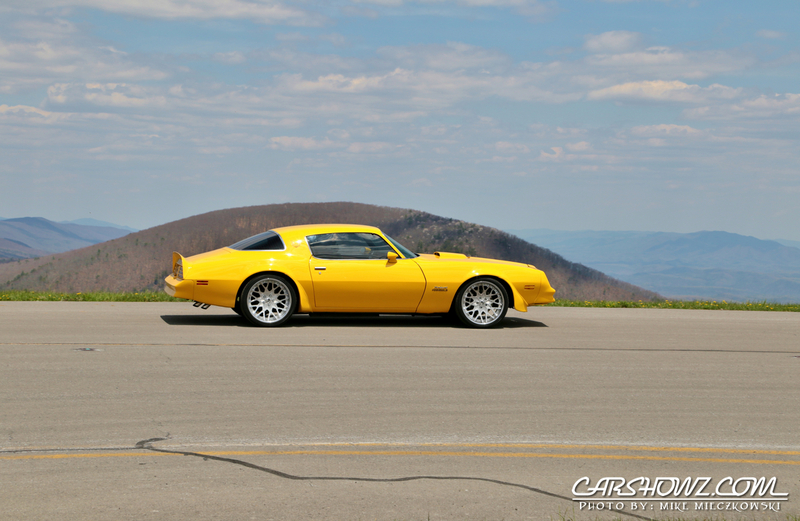 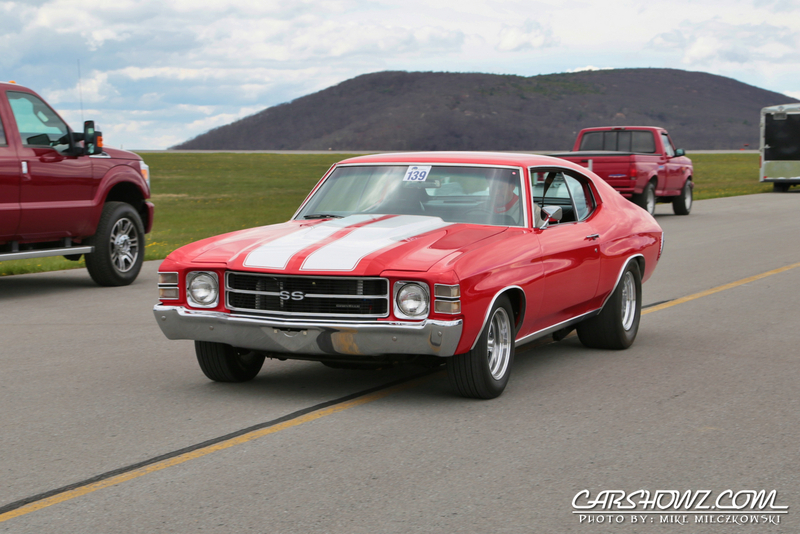 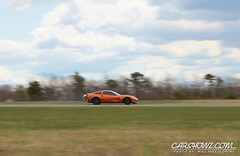 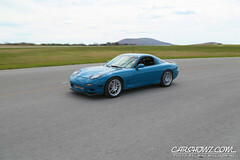 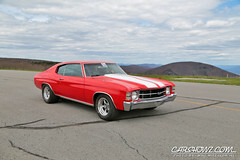 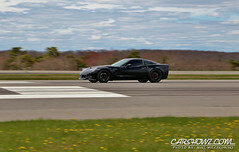 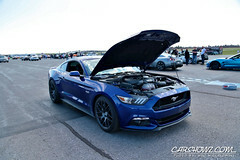 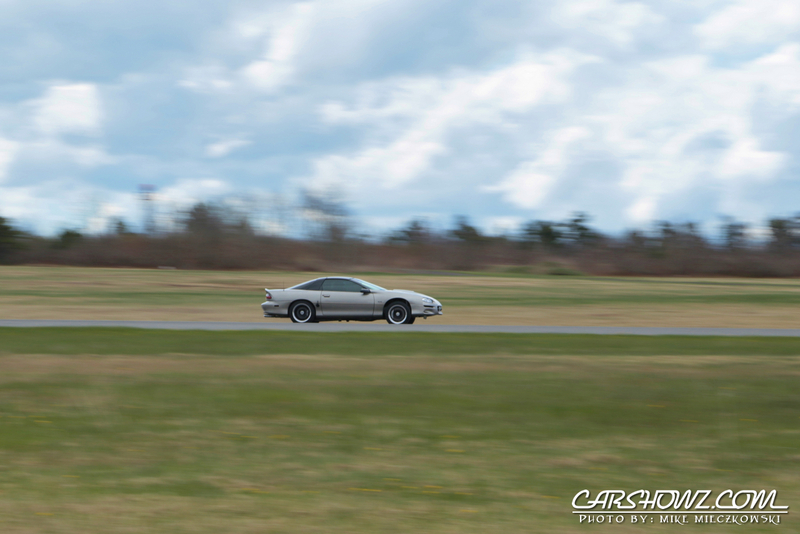 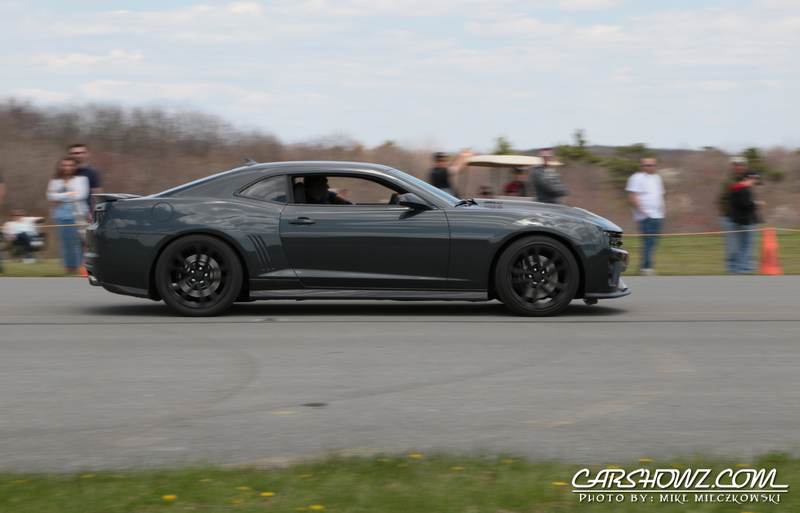 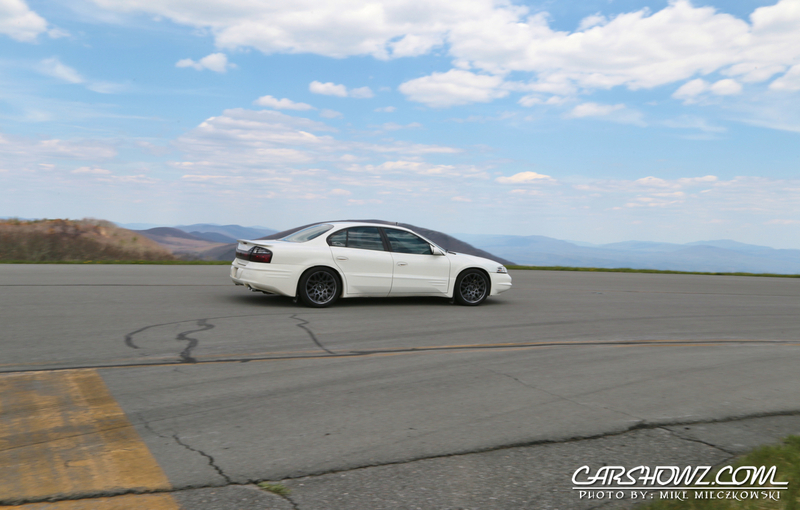 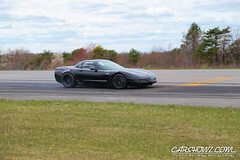 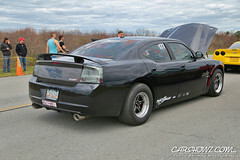 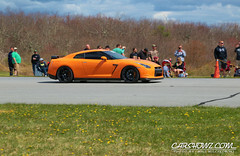 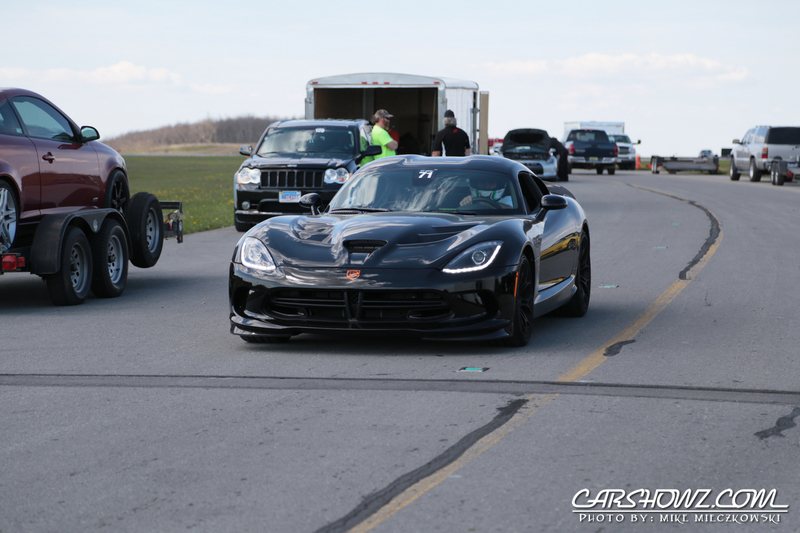 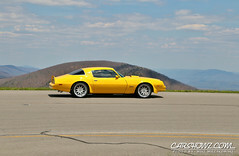 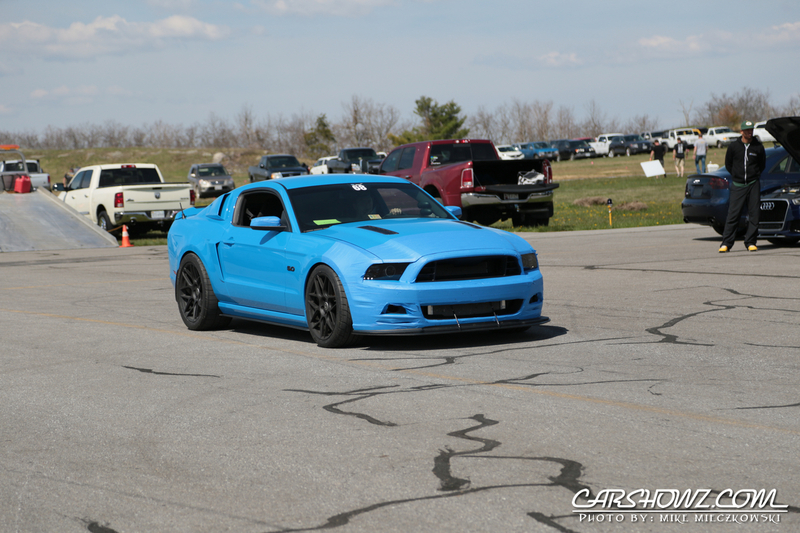 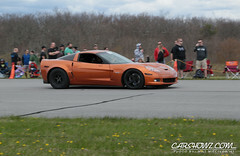 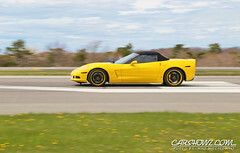 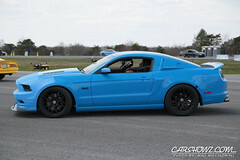 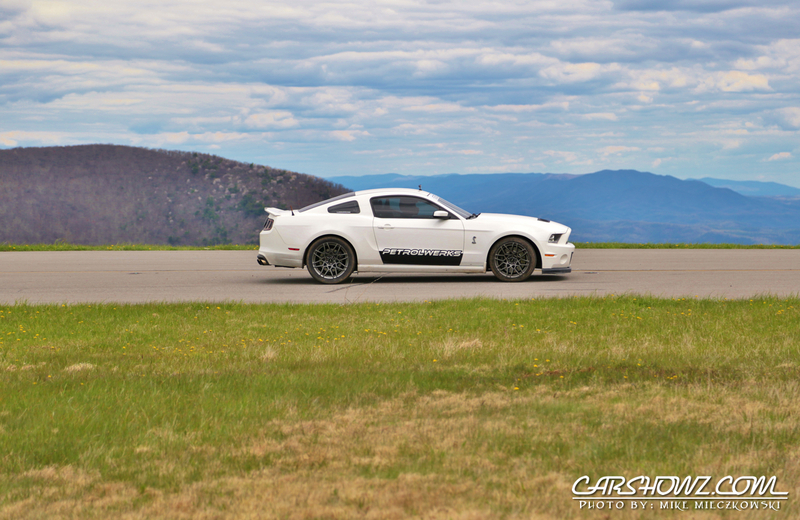 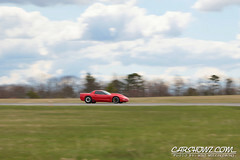 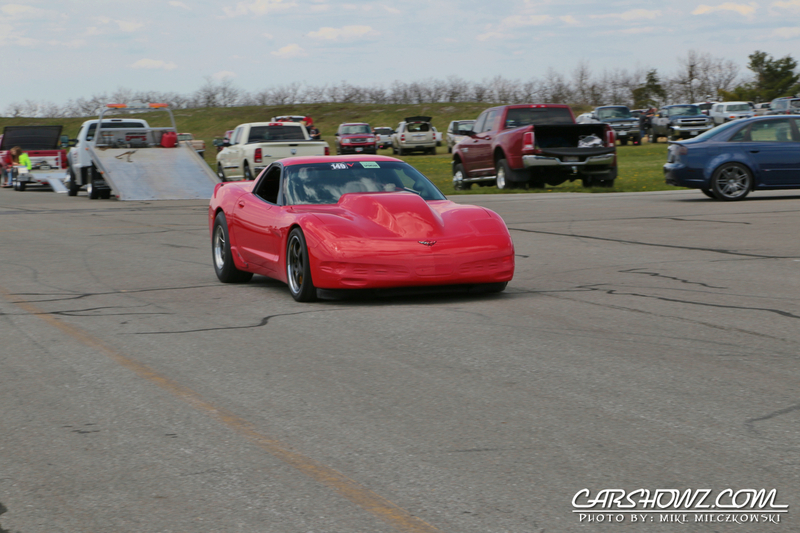 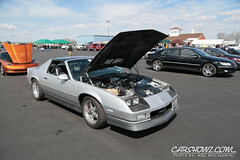 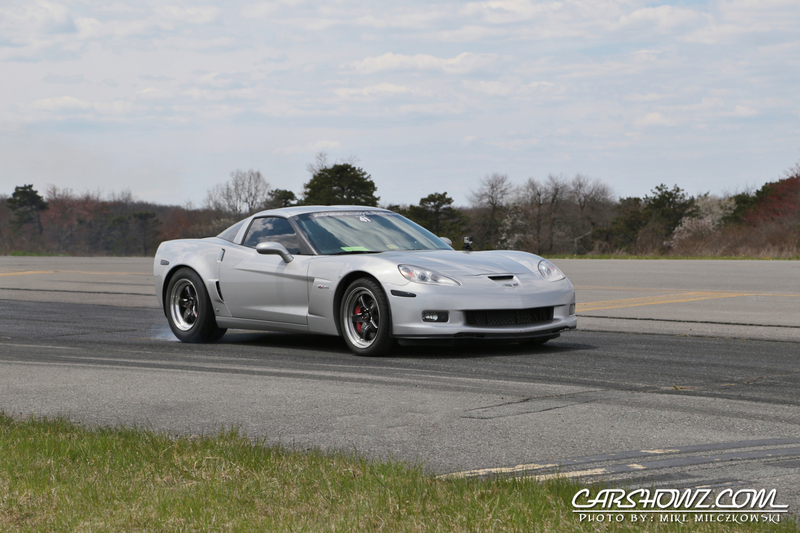 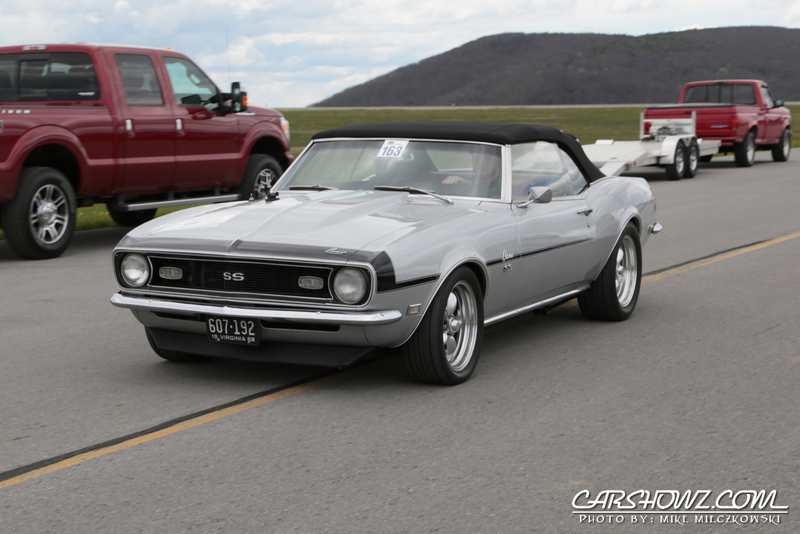 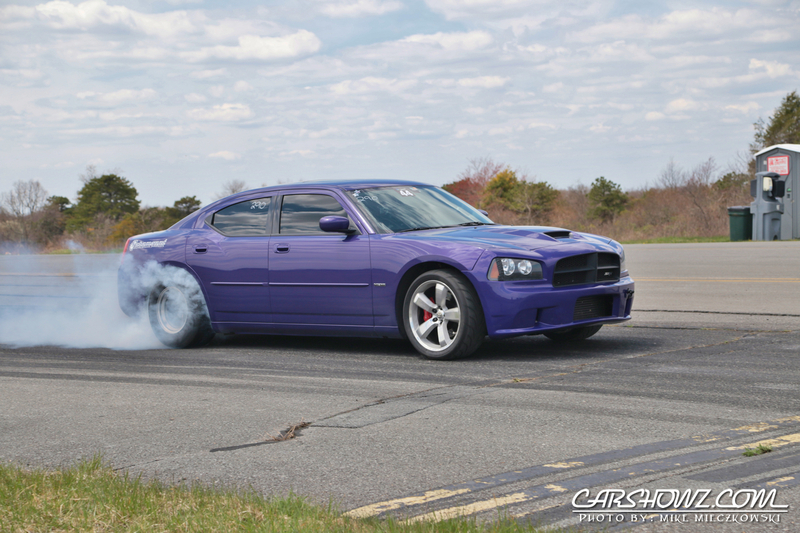 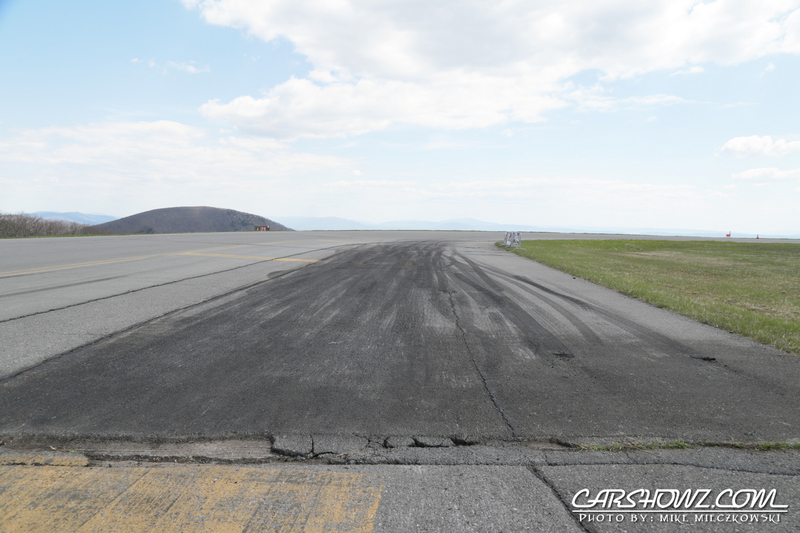 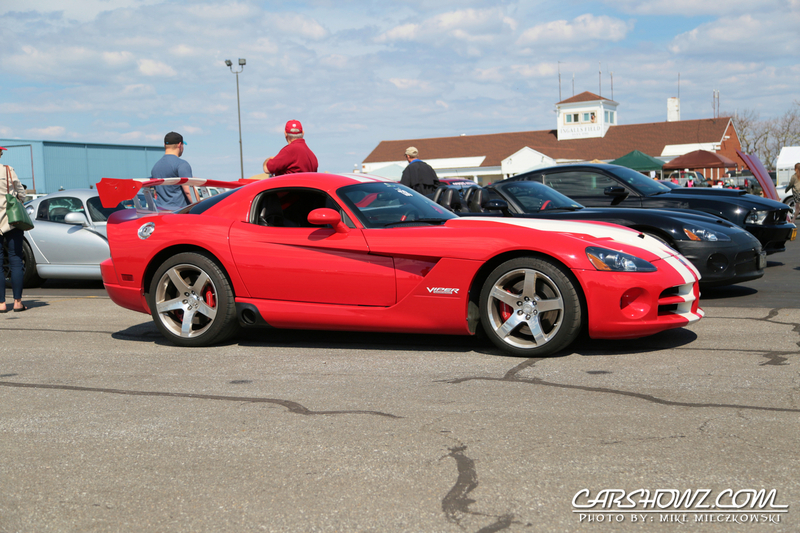 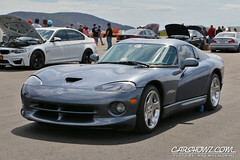 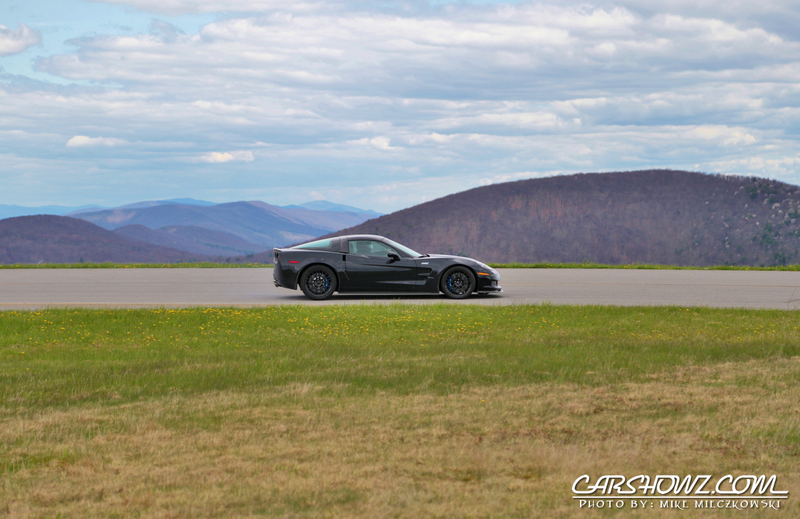 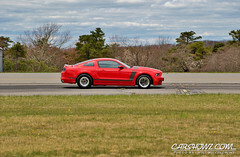 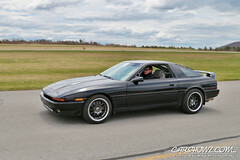 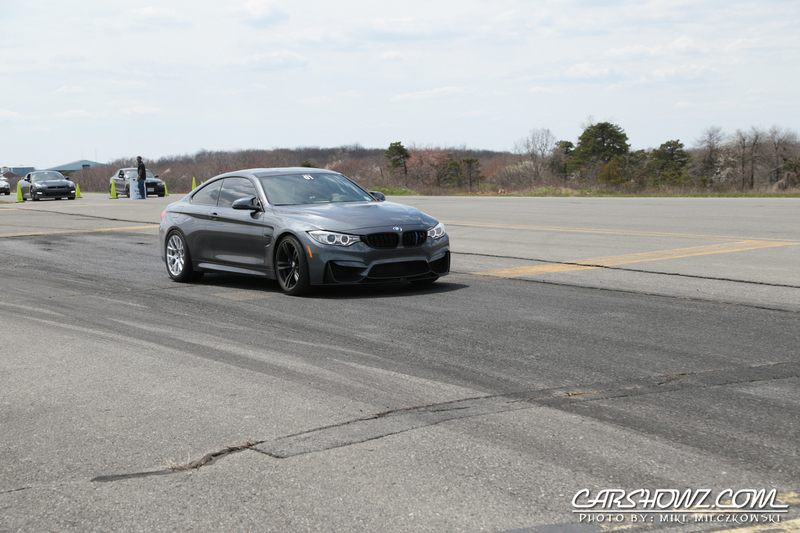 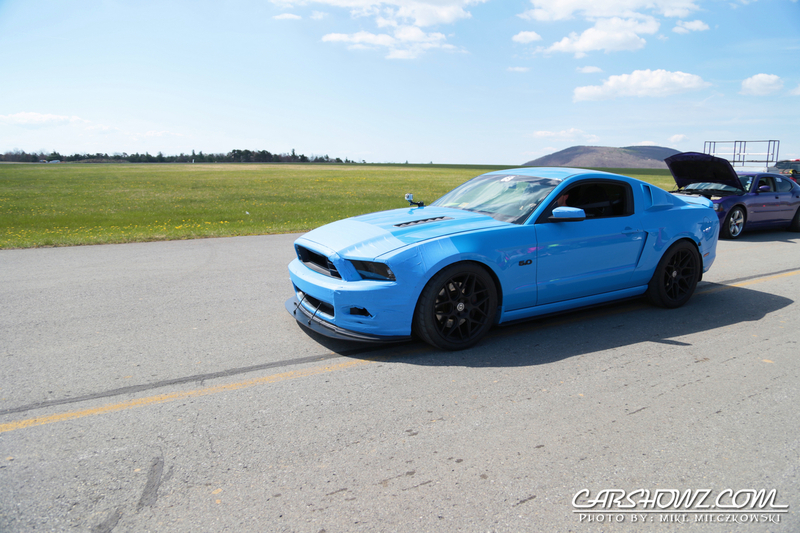 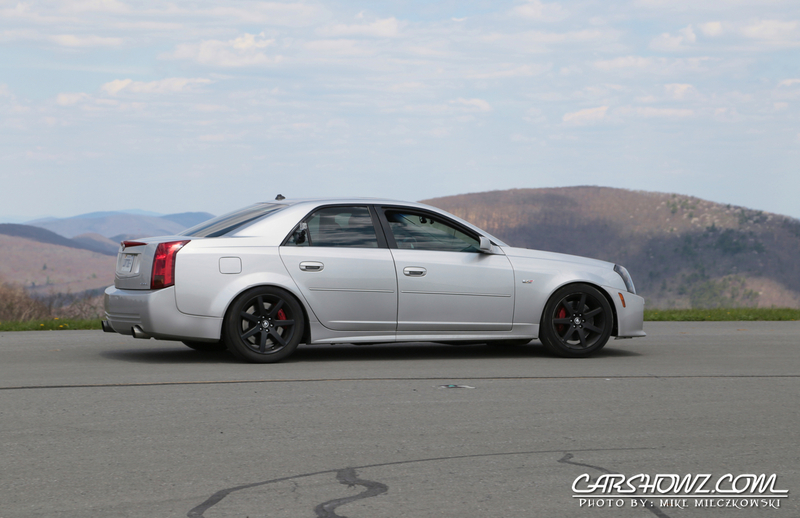 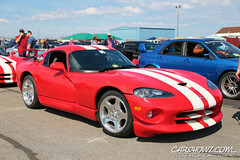 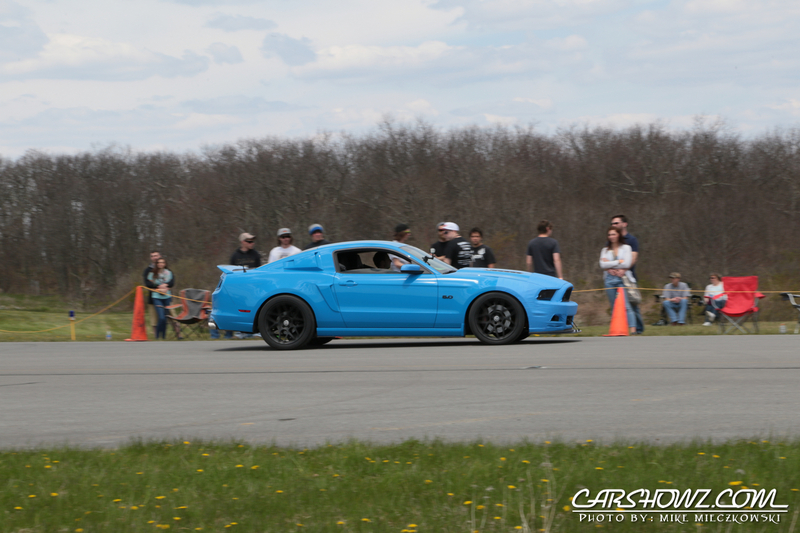 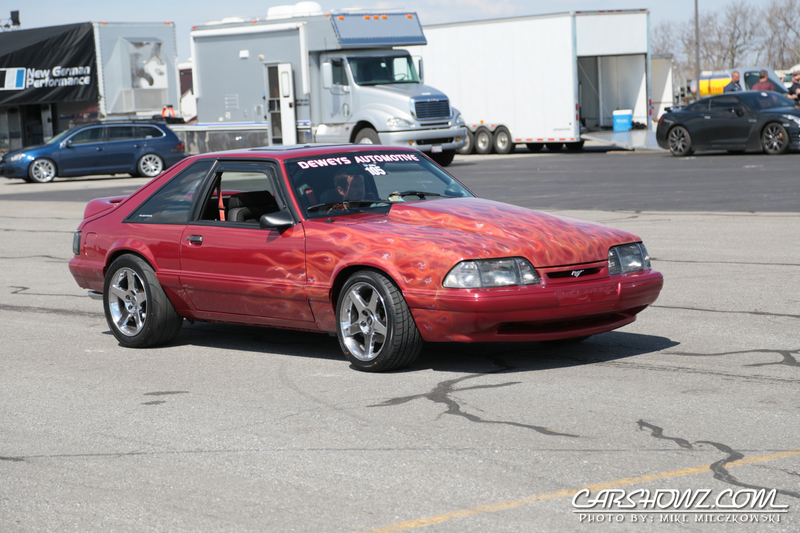 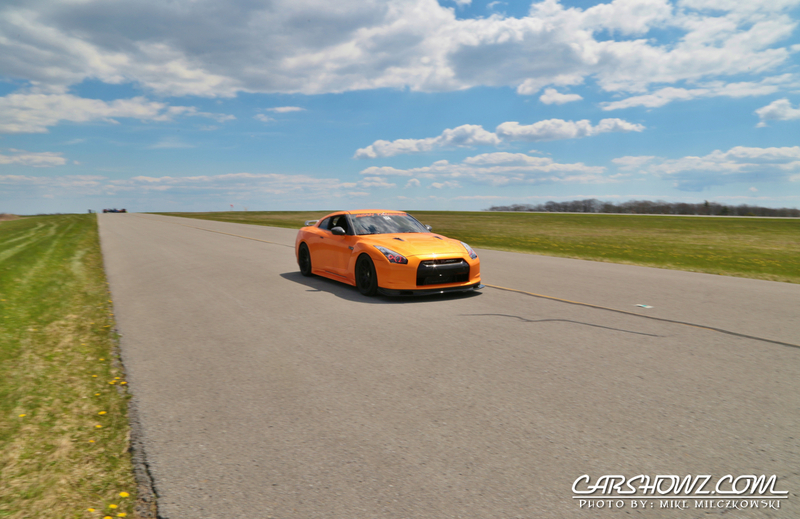 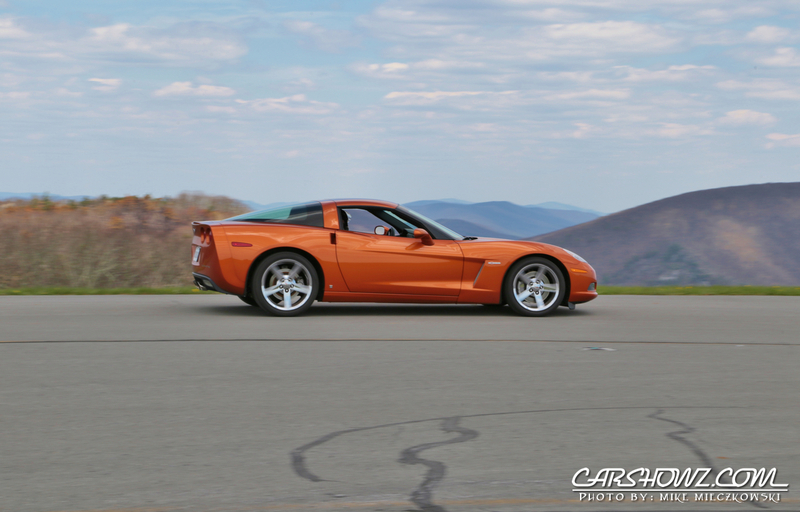 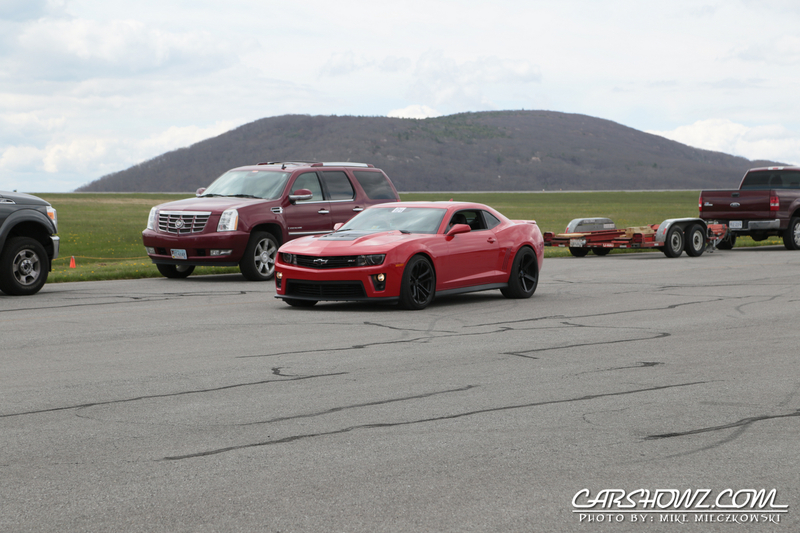 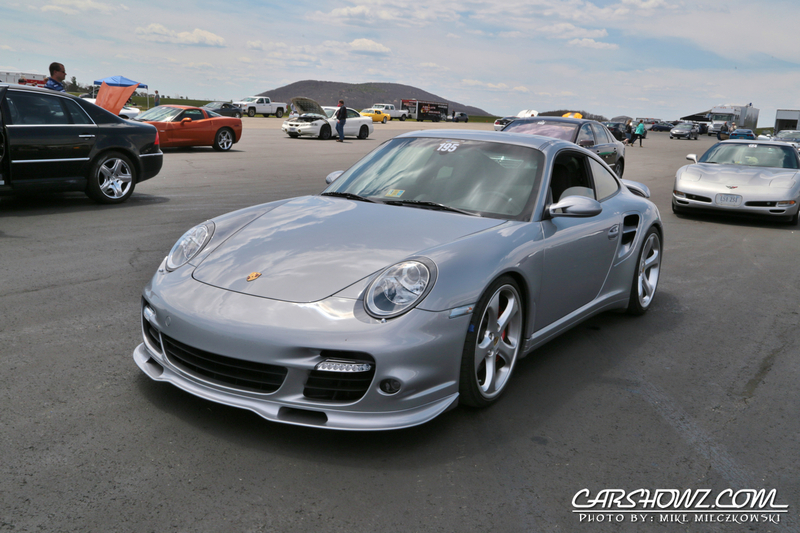 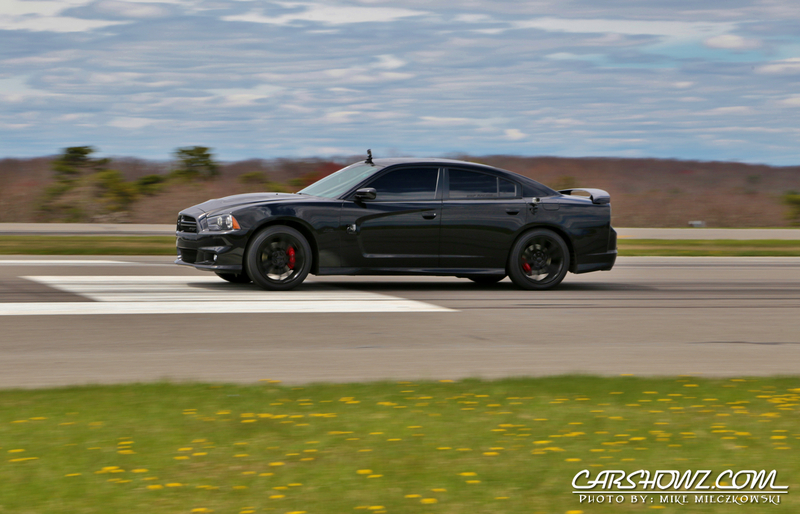 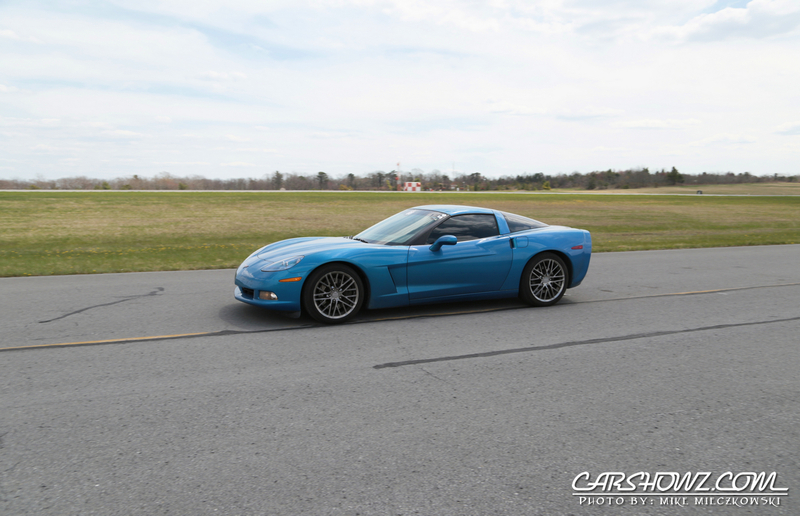 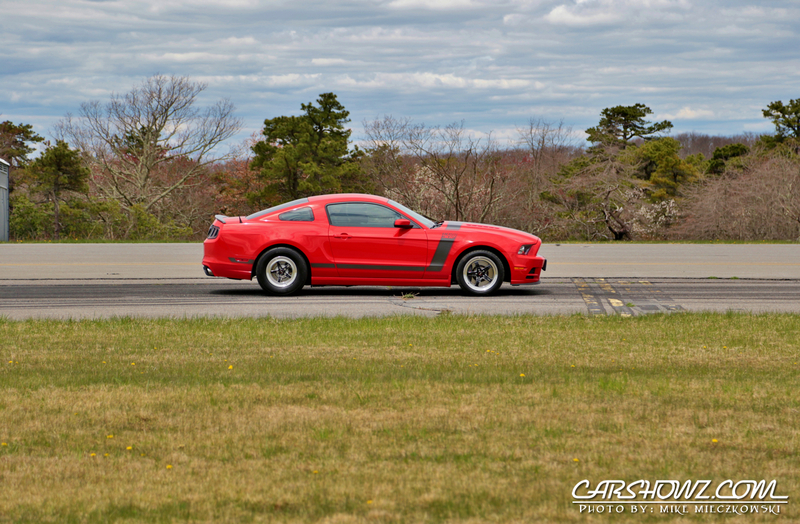 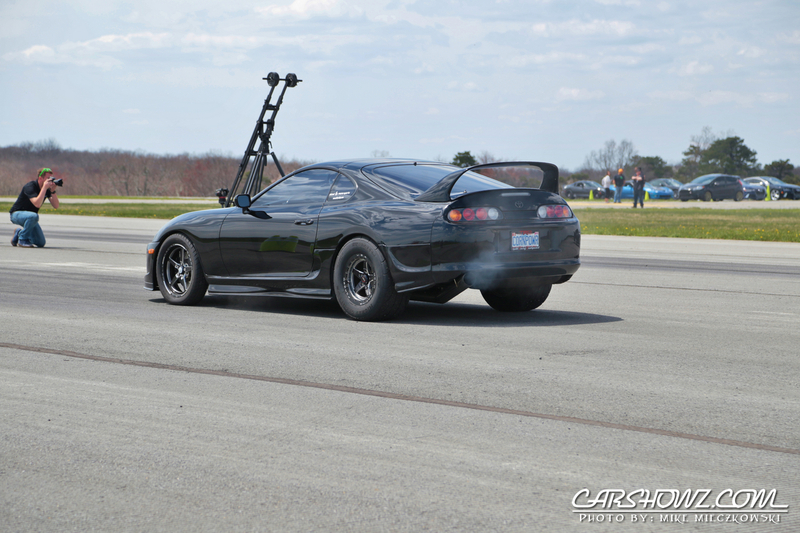 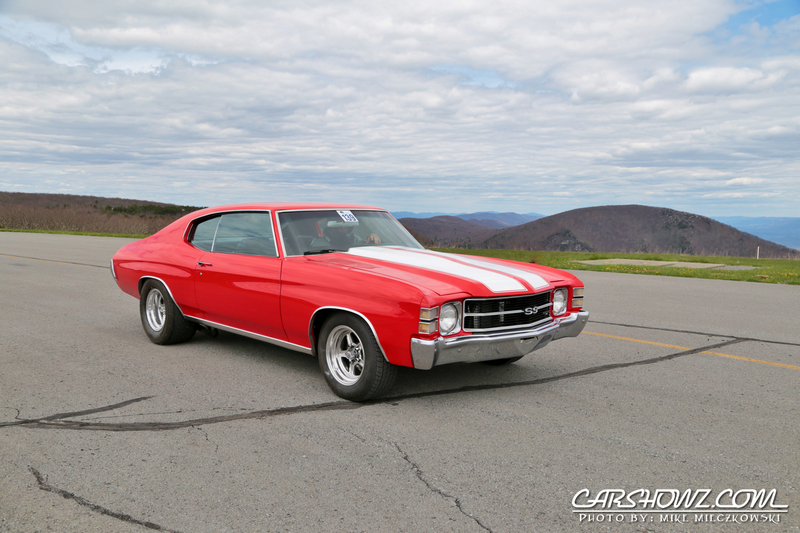 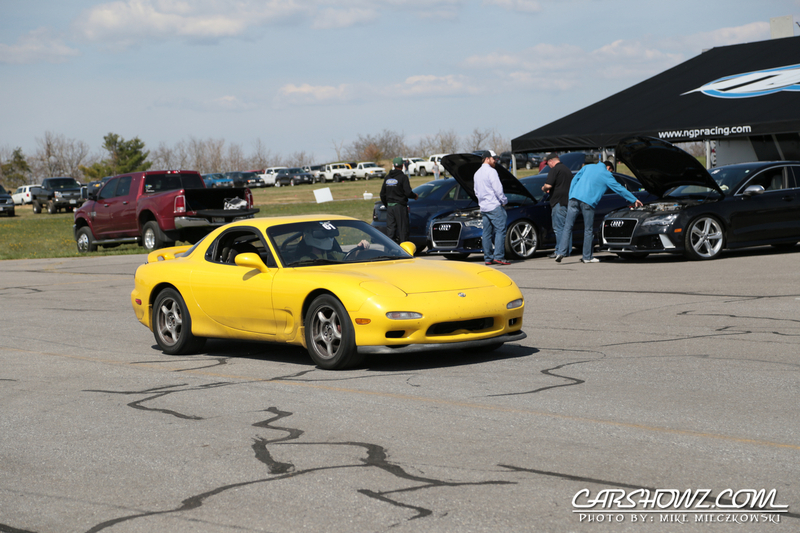 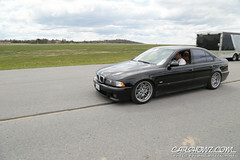 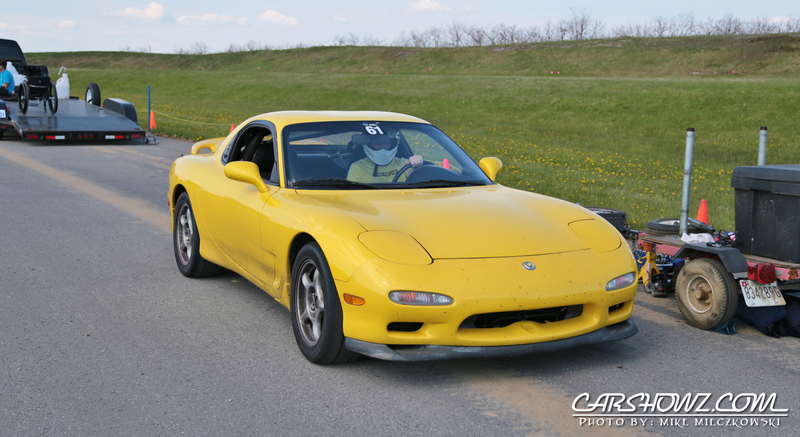 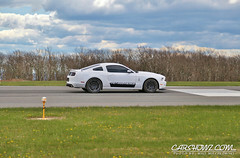 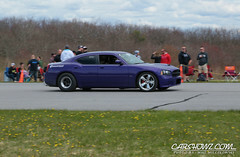 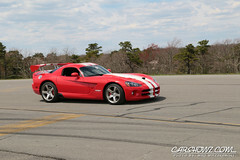 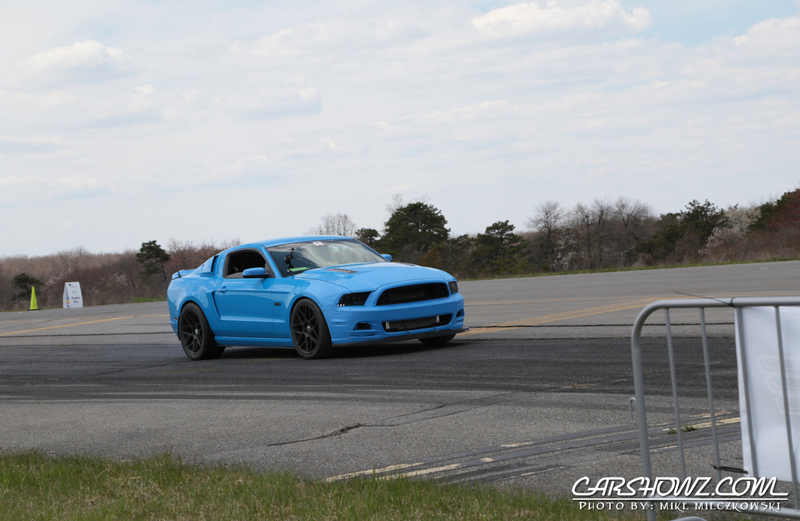 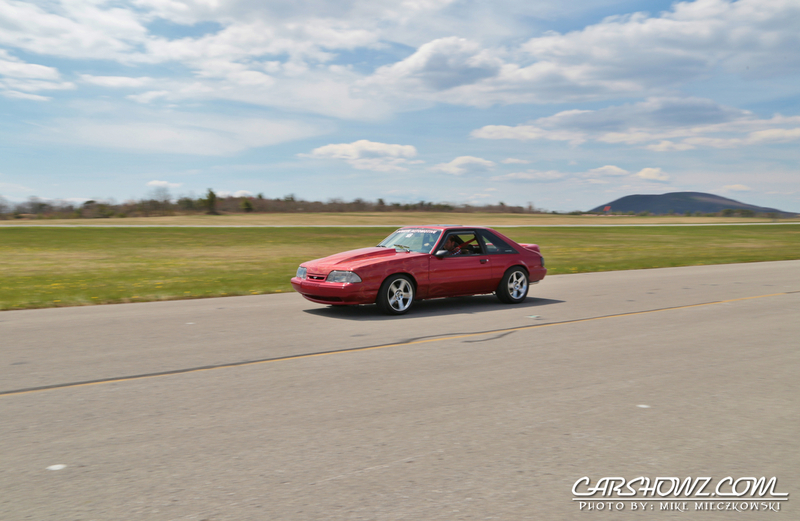 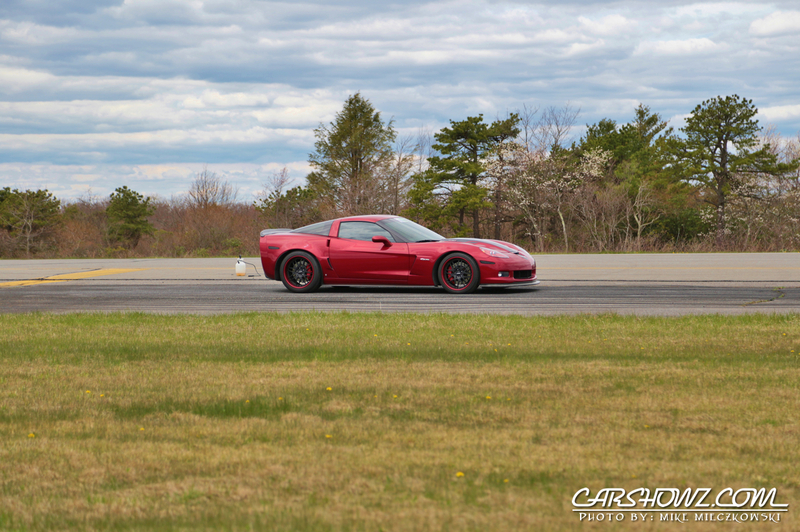 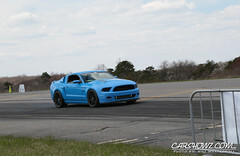 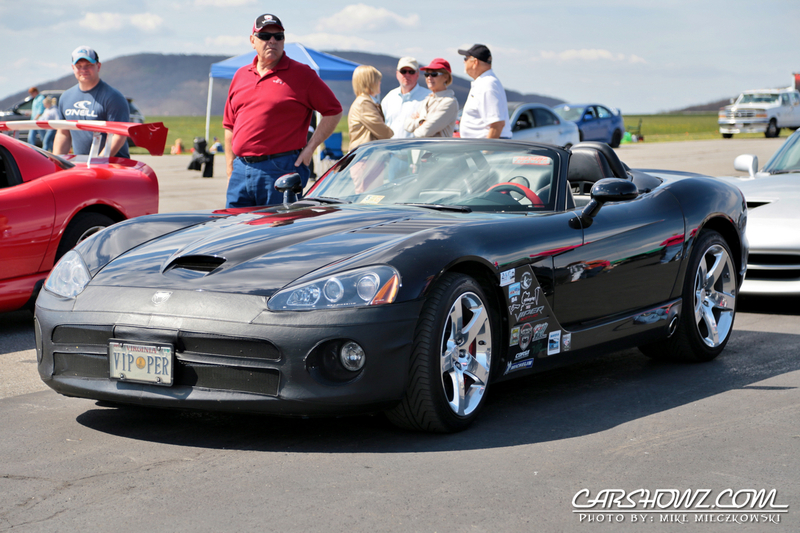 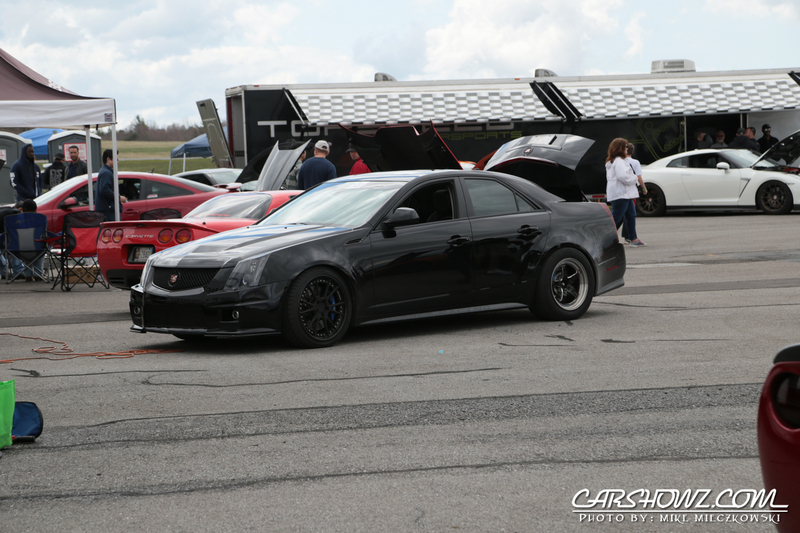 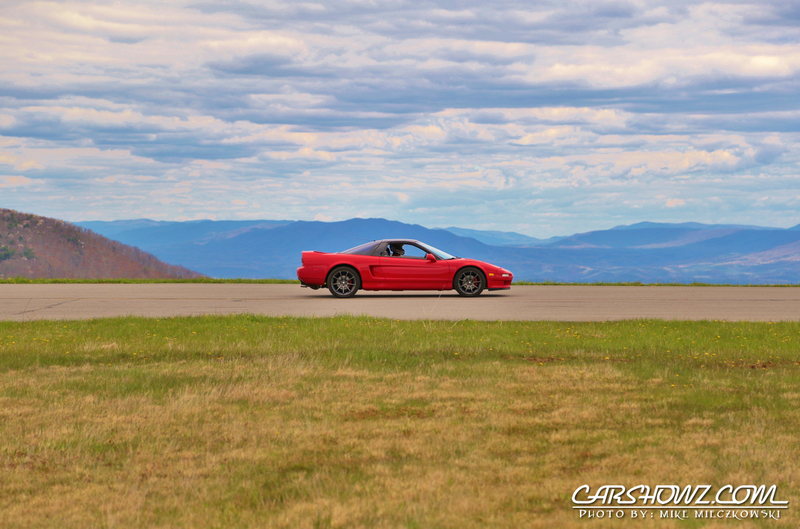 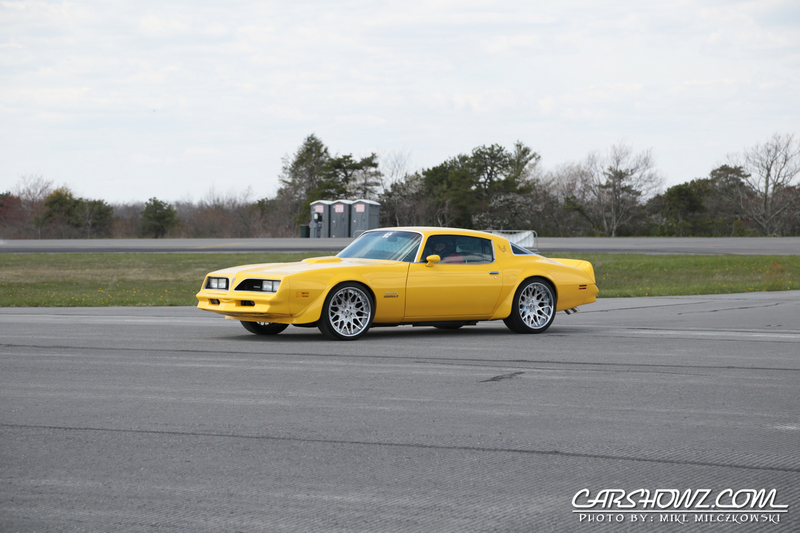 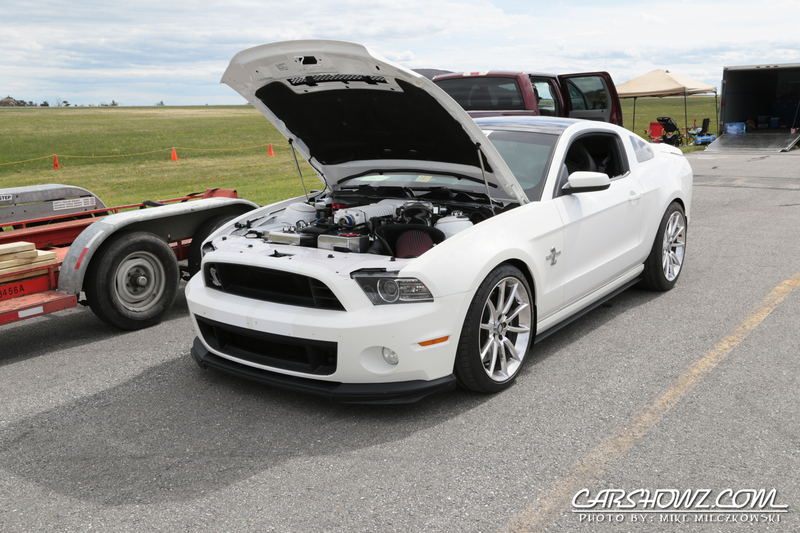 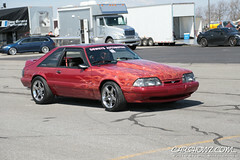 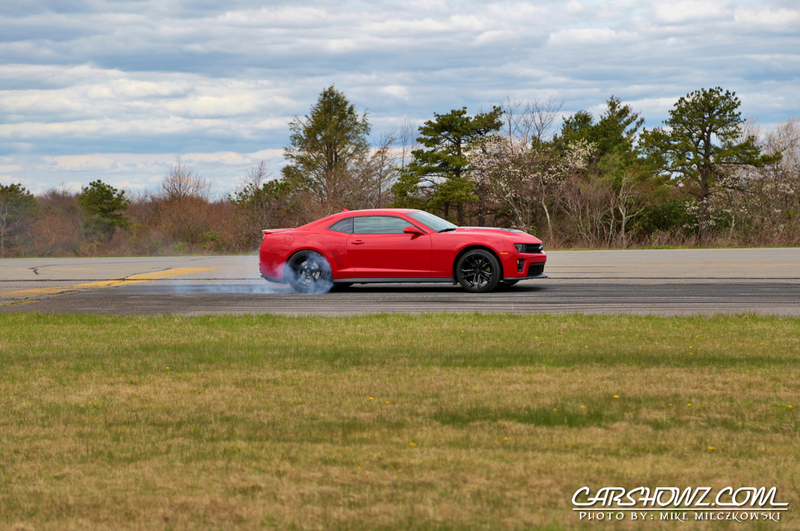 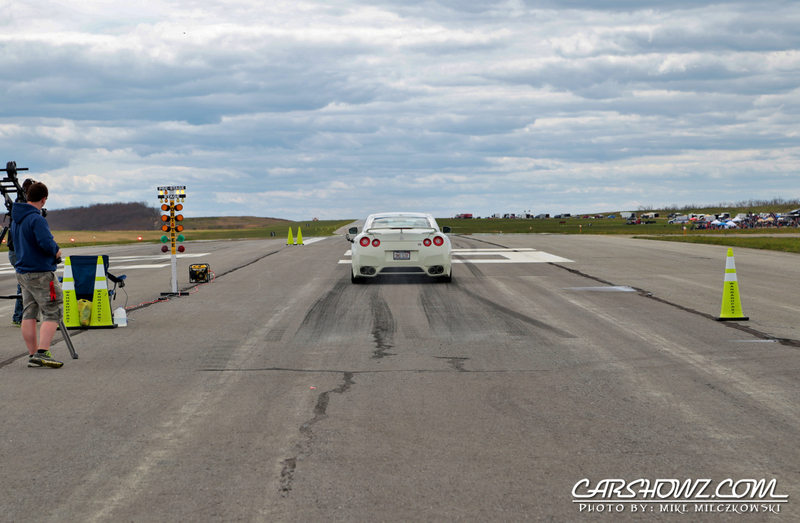 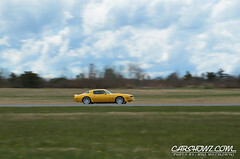 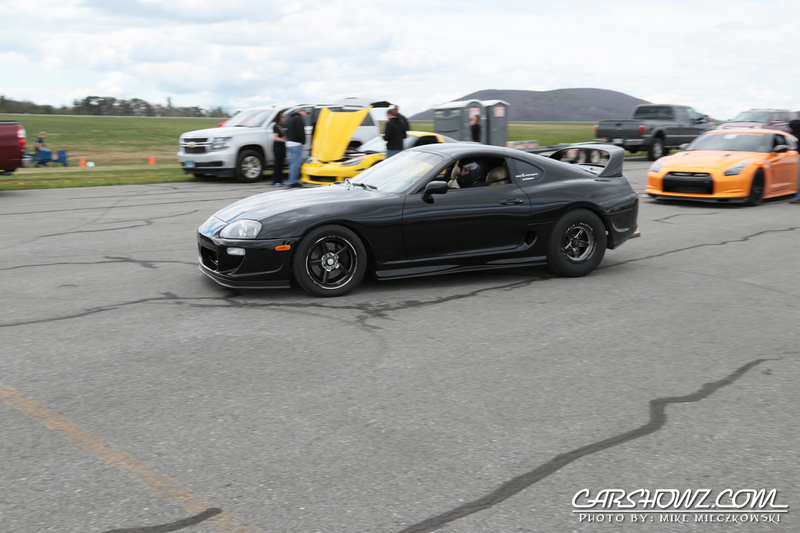 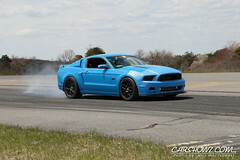 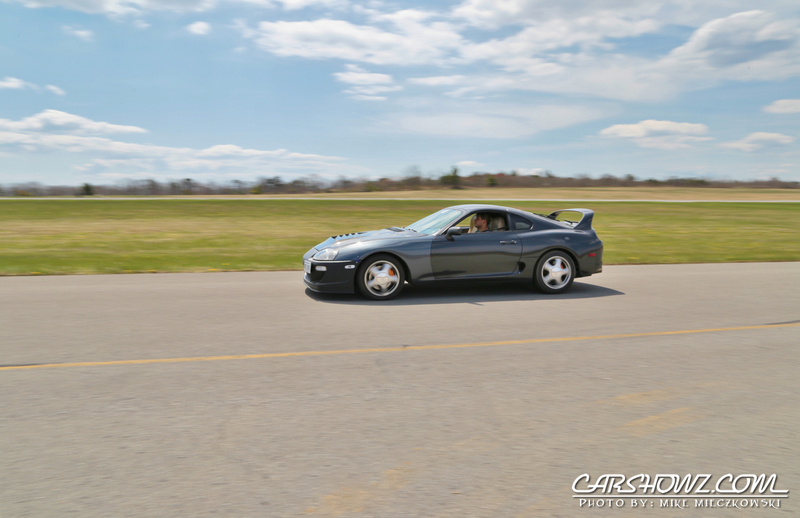 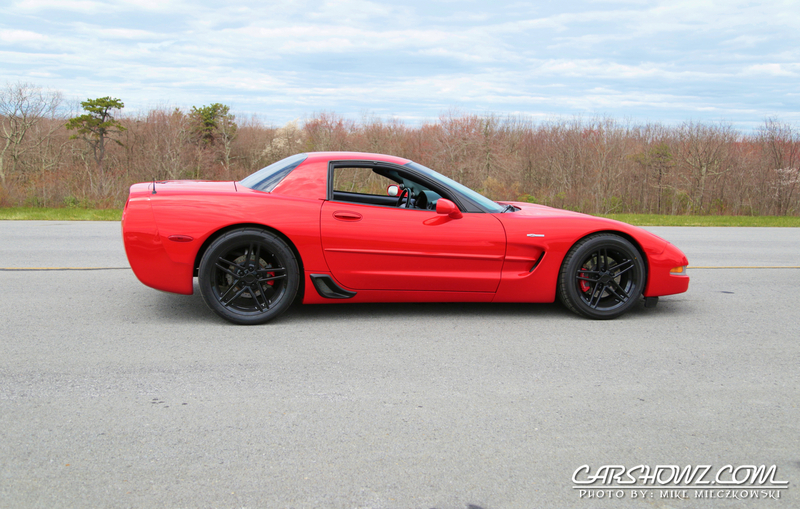 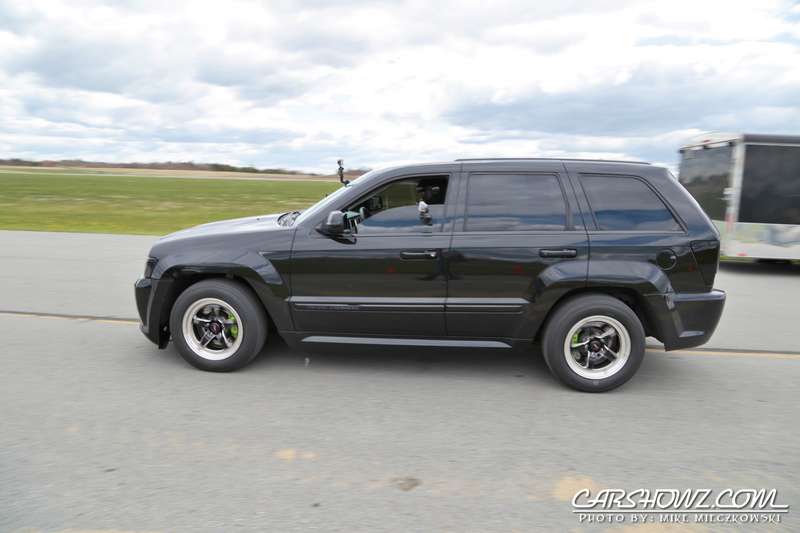 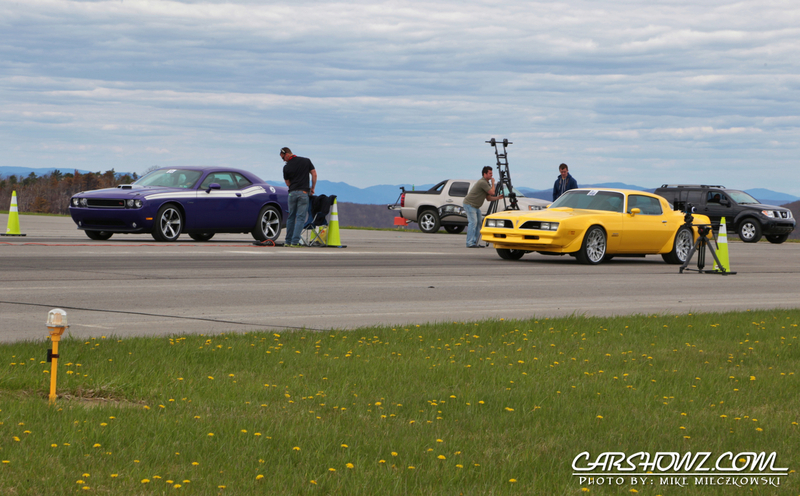 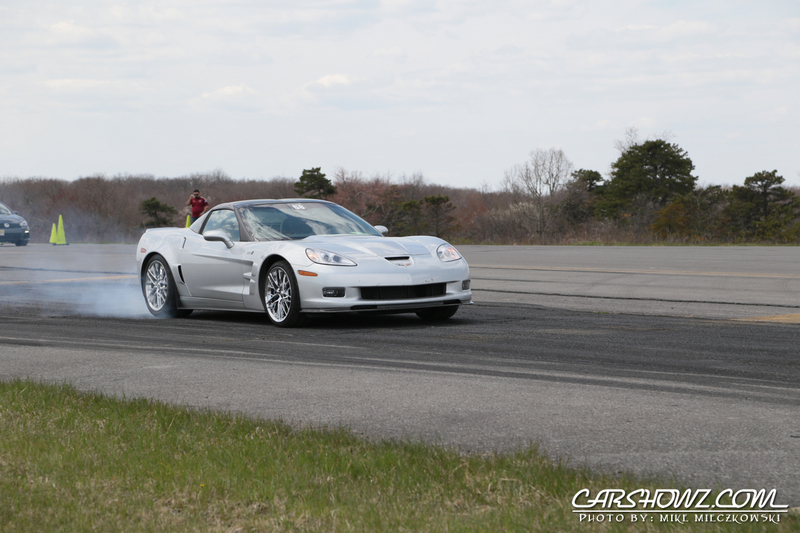 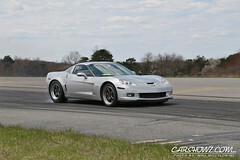 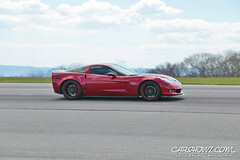 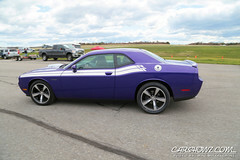 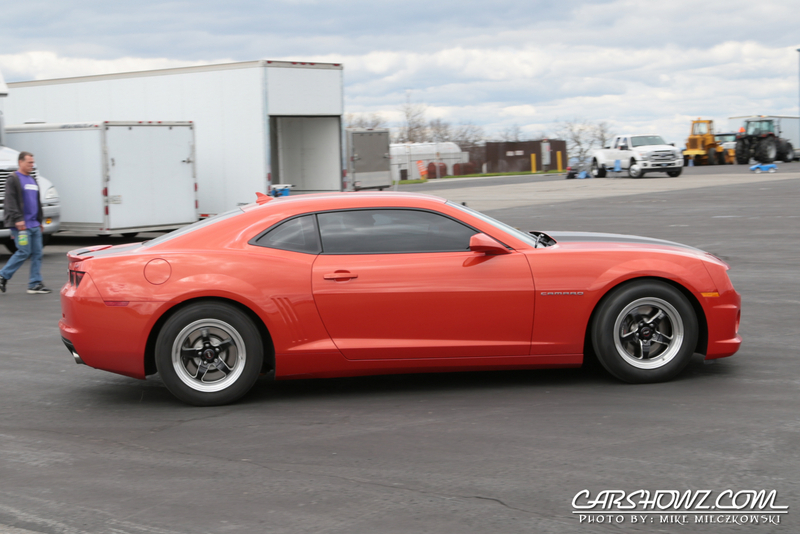 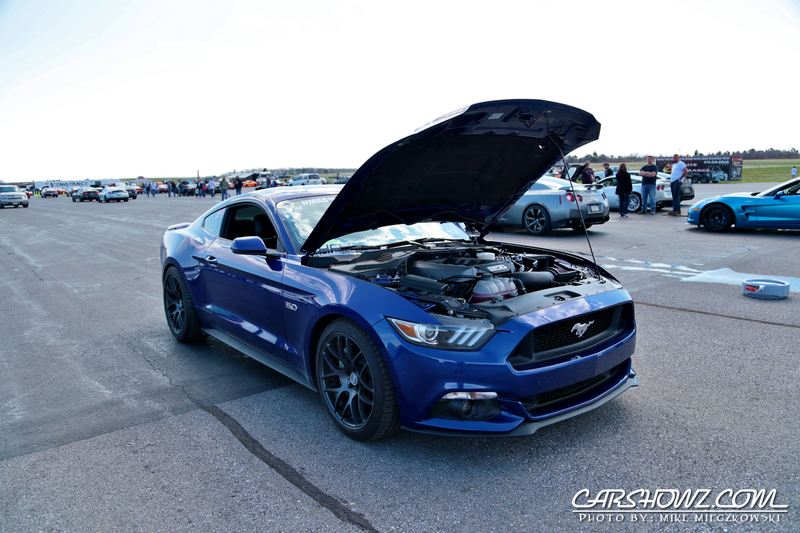 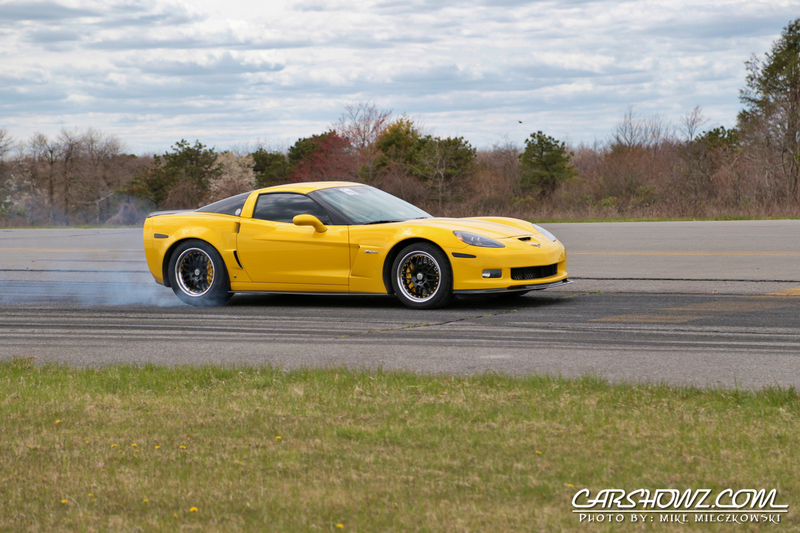 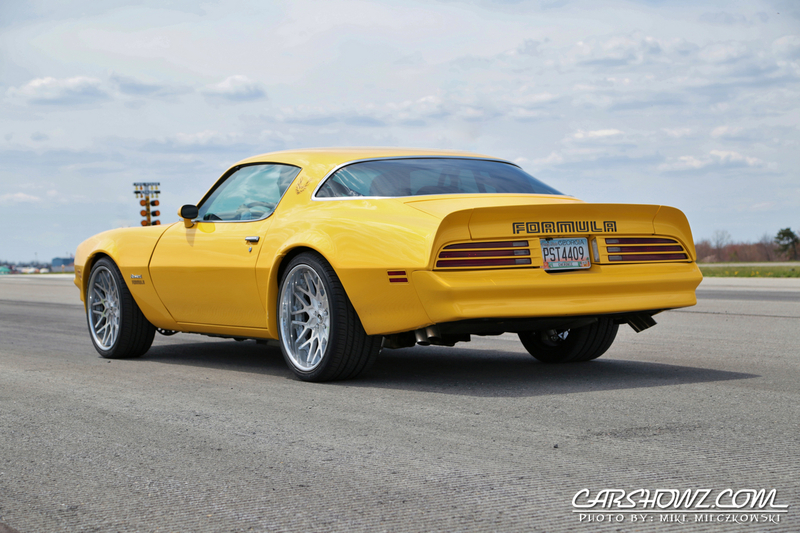 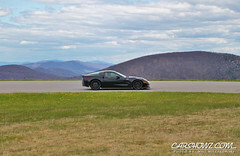 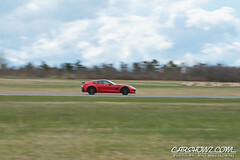 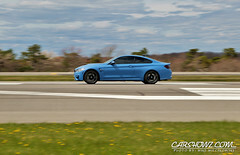 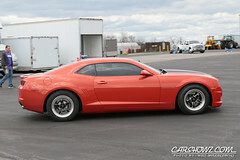 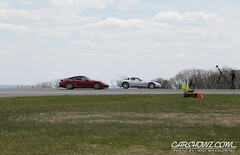 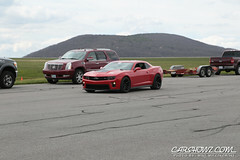 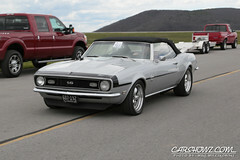 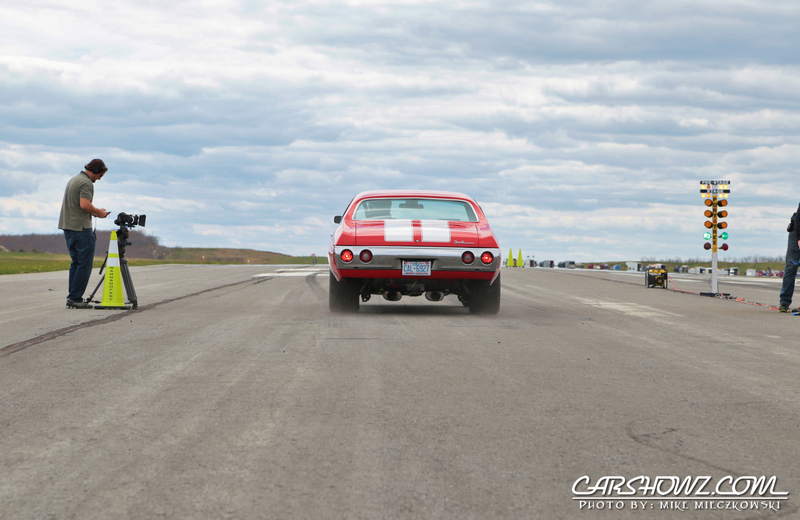 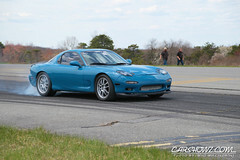 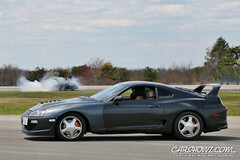 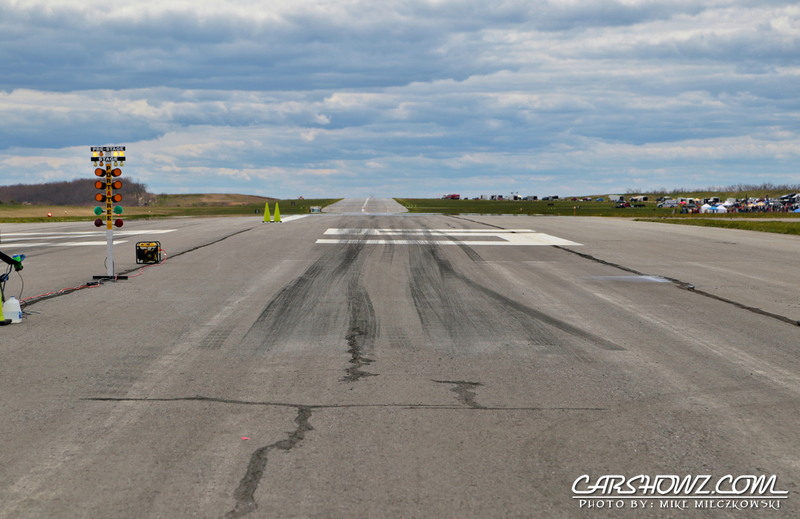 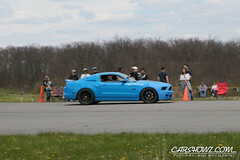 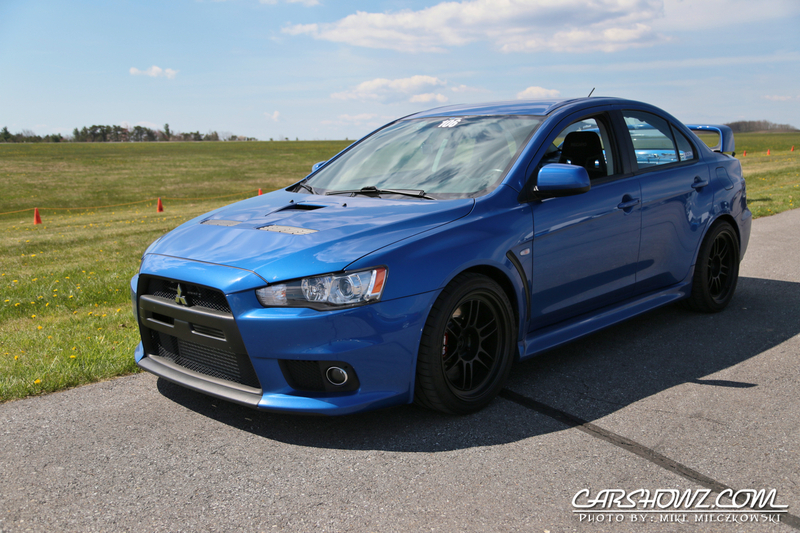 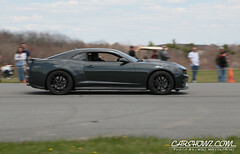 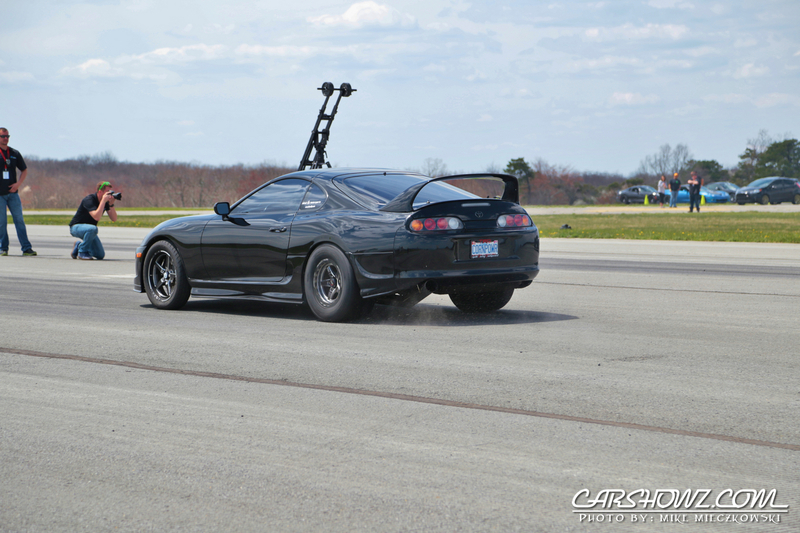 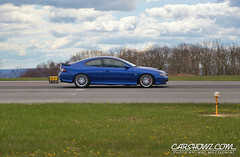 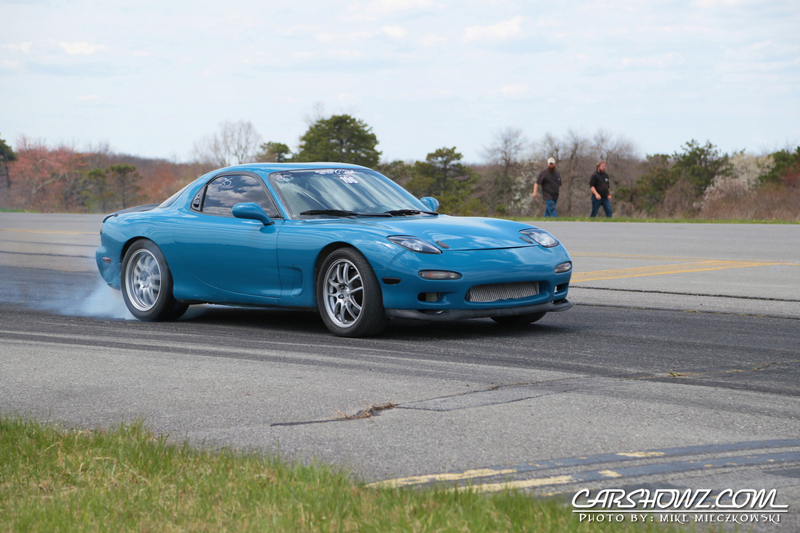 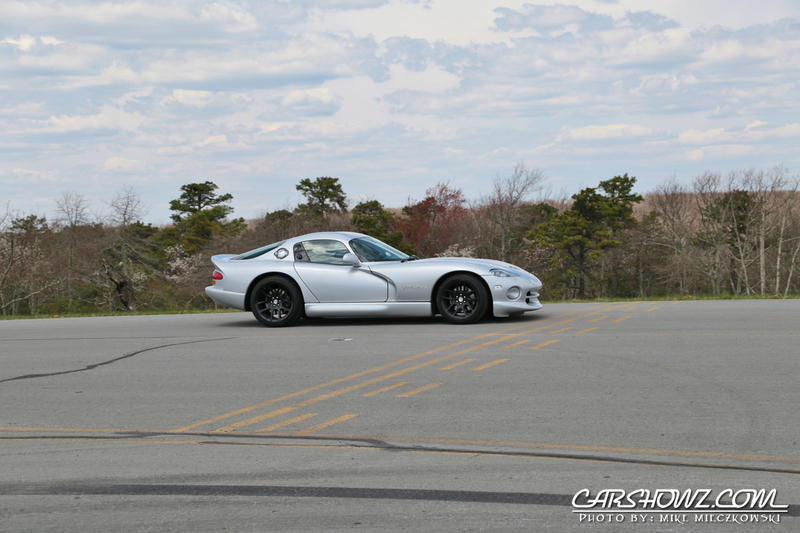 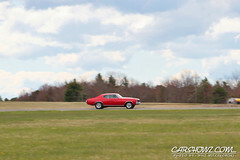 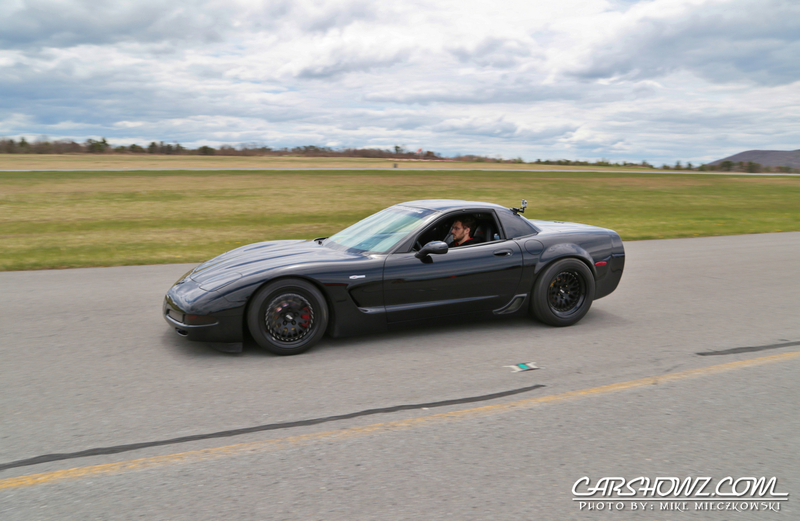 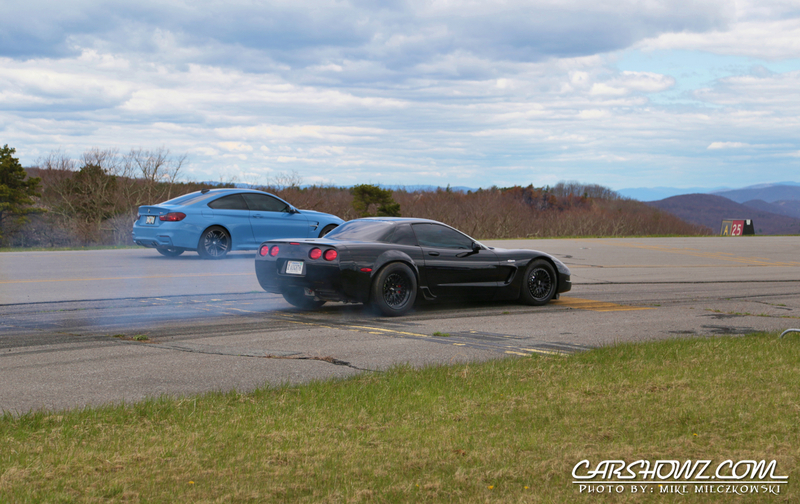 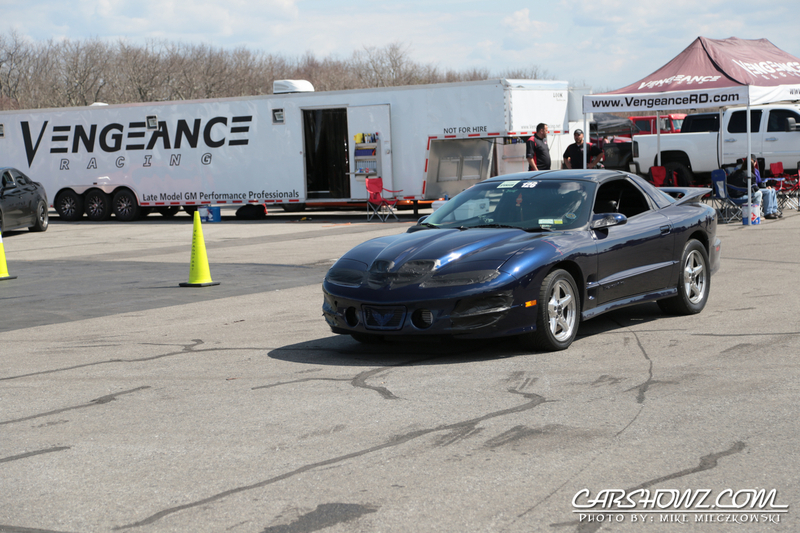 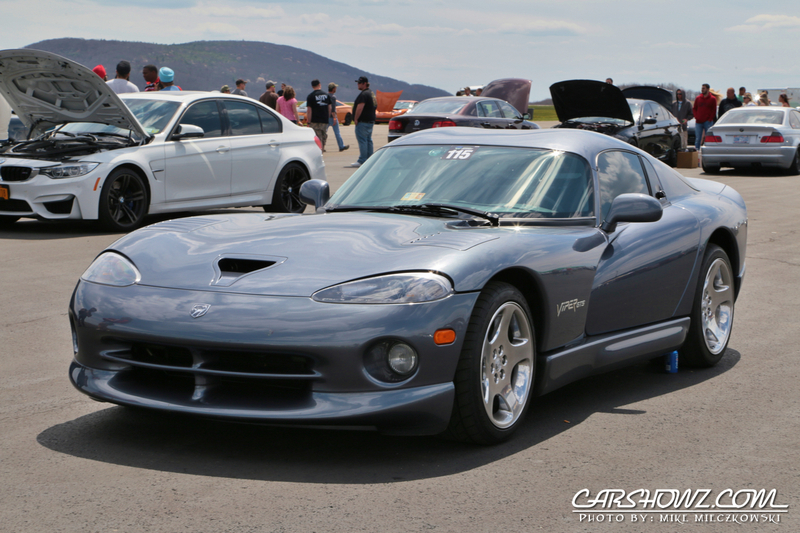 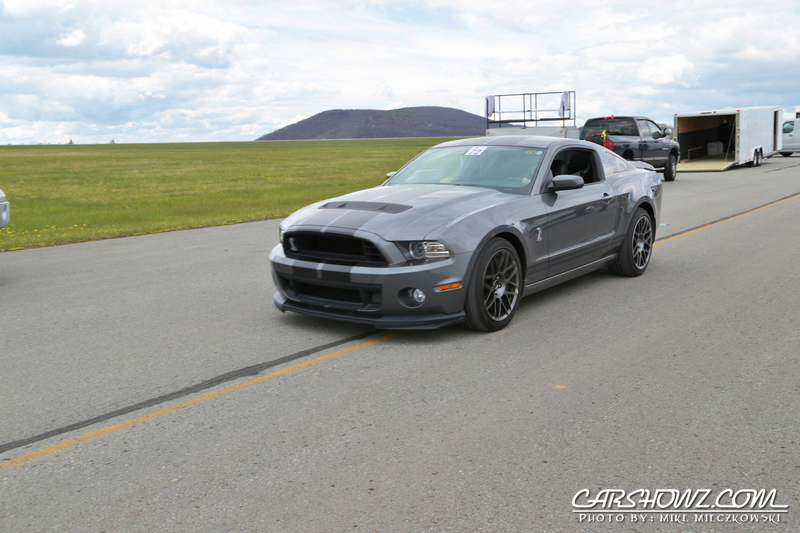 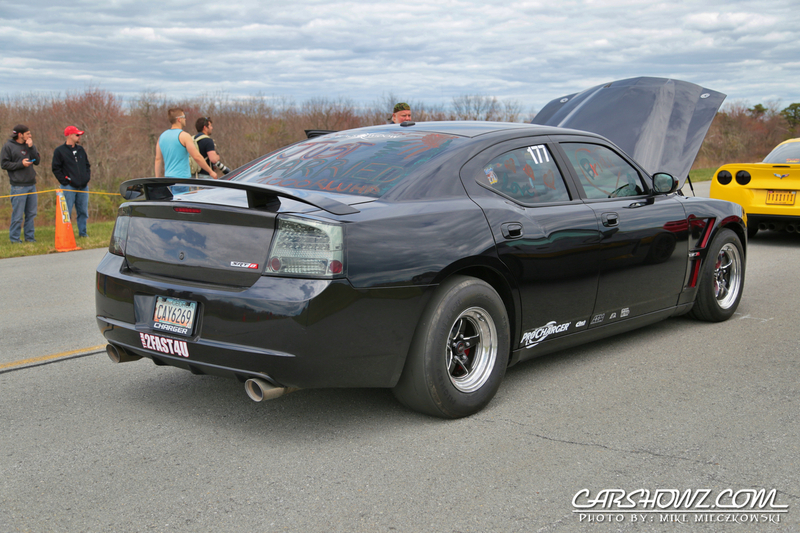 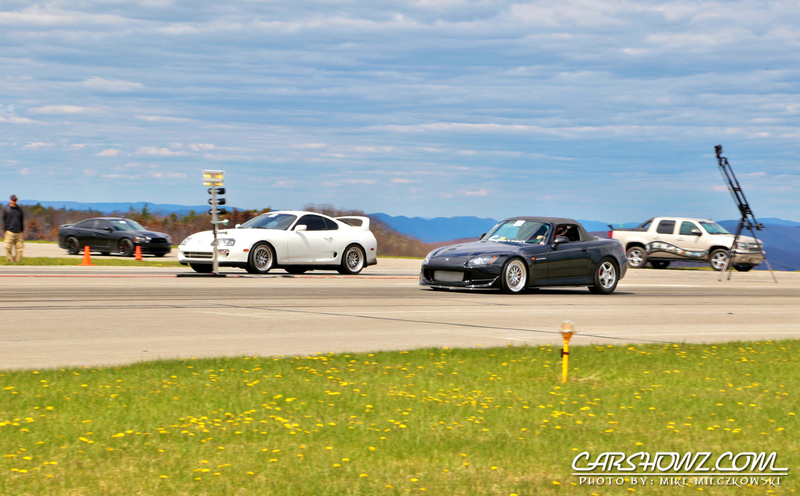 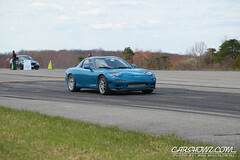 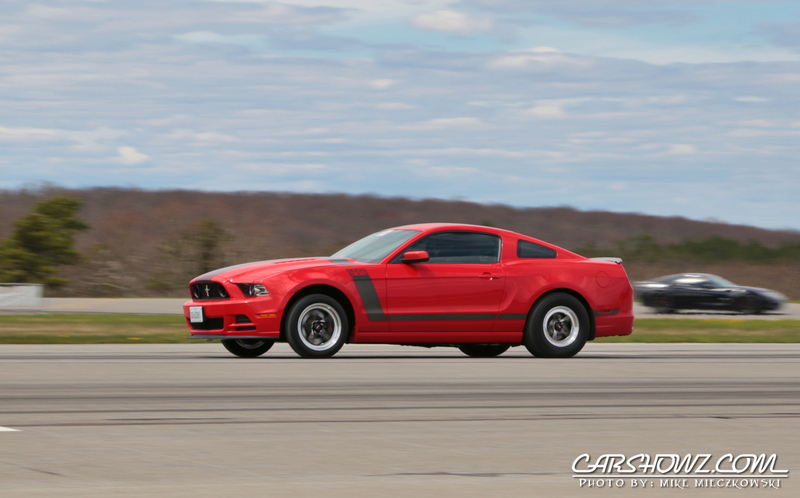 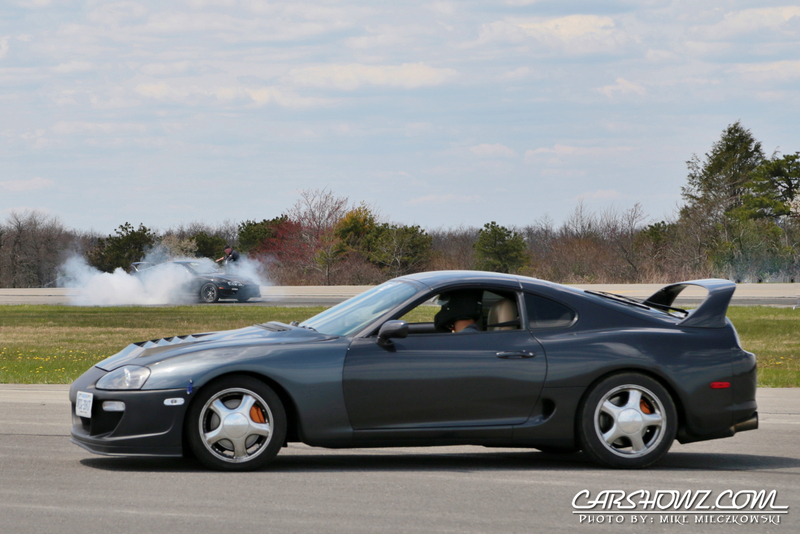 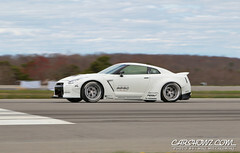 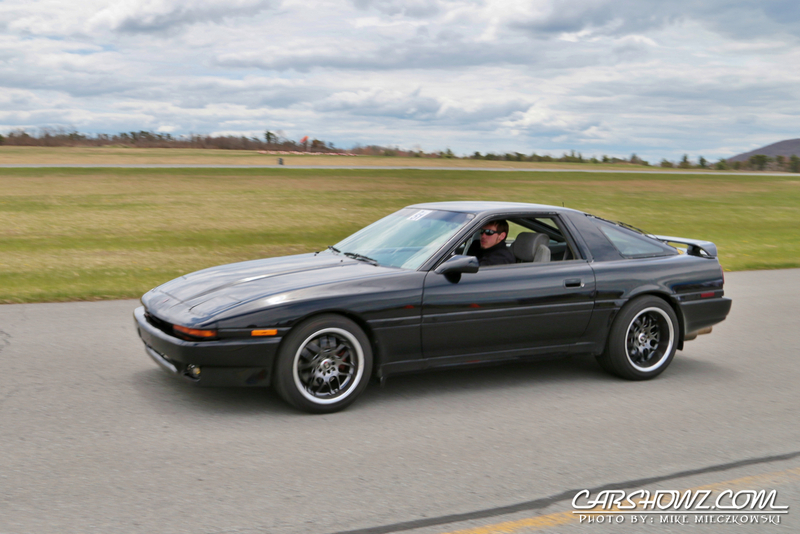 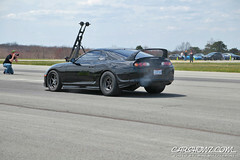 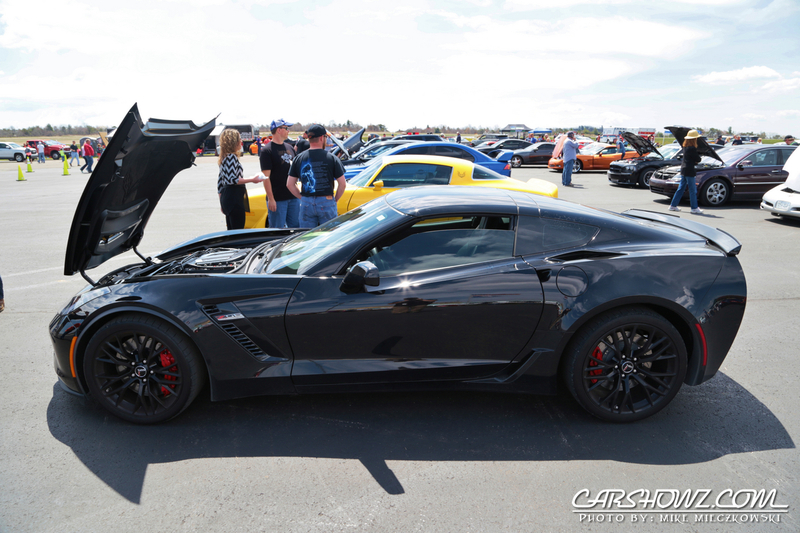 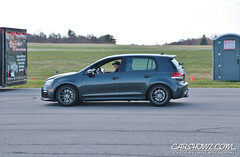 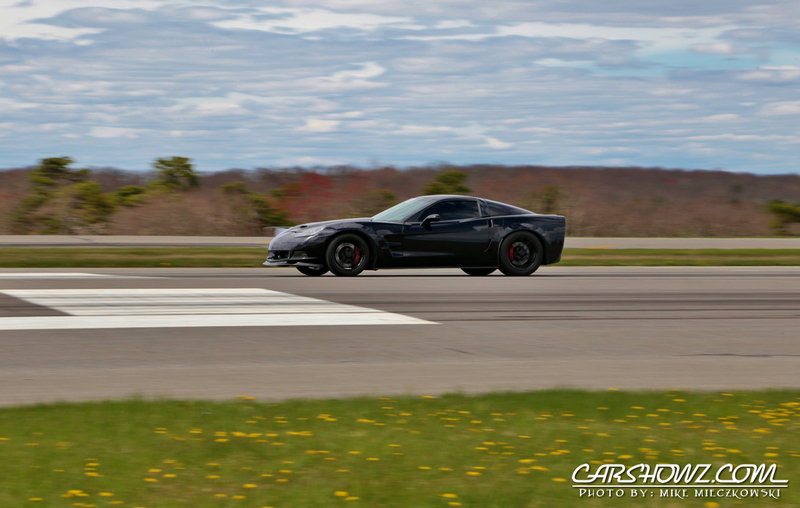 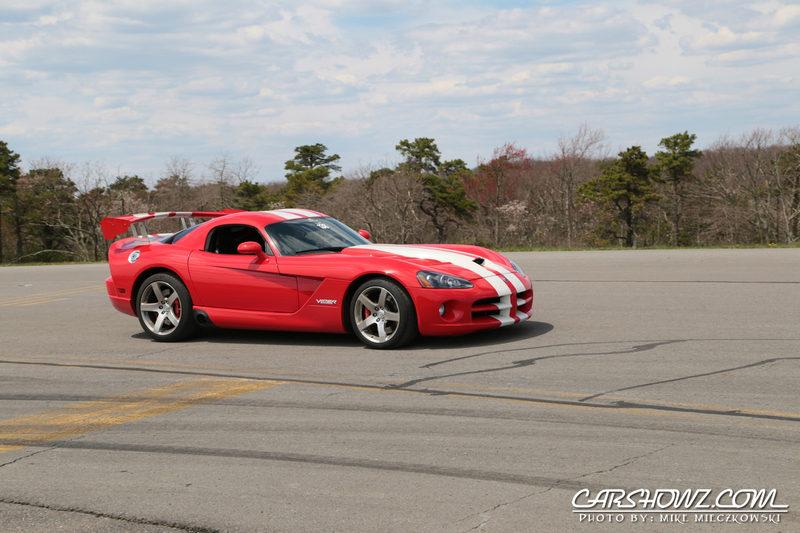 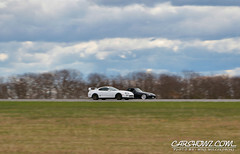 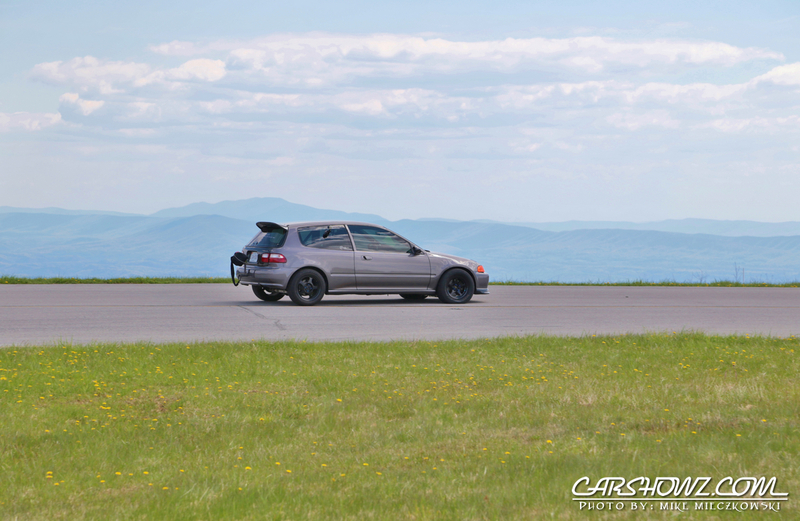 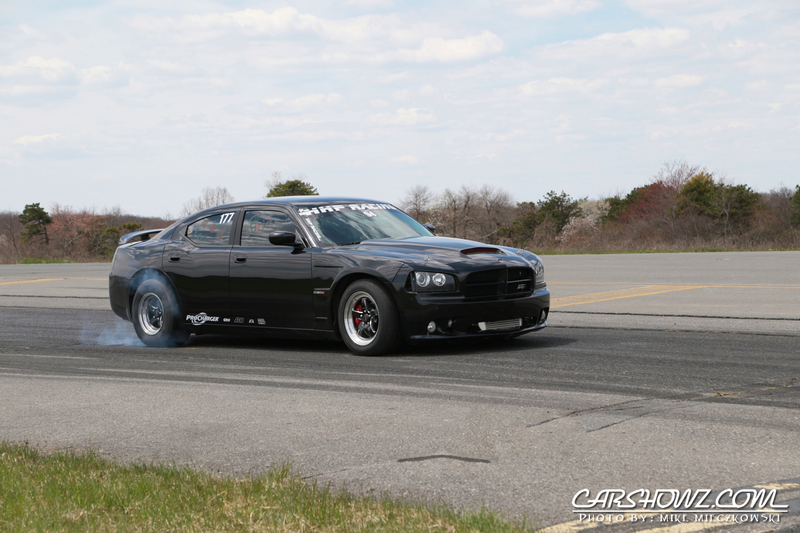 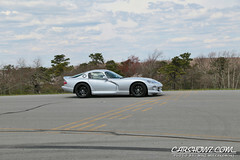 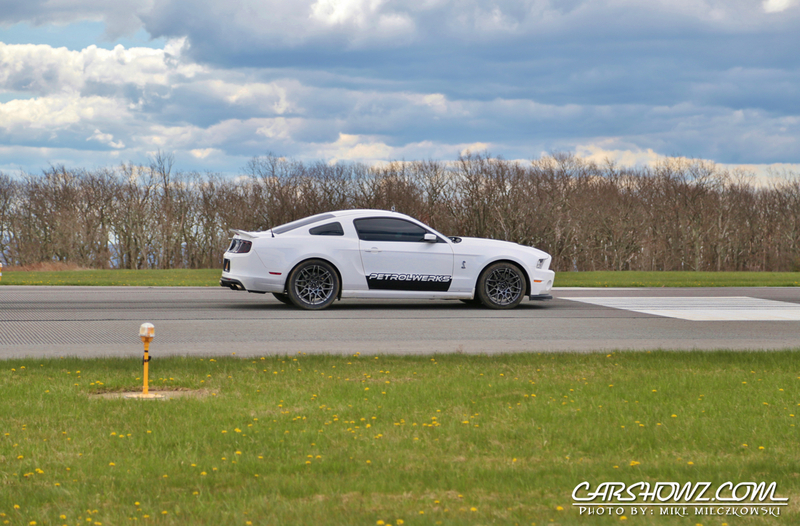 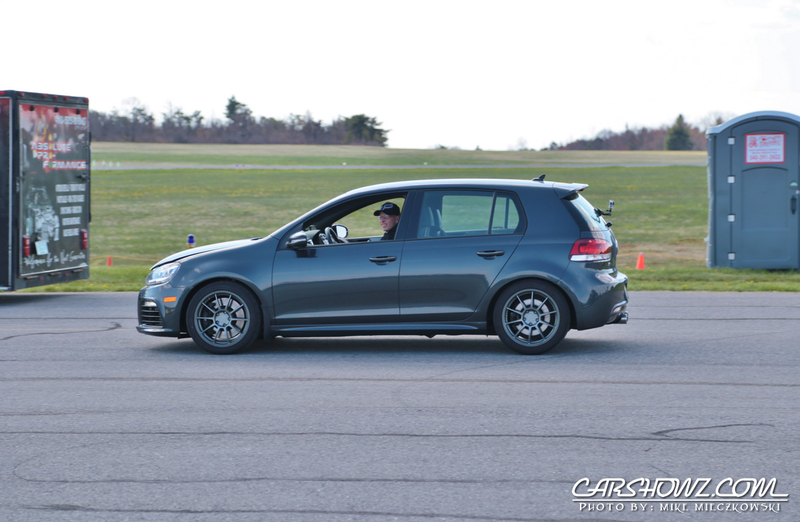 WannaGOFAST Virginia Half Mile Shootout is a 2-DAY event that was held May 2nd & 3rd, 2015 at the stunning Ingalls Field Airport in Hot Springs, VA. 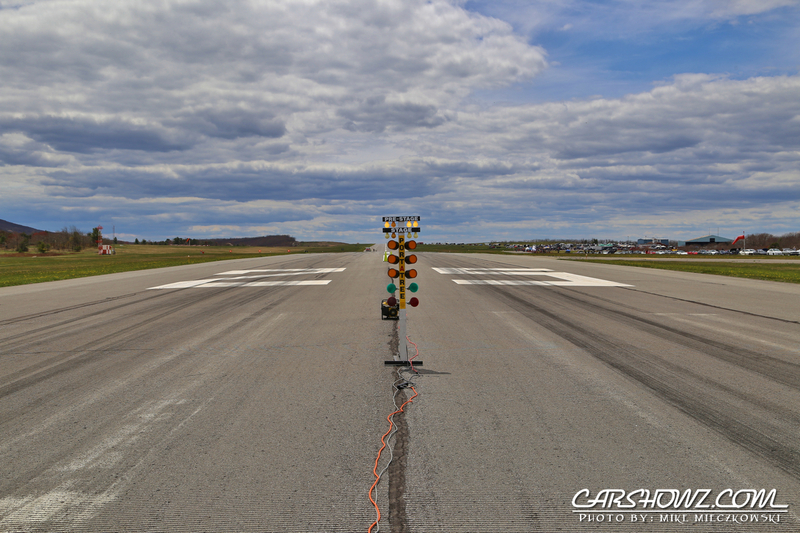 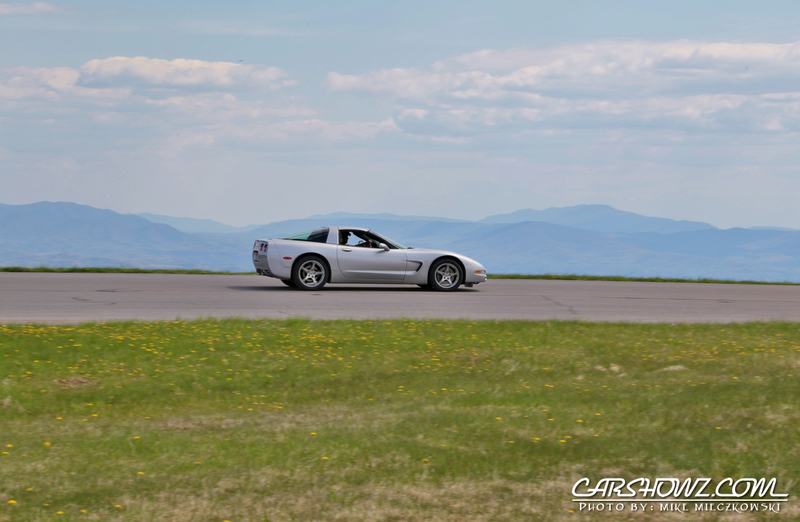 The small Virginia airport is perched atop the Warm Springs Mountain ridge line at near 4000 ft. elevation. 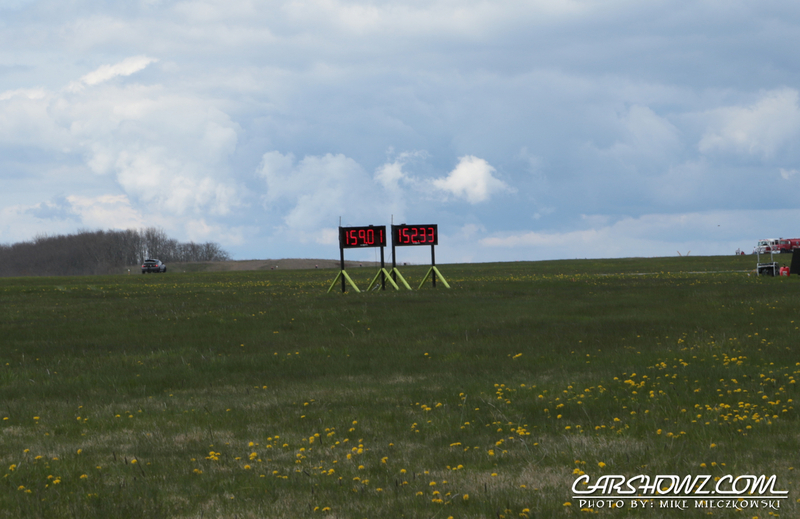 This high elevation created a challenge for those entered to race. Aside from some clouds and wind you could not ask for better weather to race in. 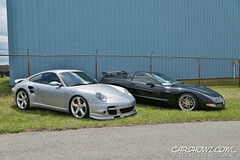 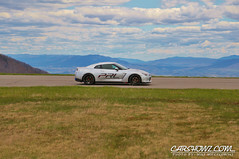 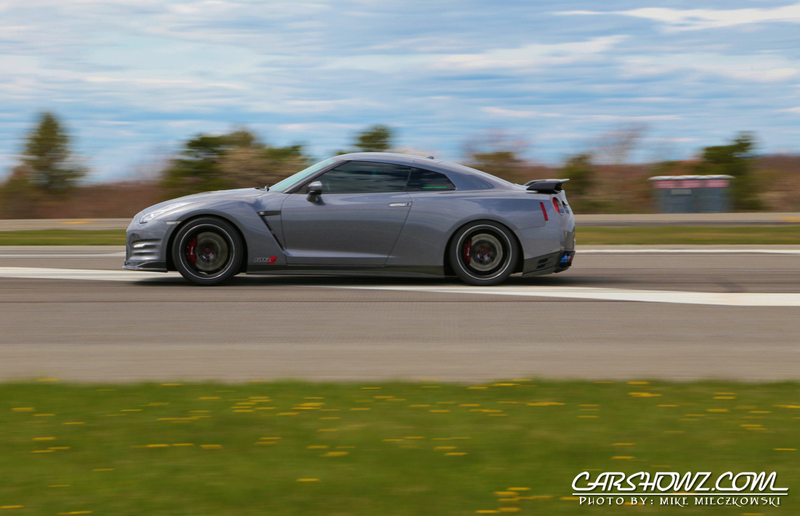 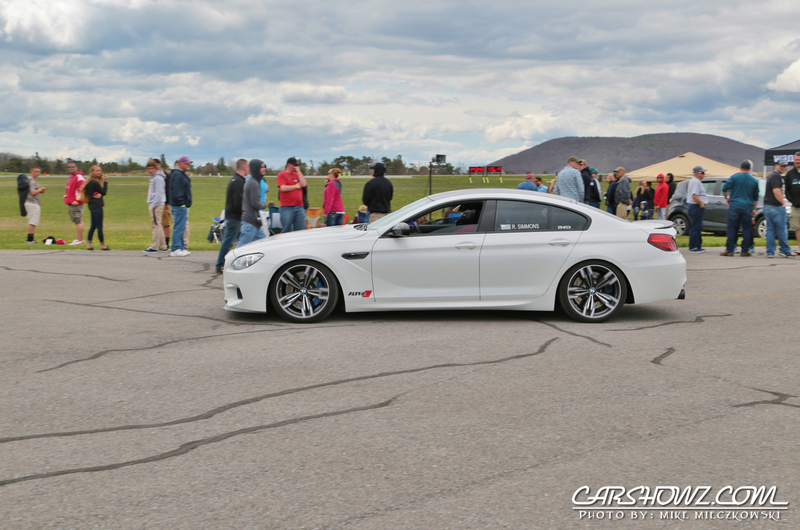 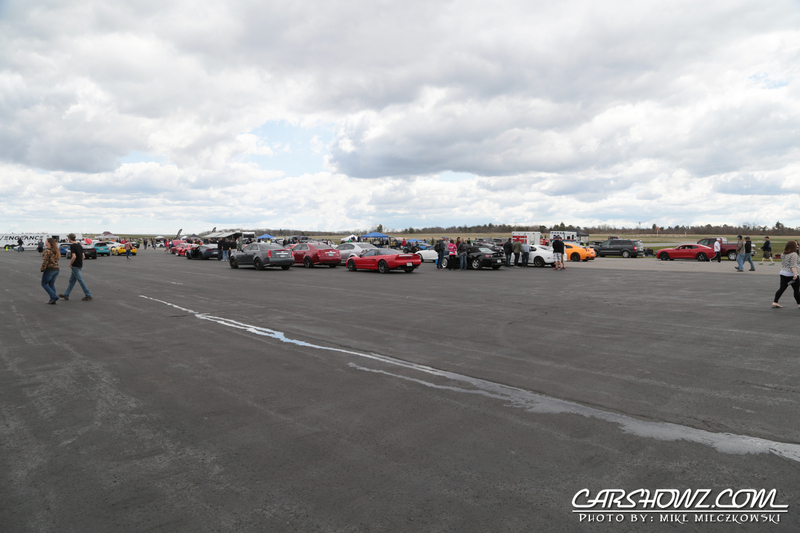 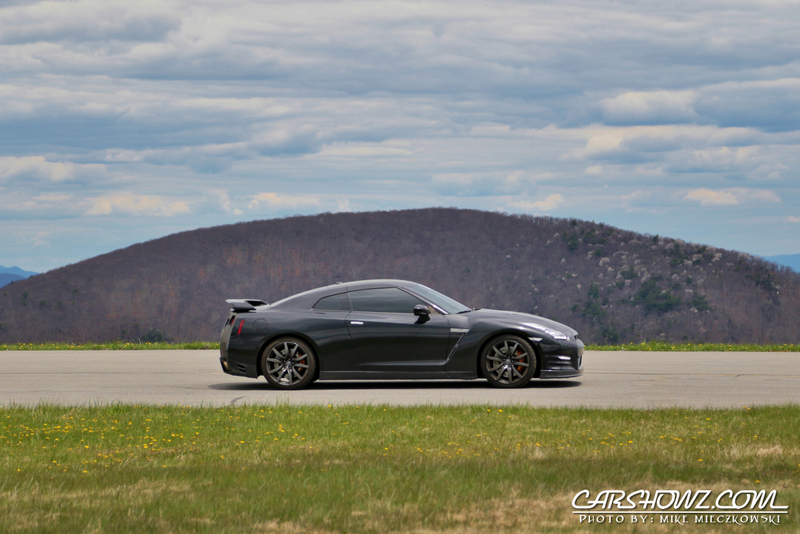 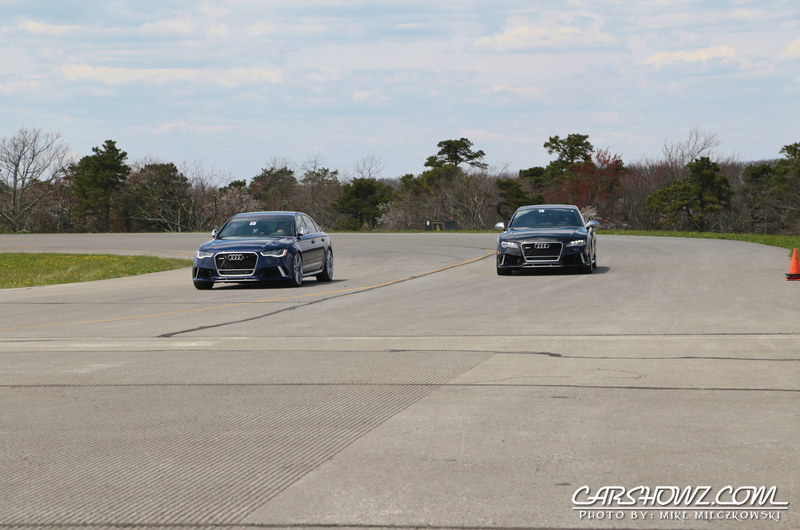 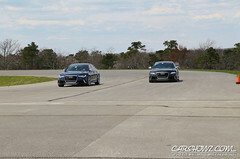 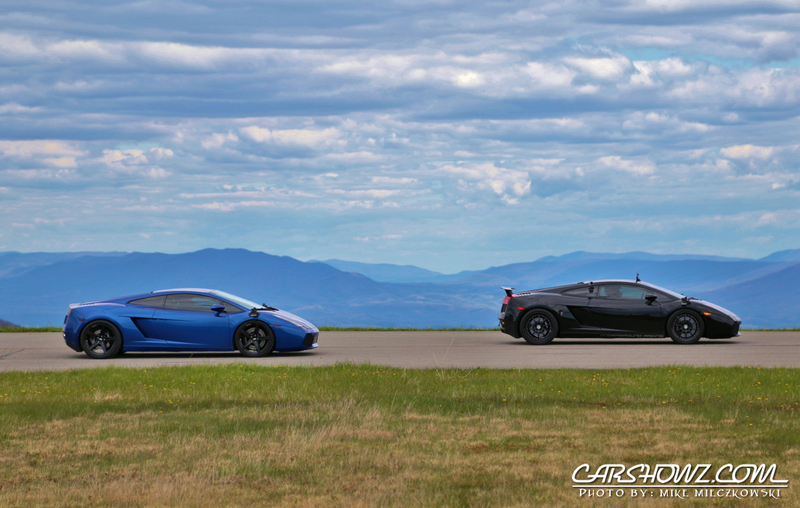 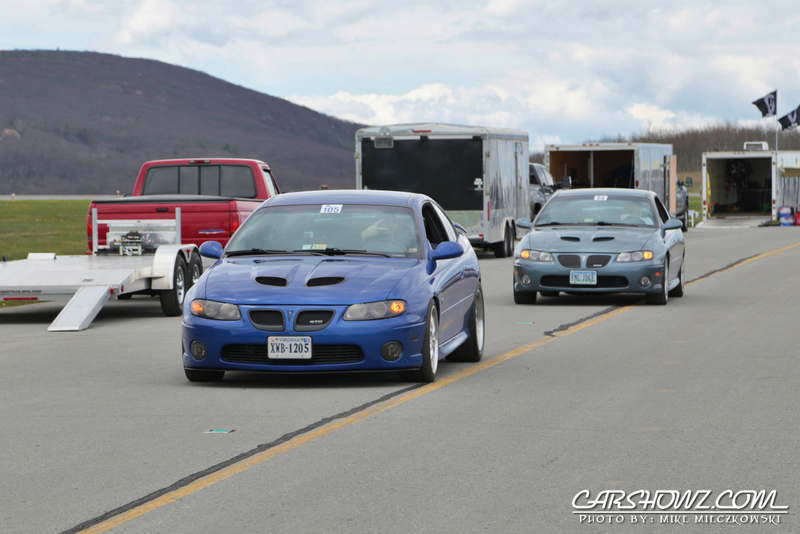 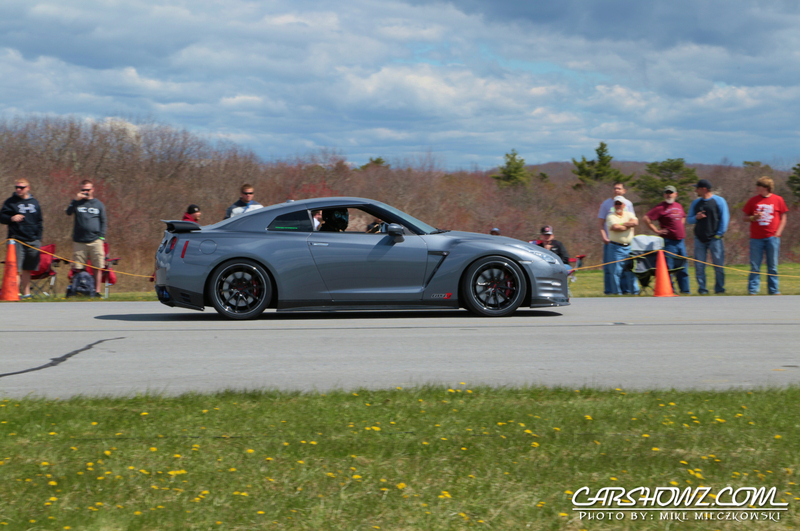 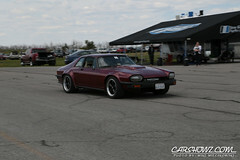 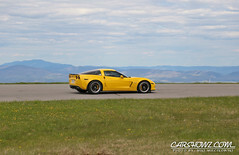 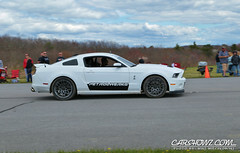 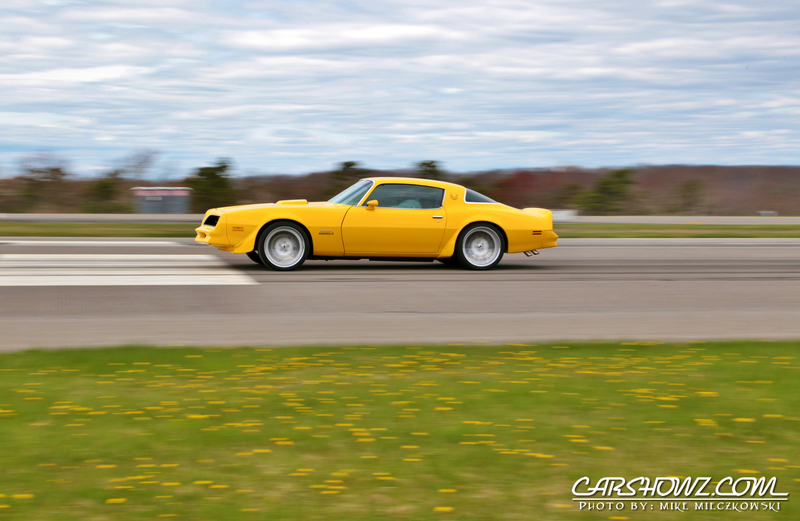 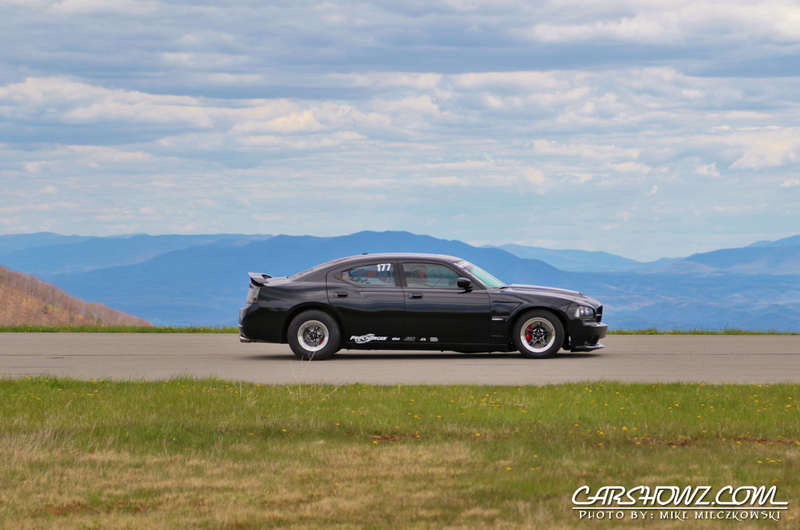 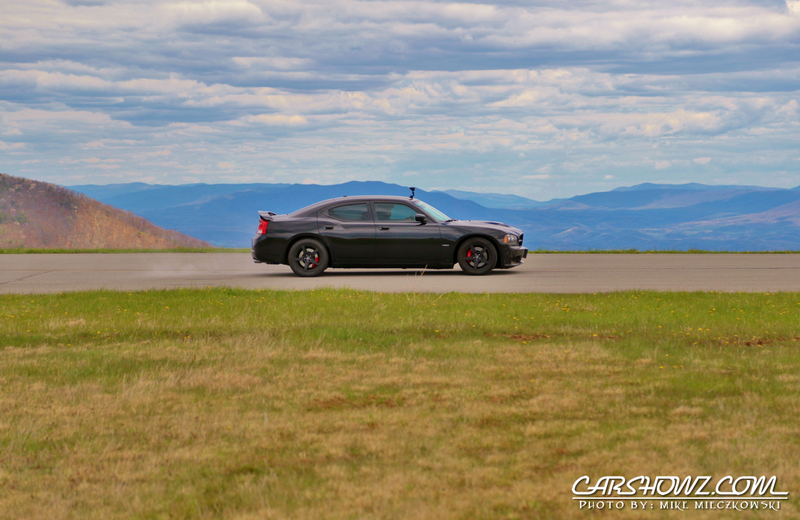 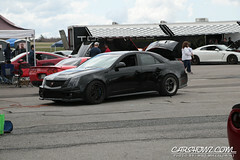 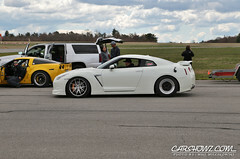 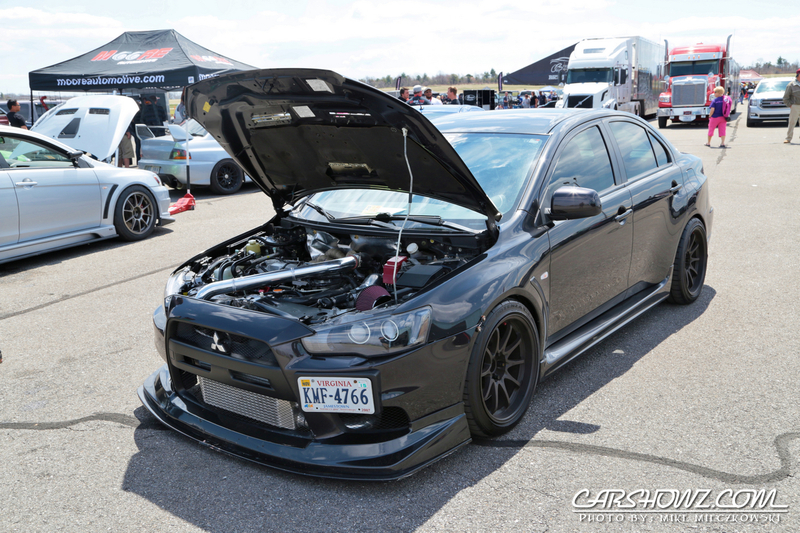 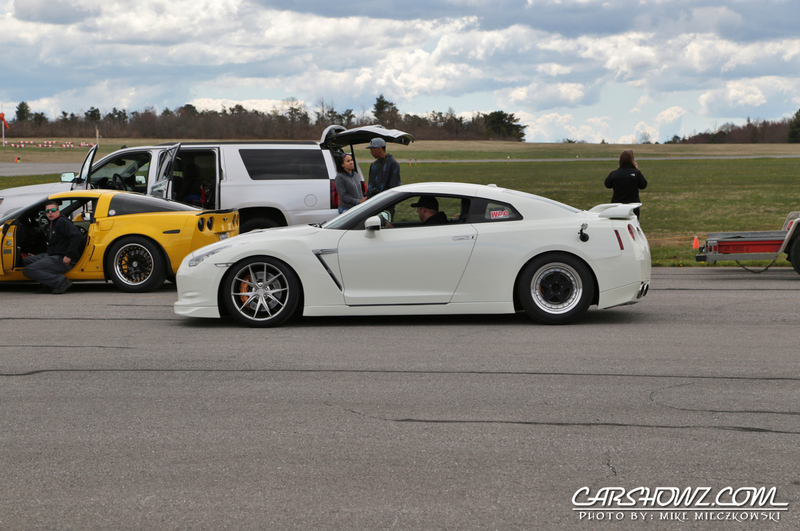 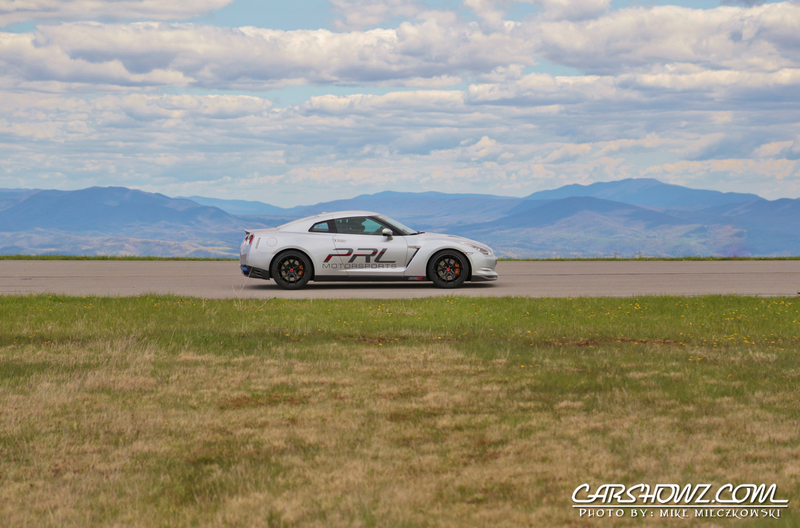 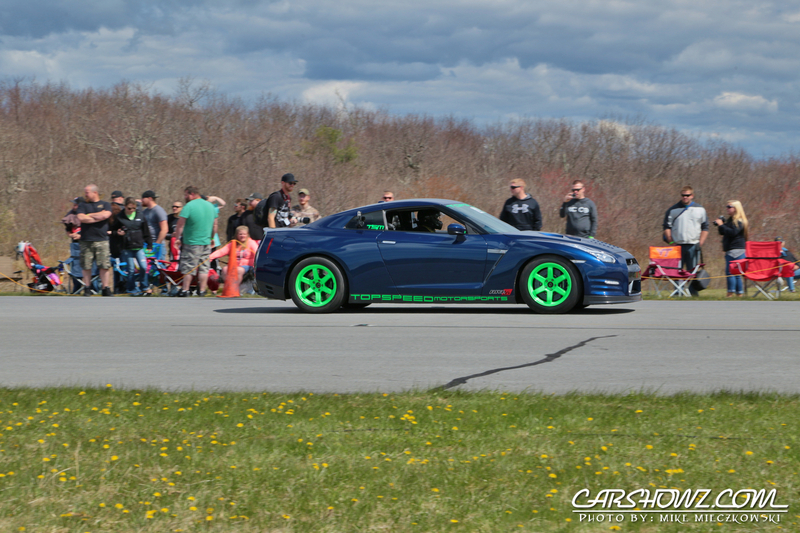 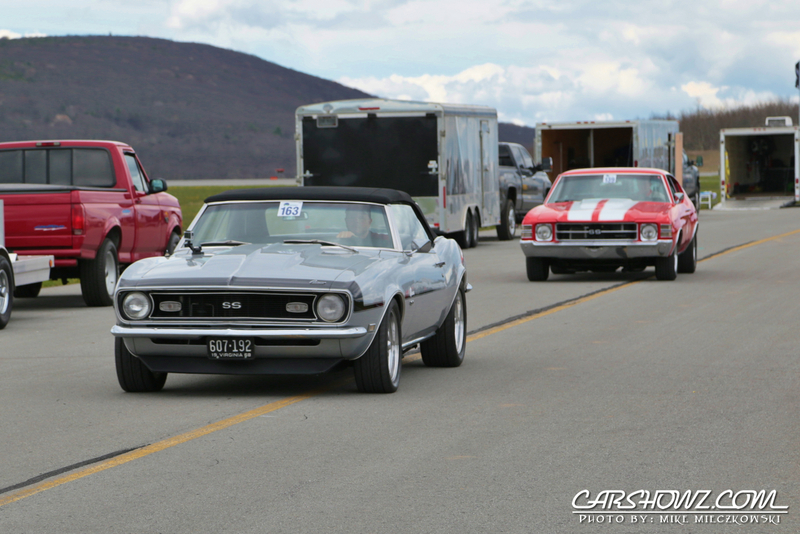 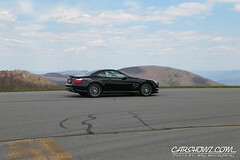 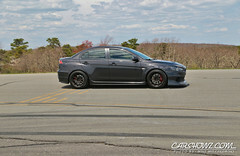 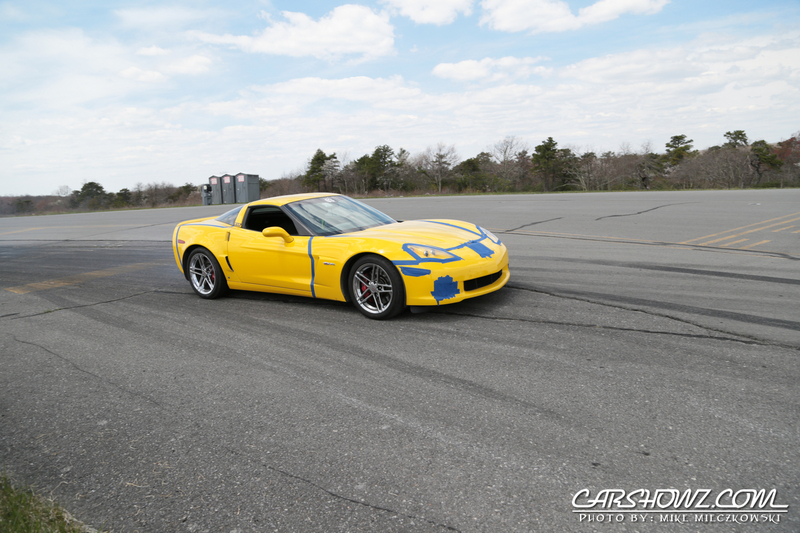 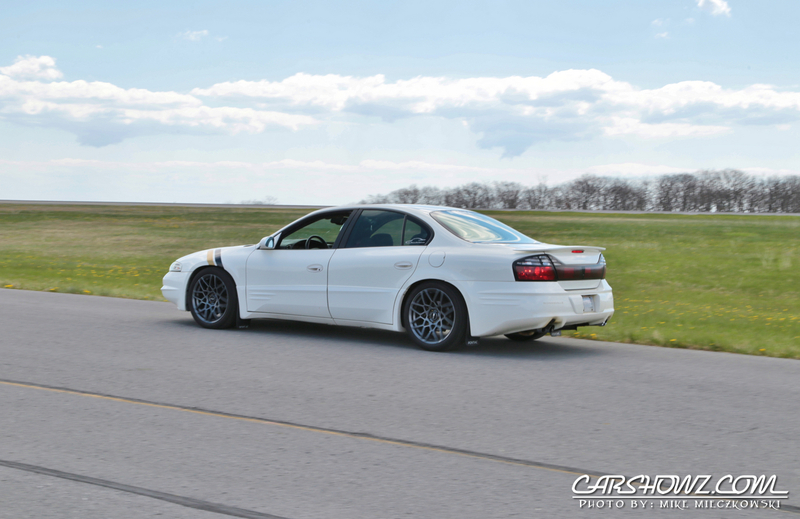 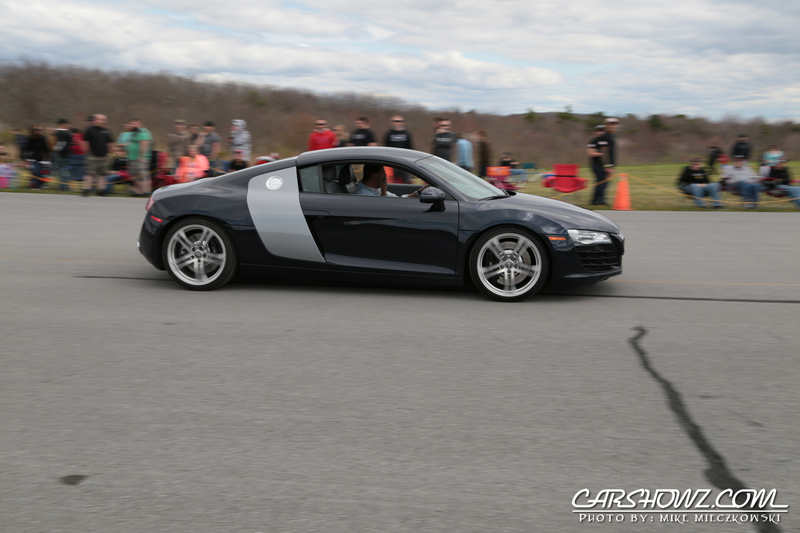 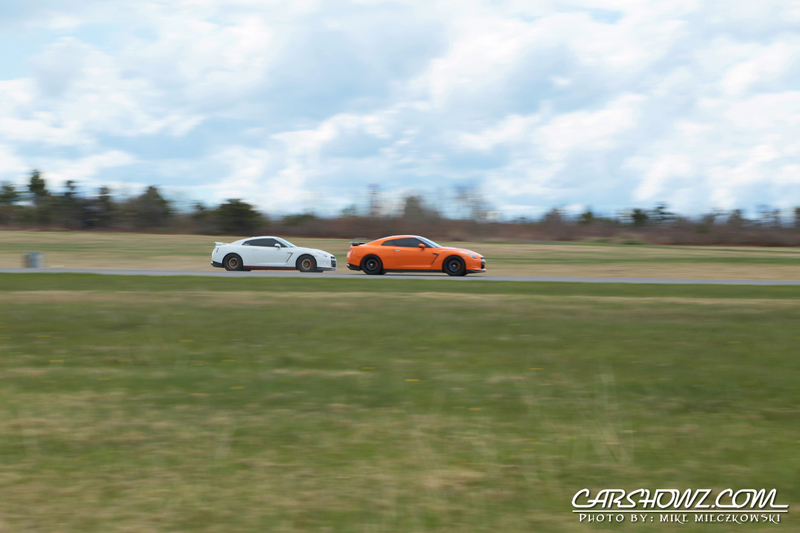 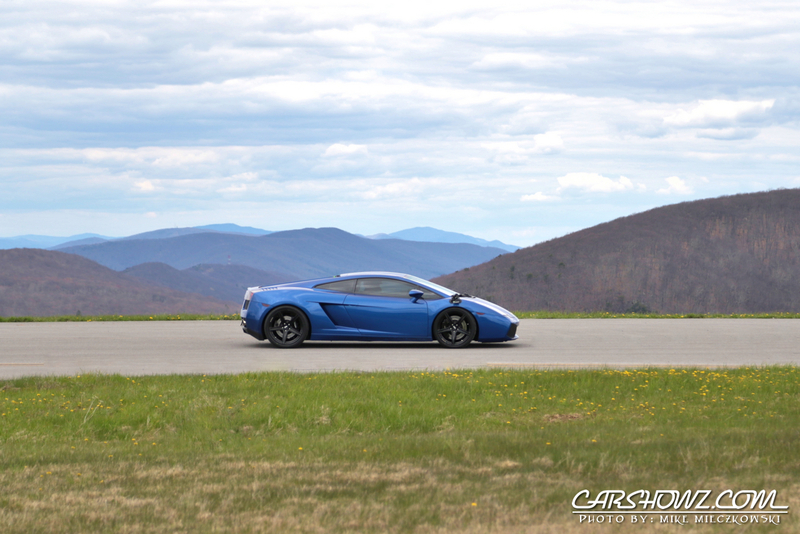 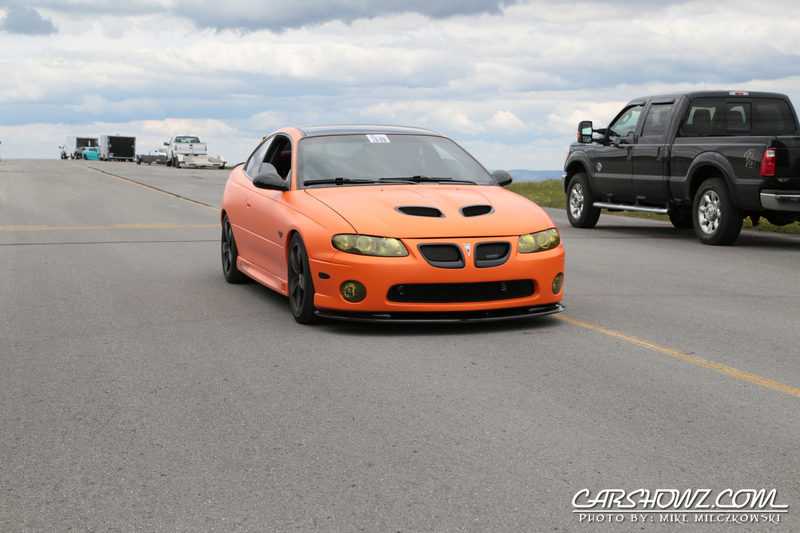 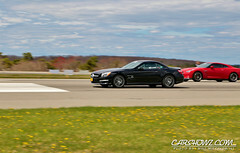 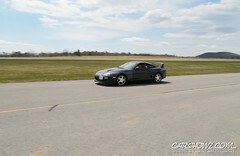 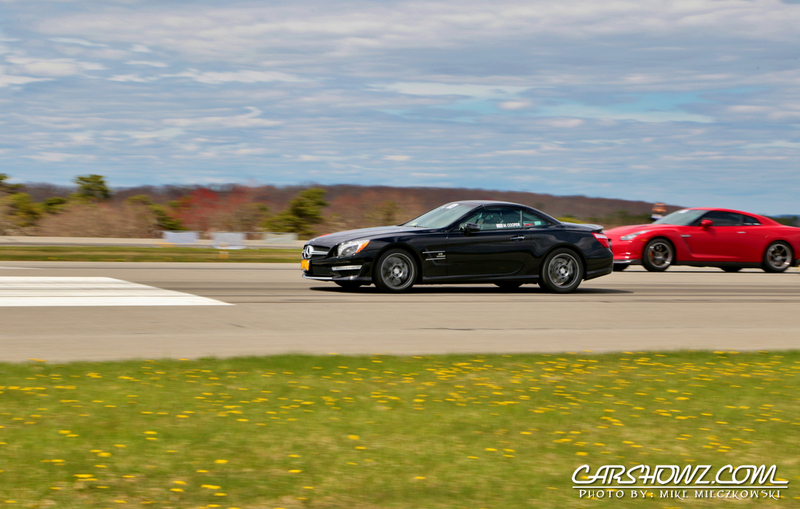 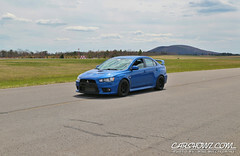 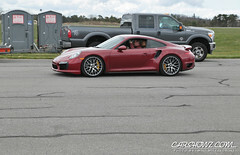 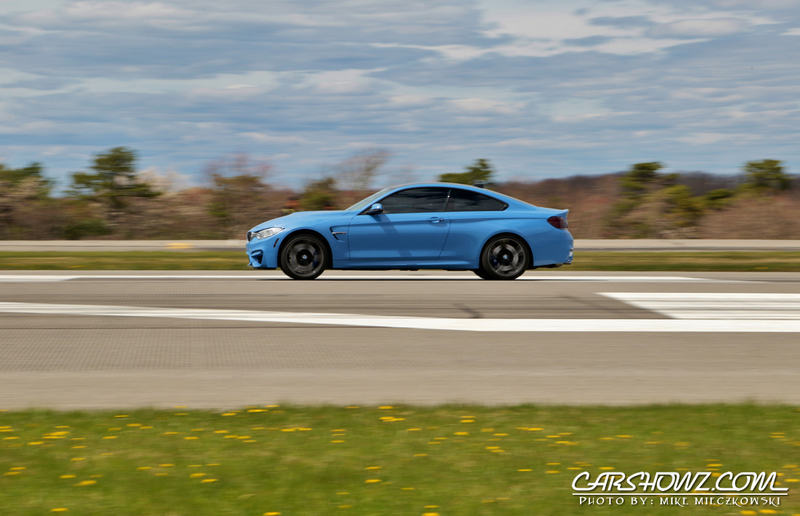 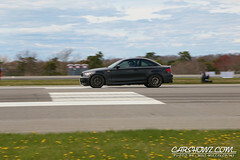 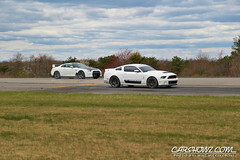 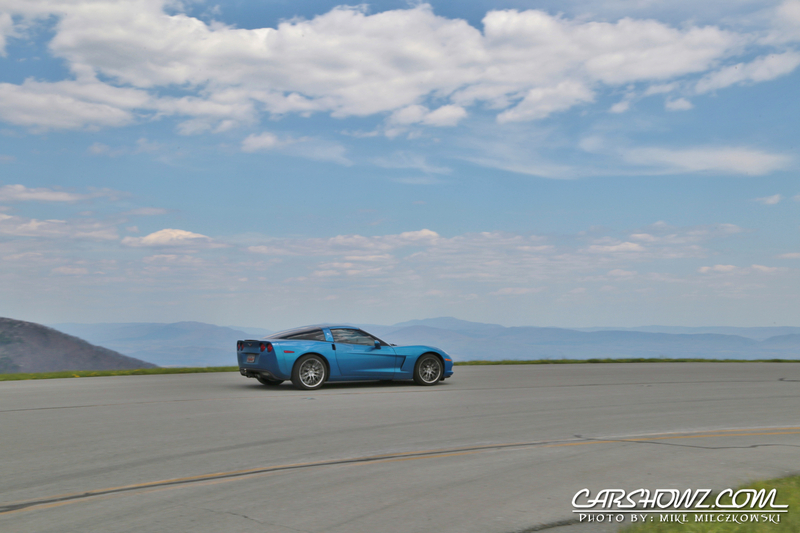 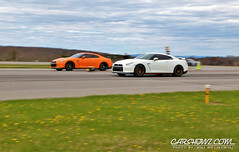 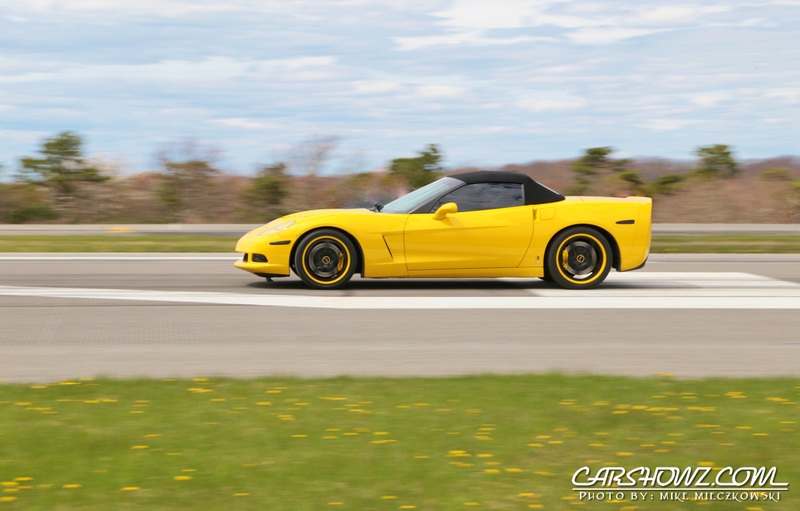 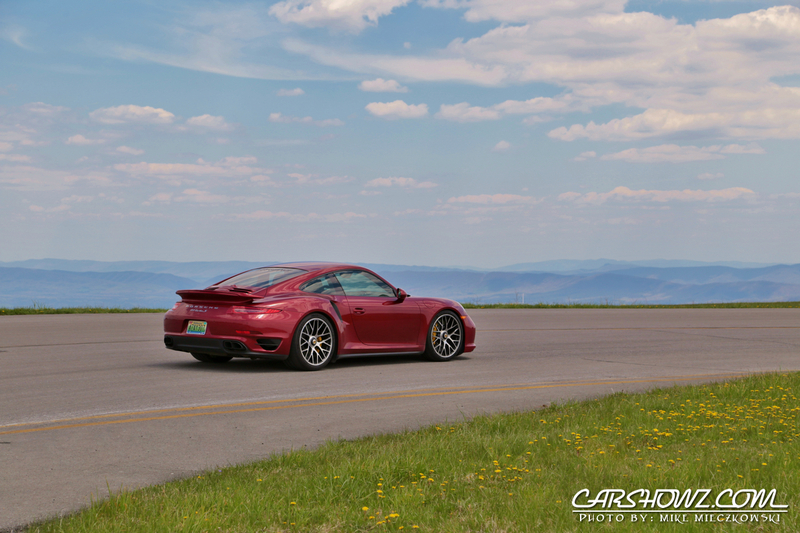 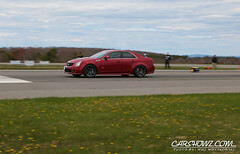 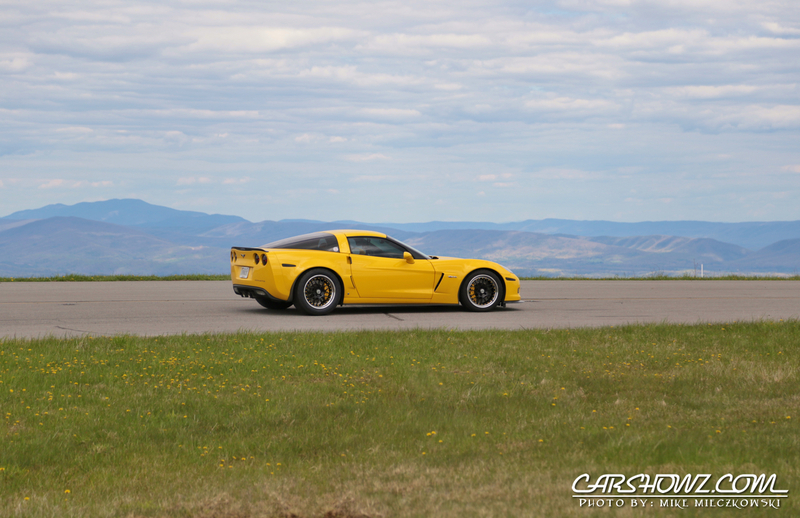 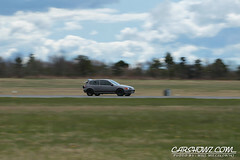 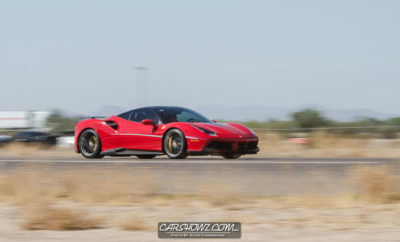 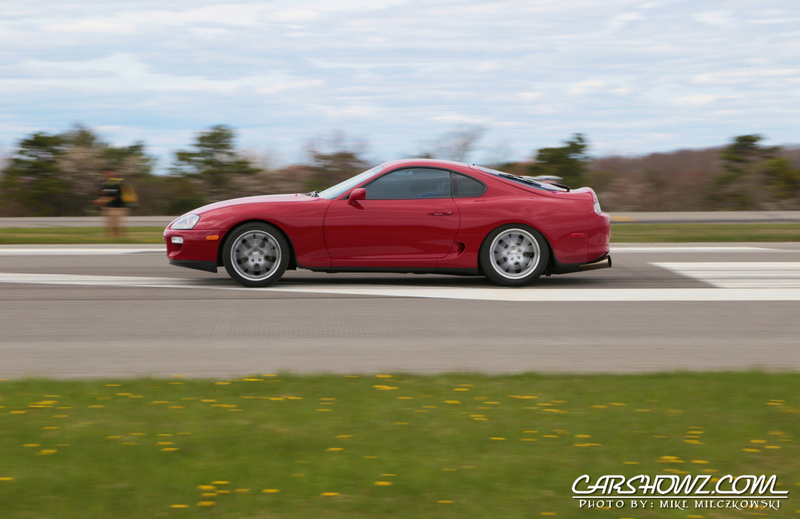 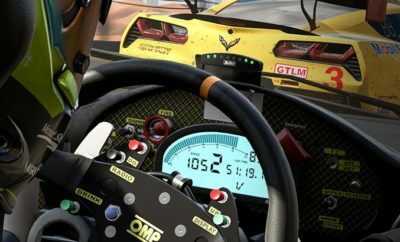 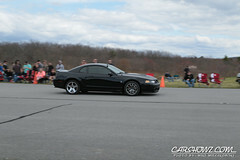 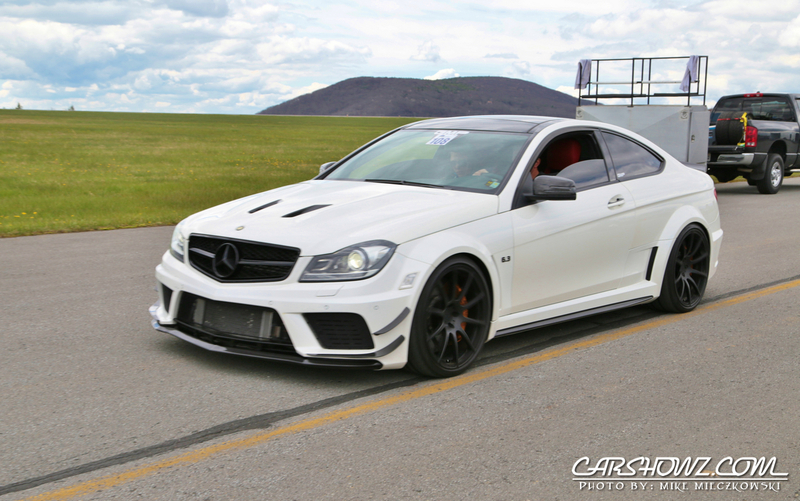 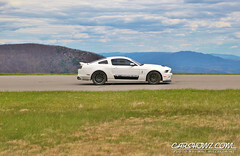 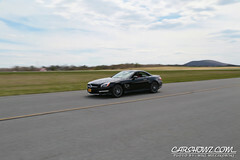 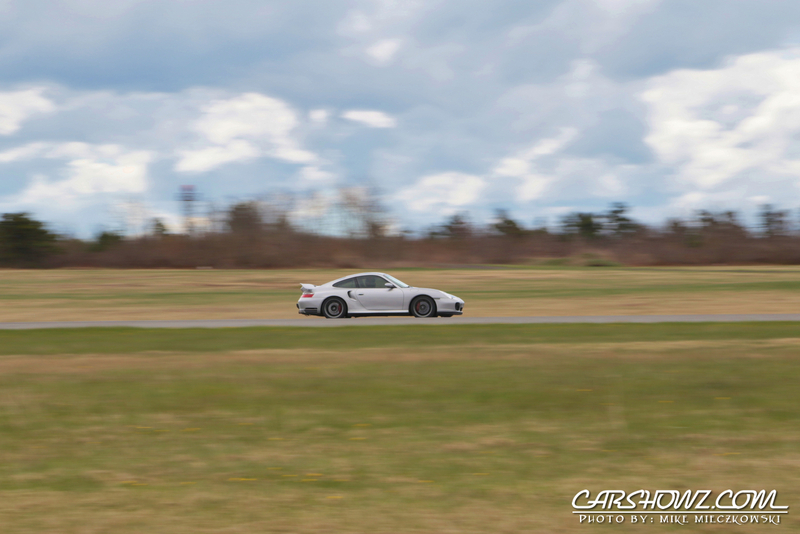 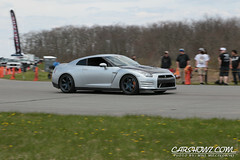 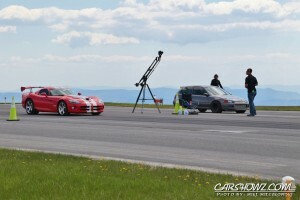 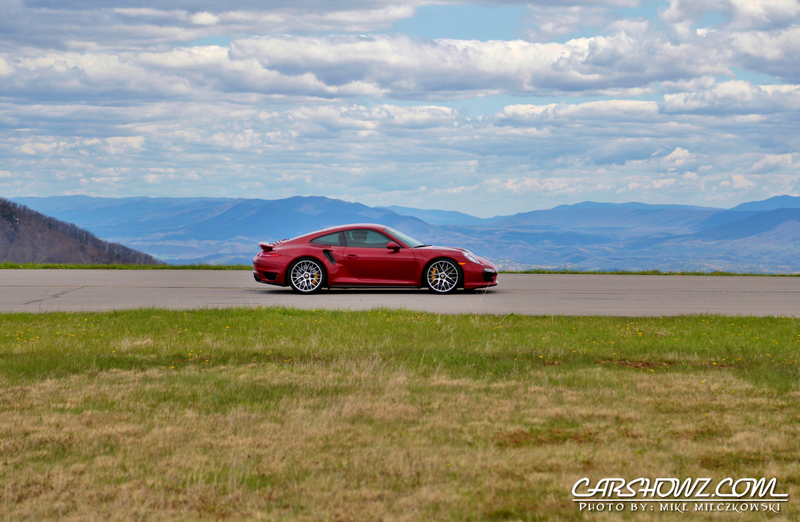 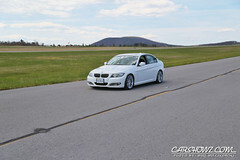 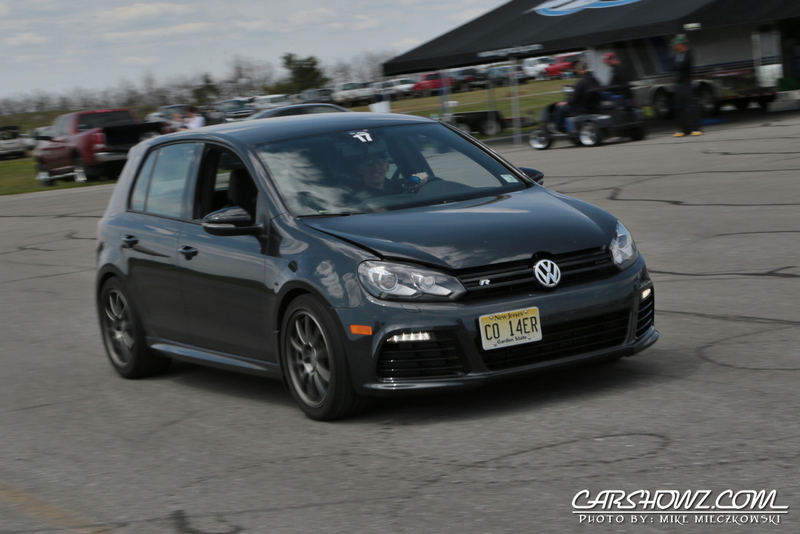 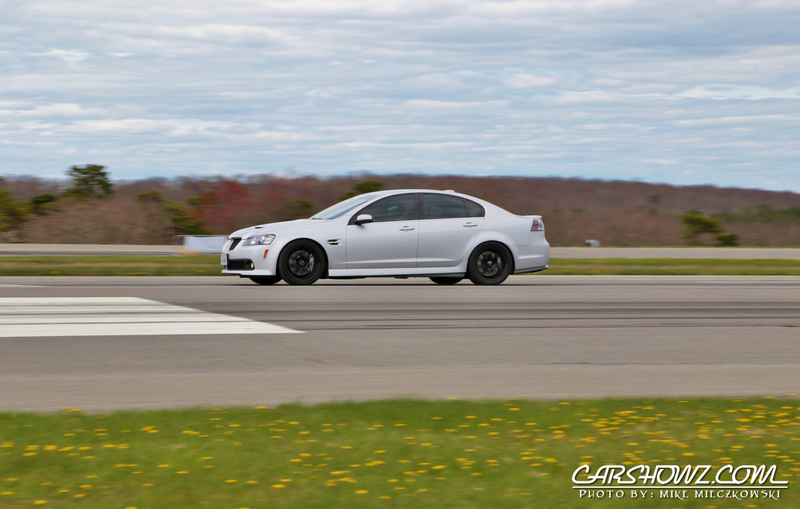 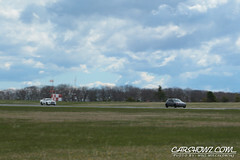 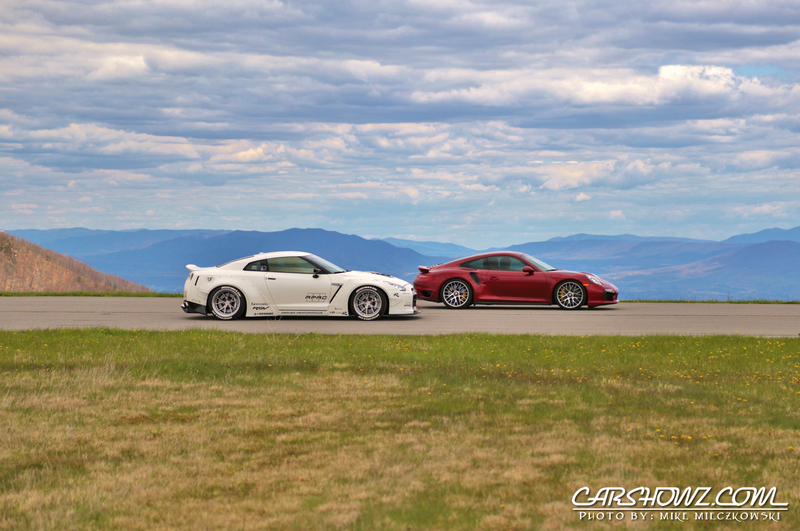 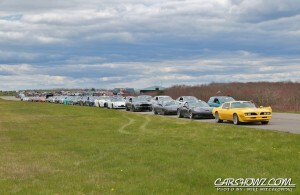 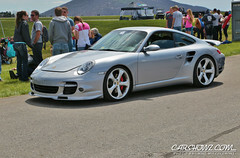 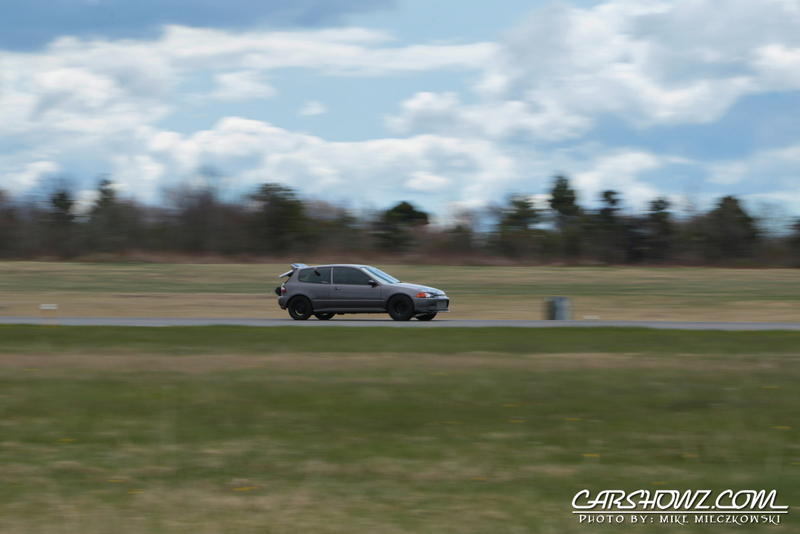 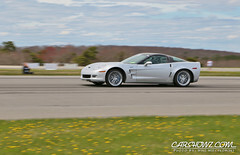 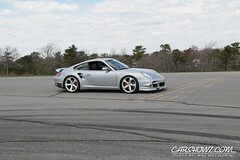 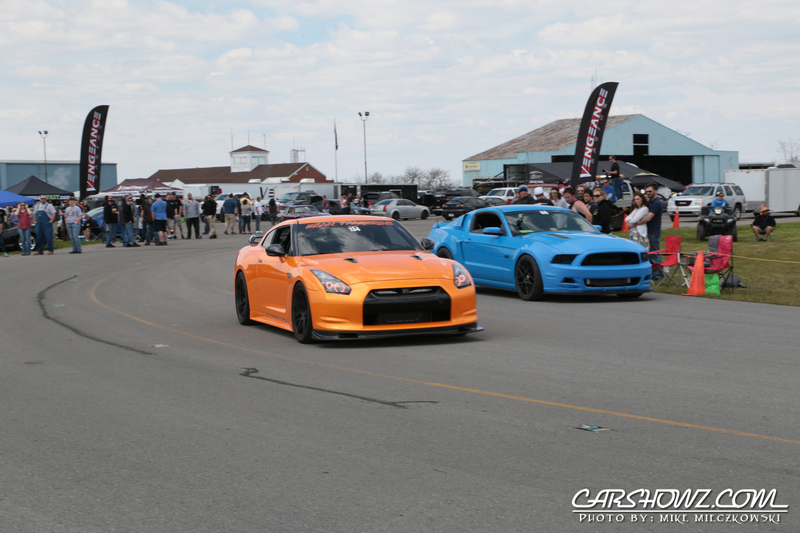 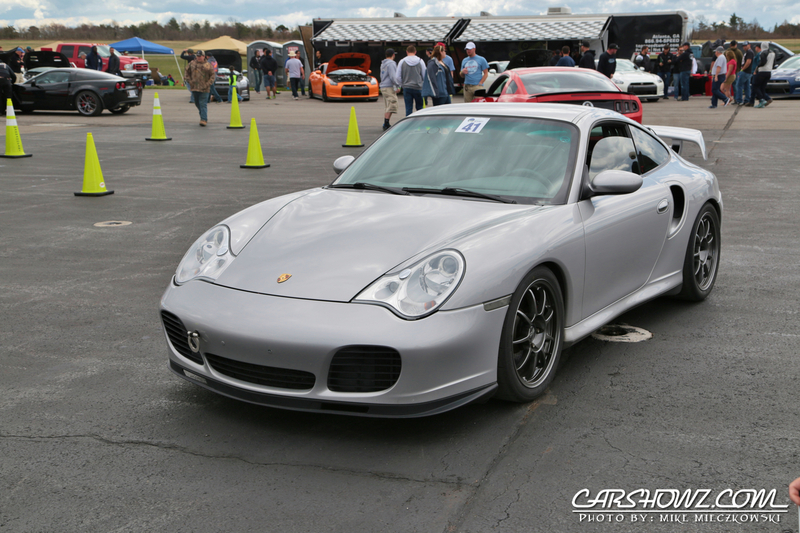 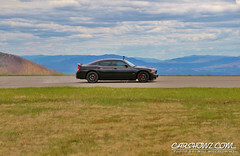 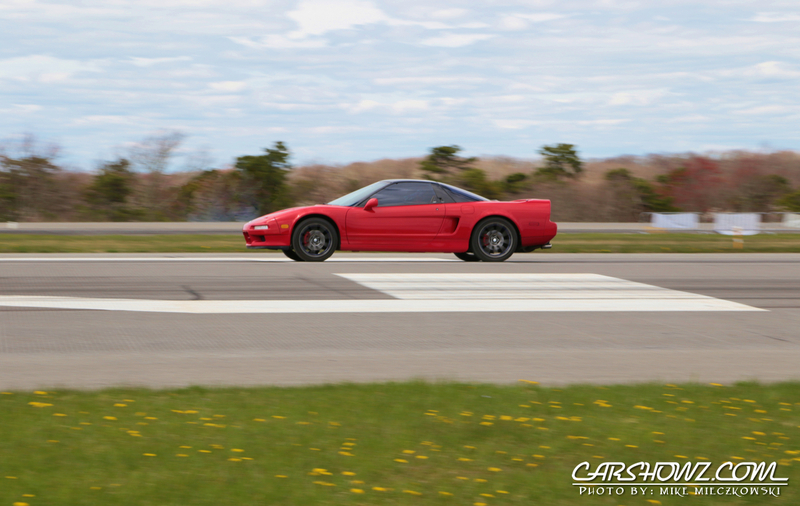 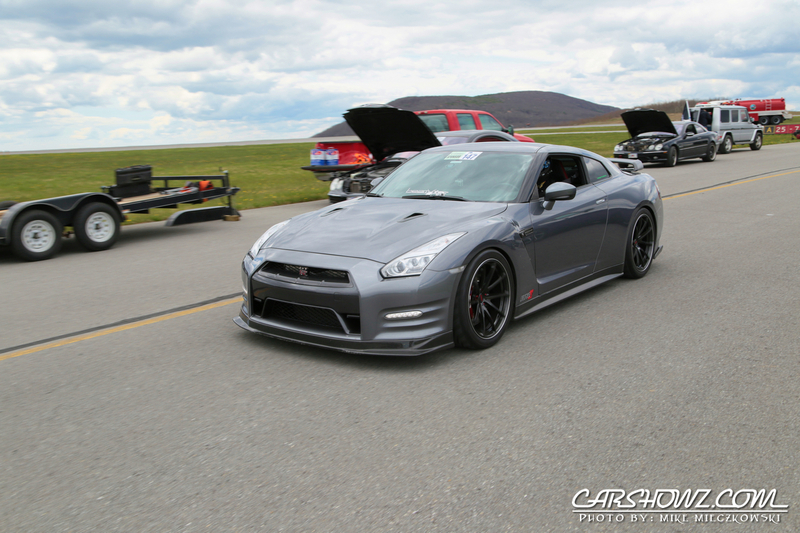 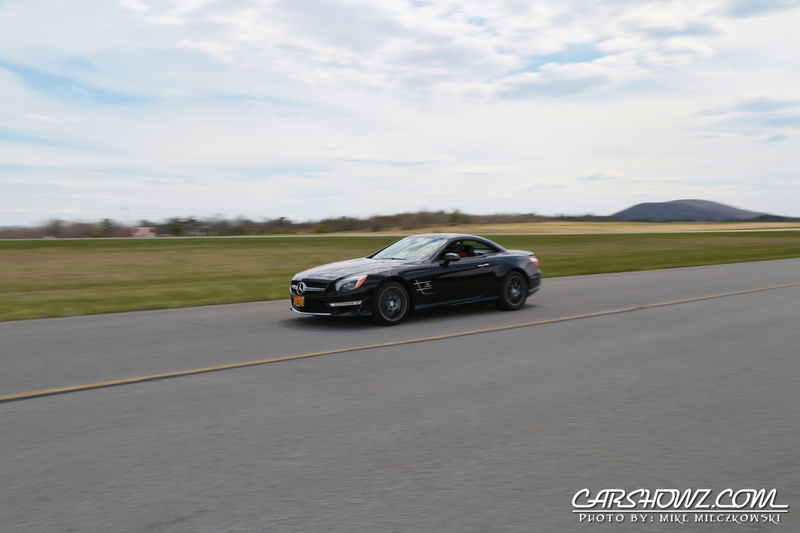 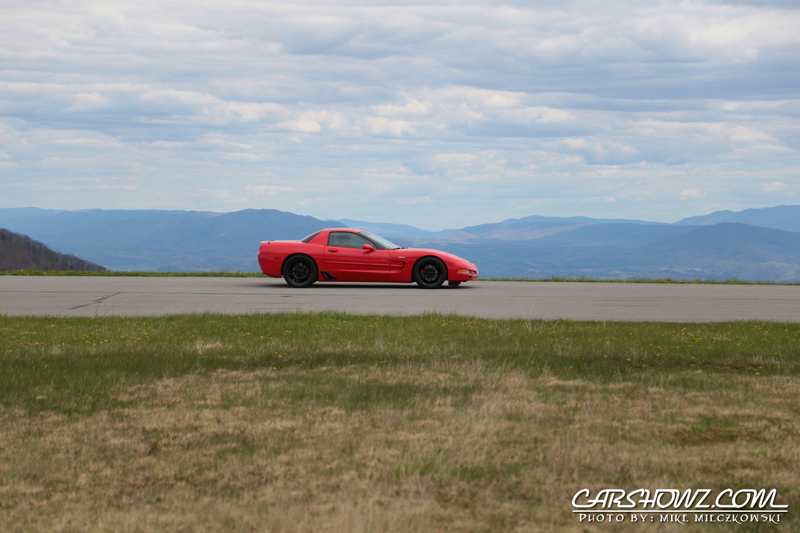 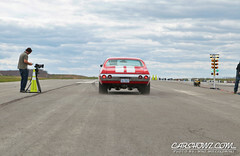 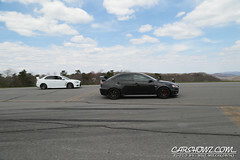 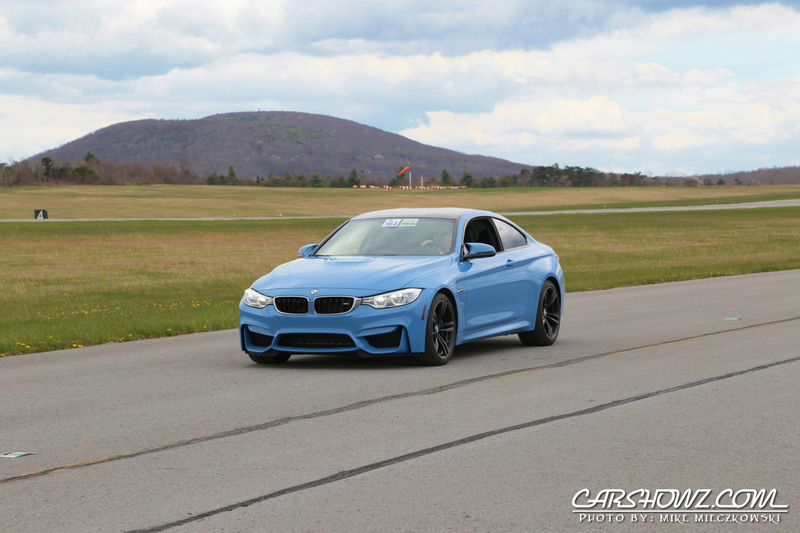 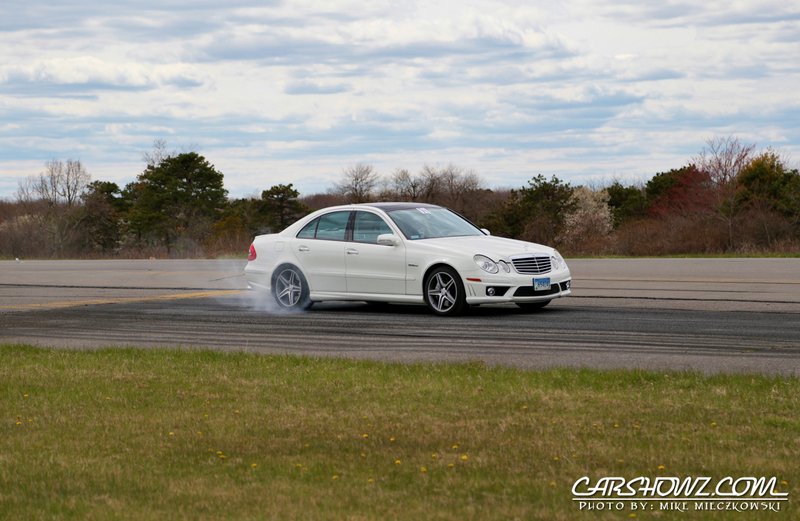 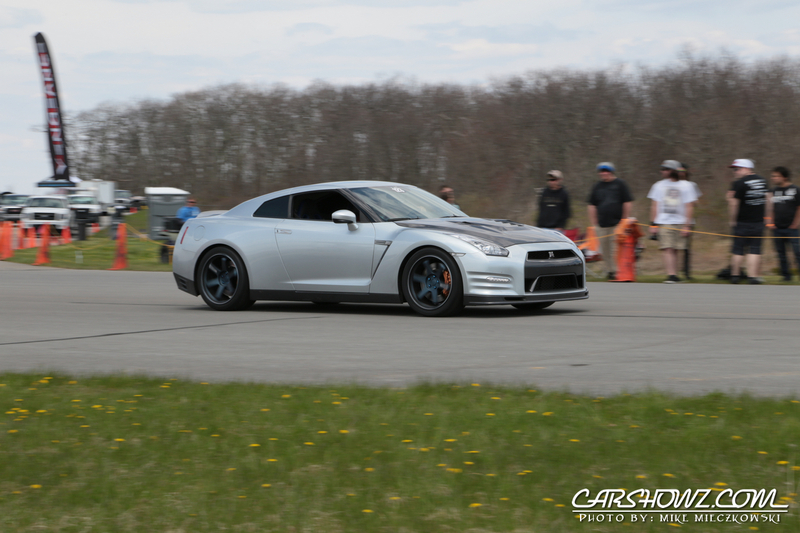 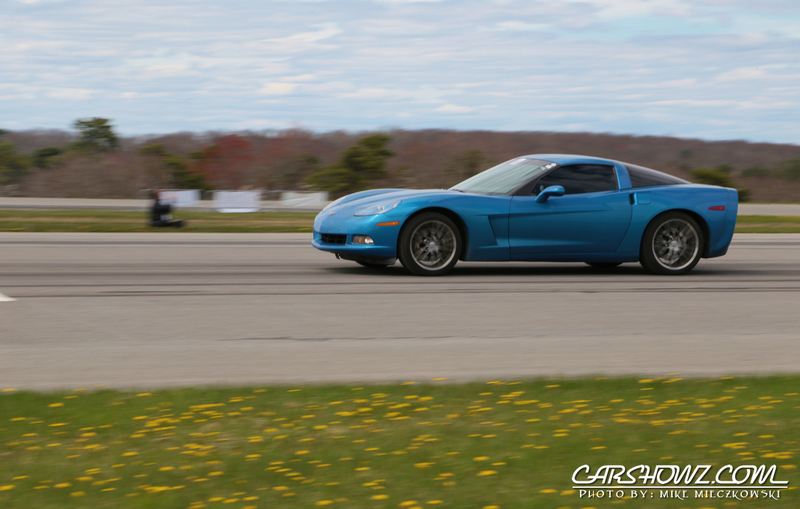 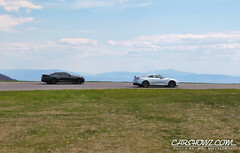 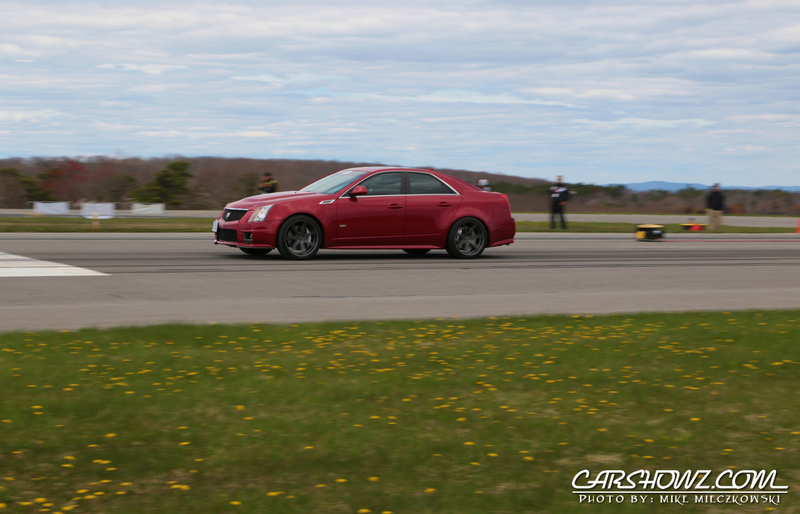 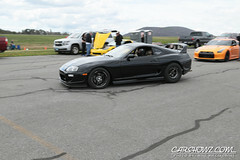 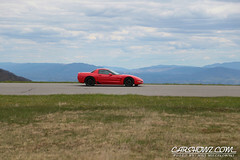 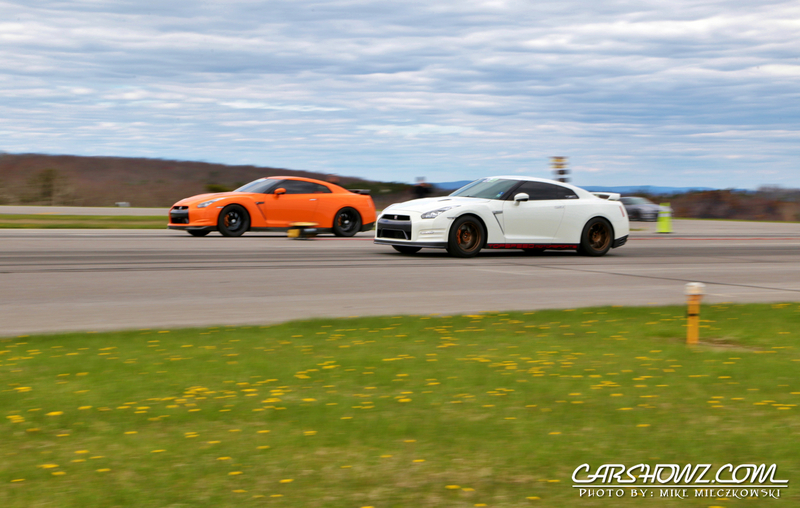 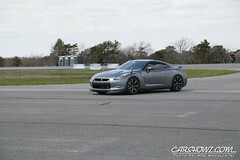 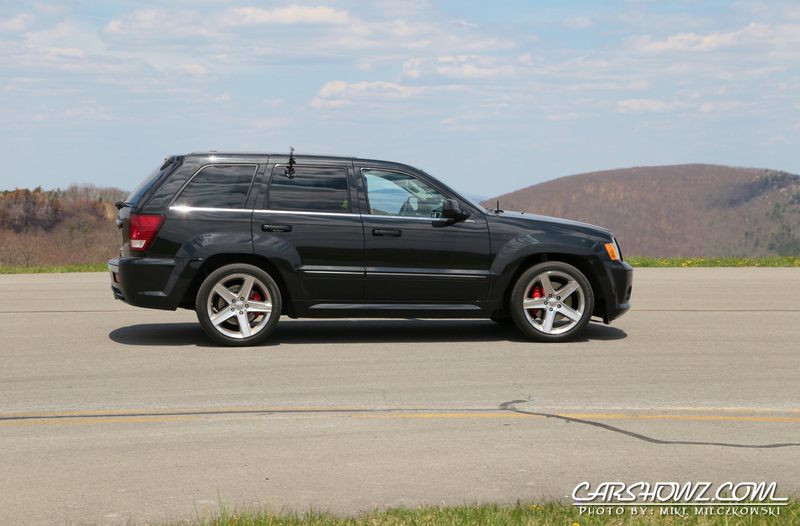 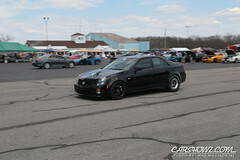 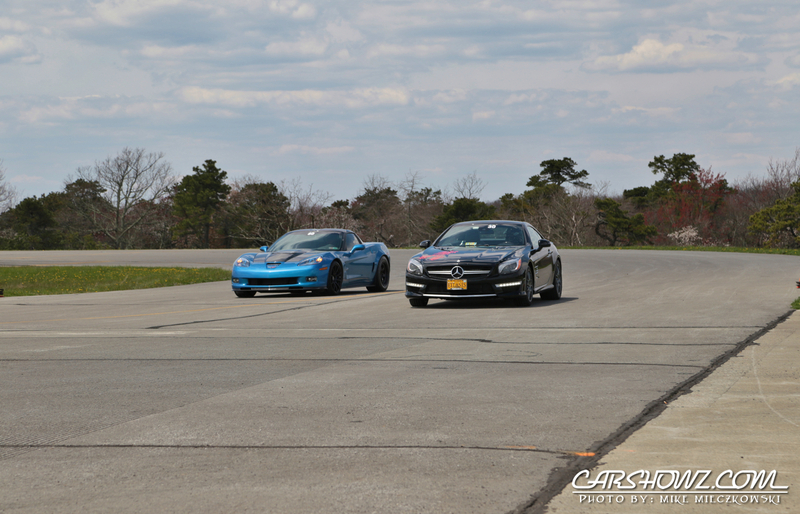 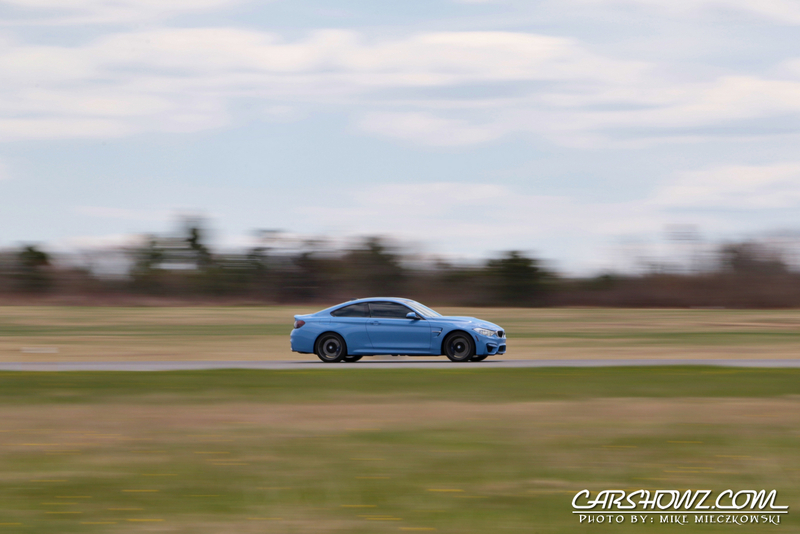 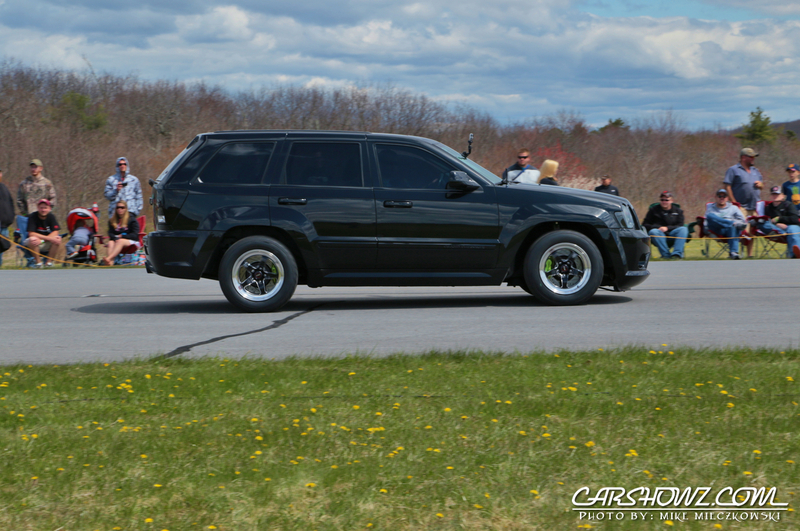 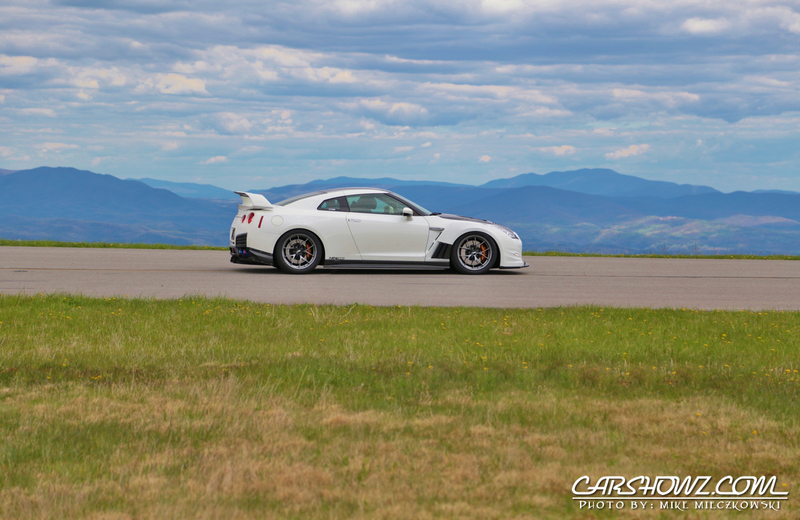 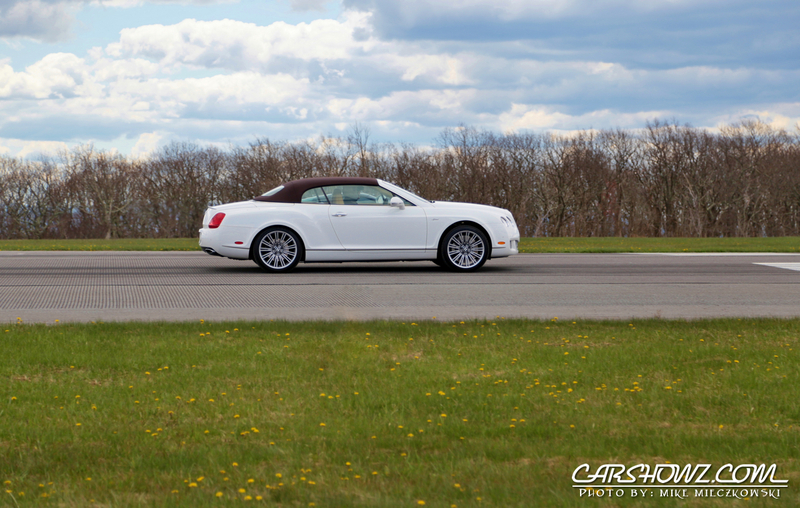 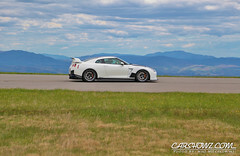 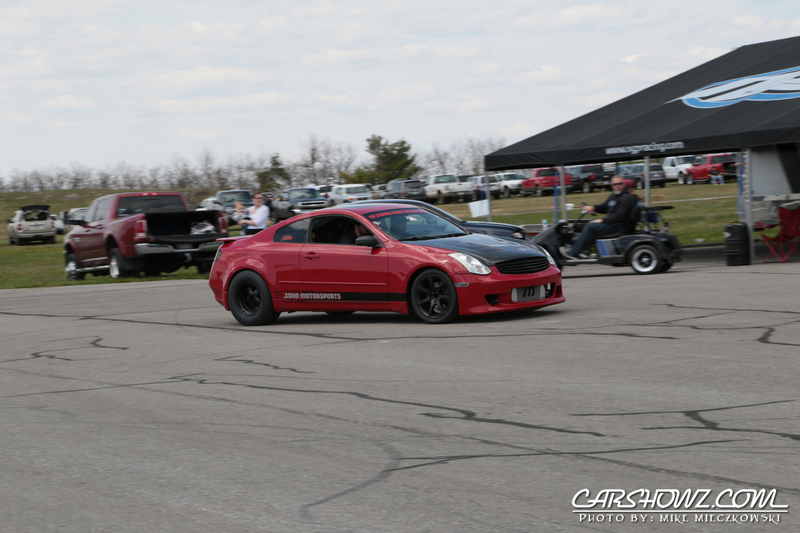 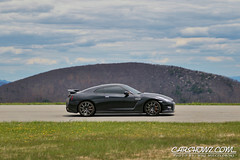 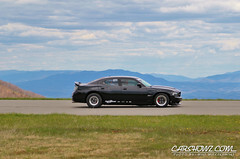 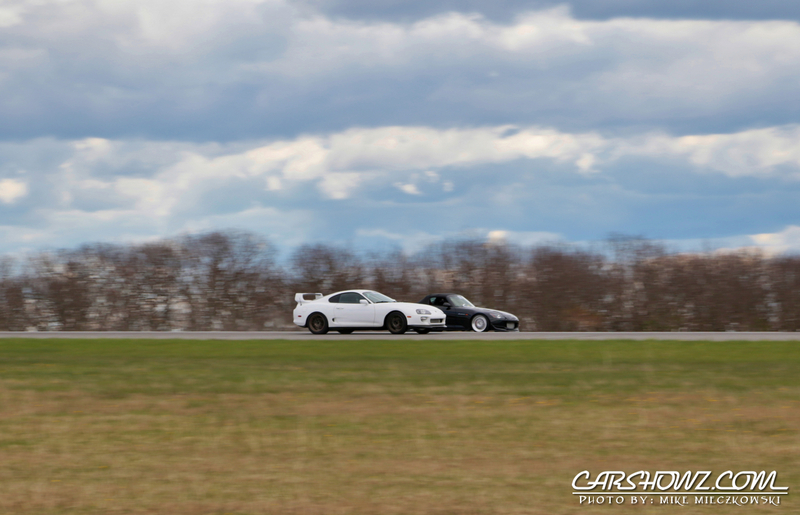 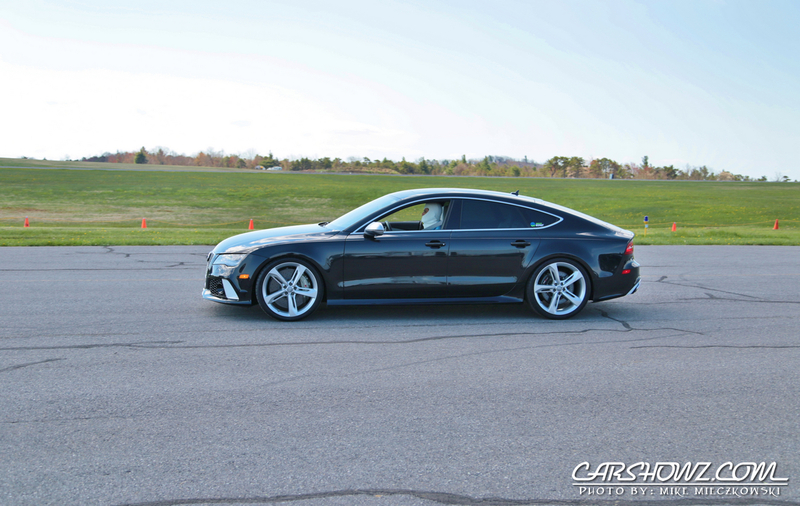 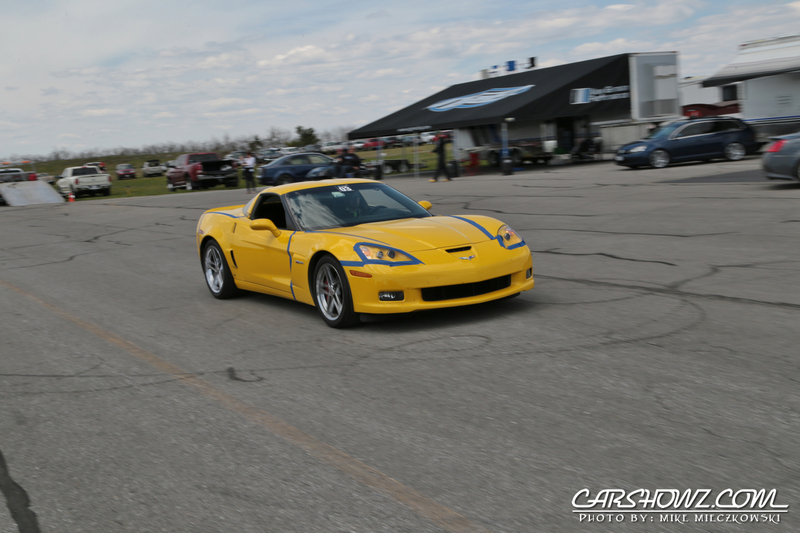 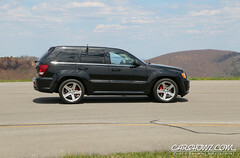 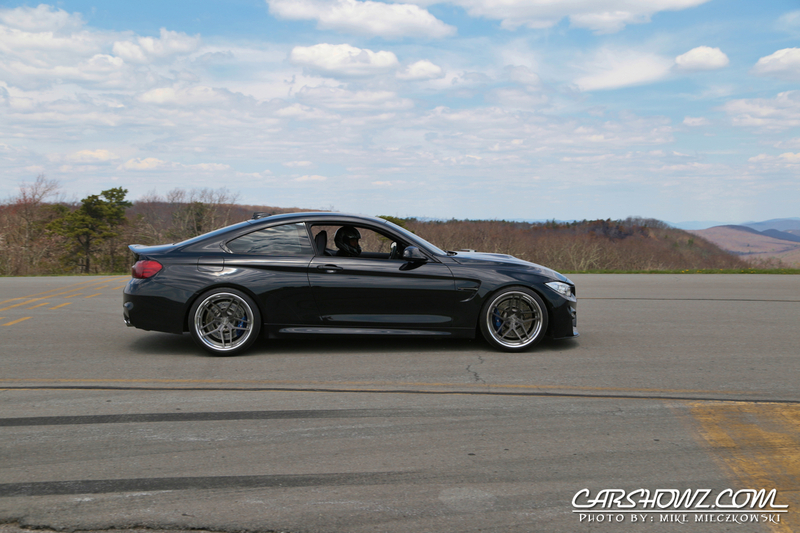 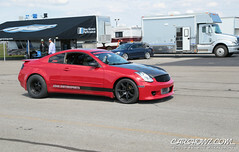 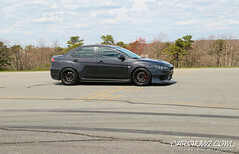 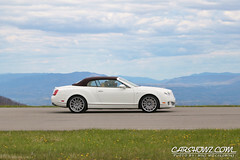 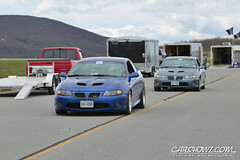 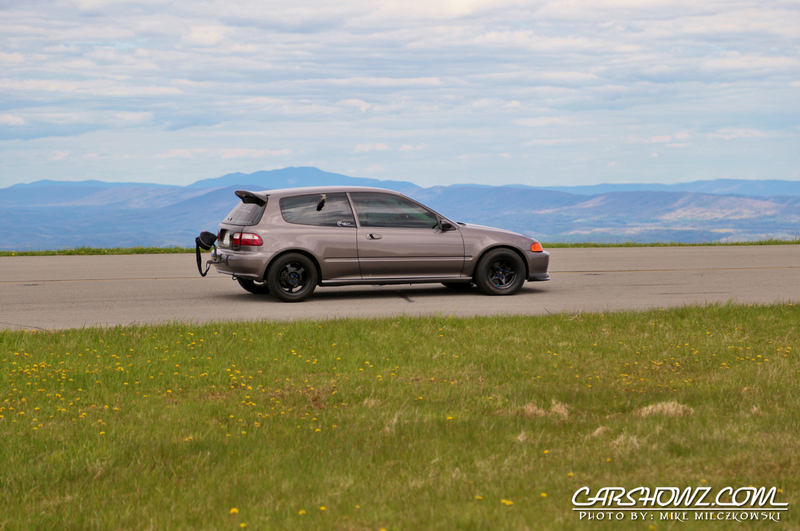 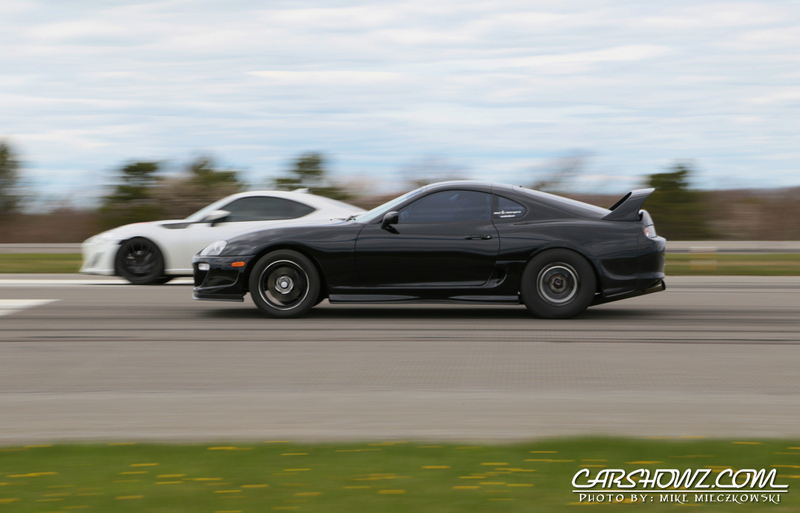 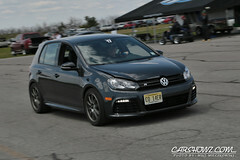 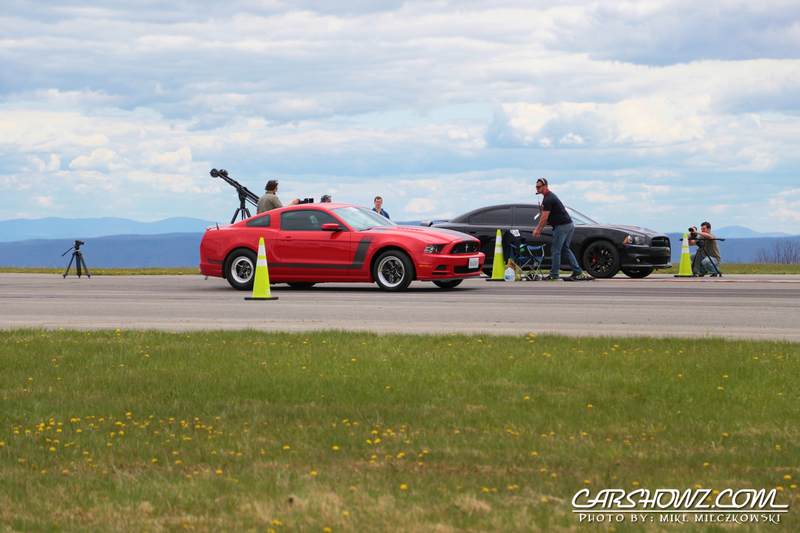 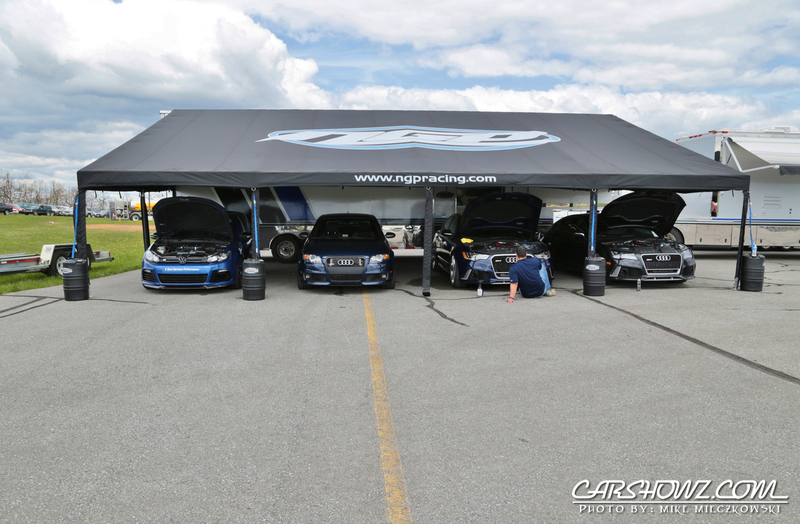 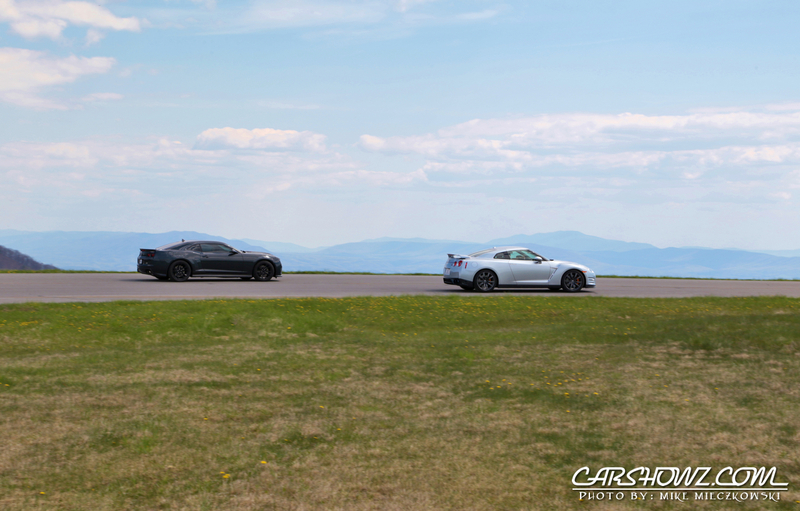 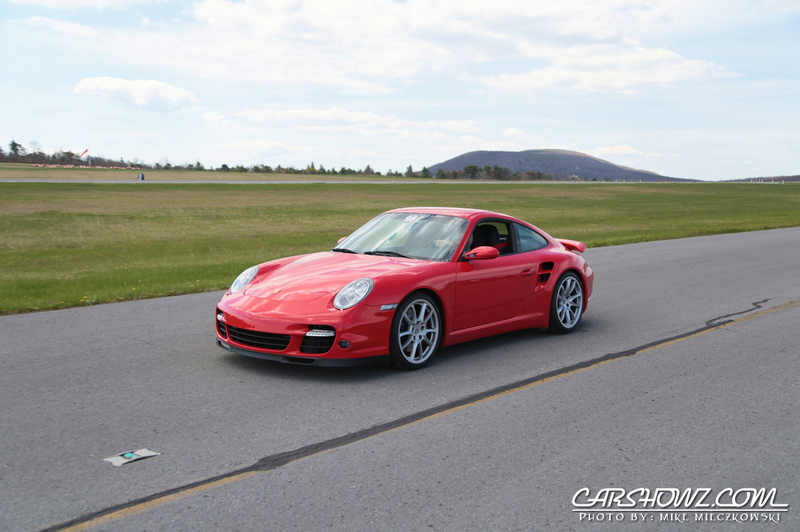 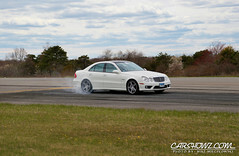 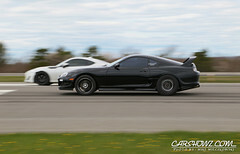 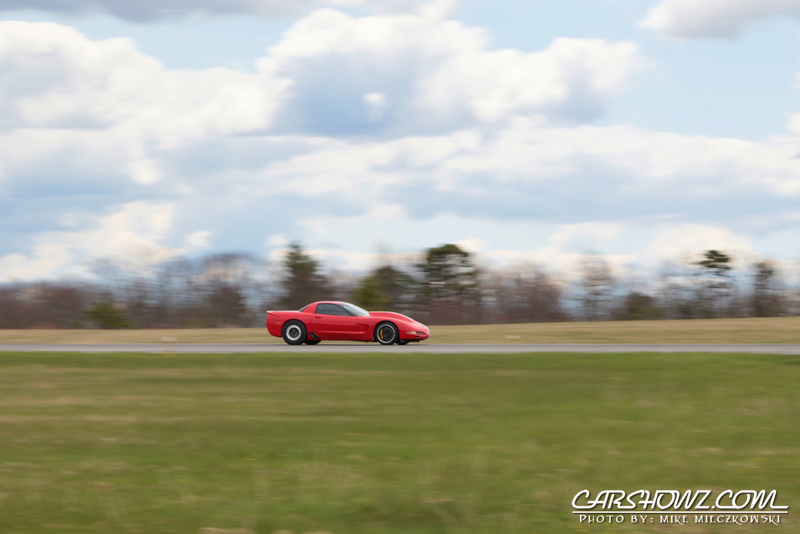 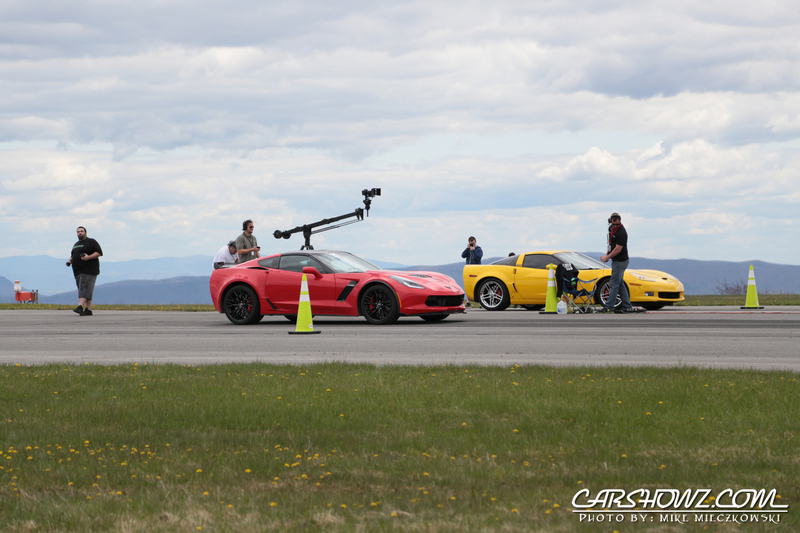 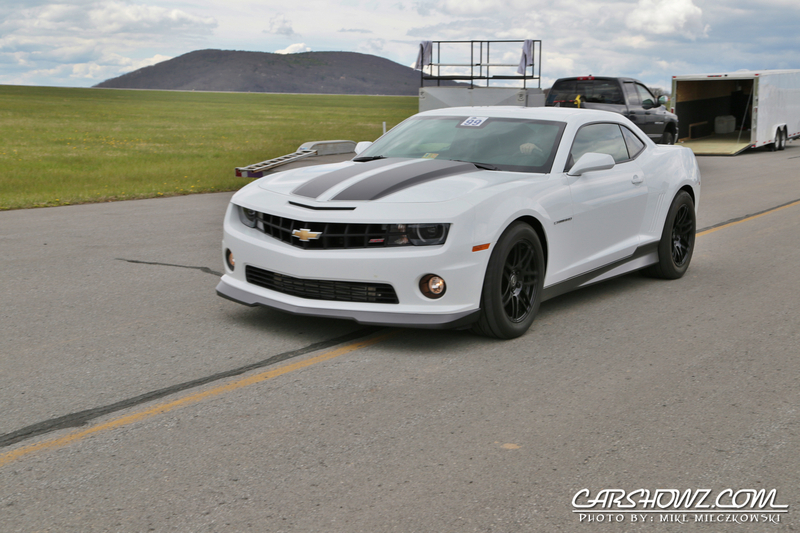 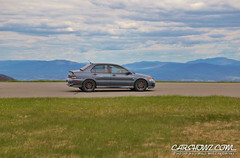 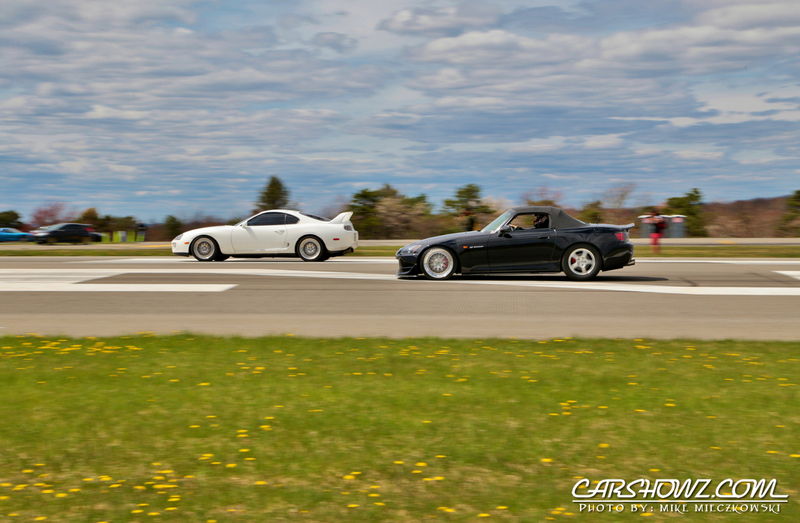 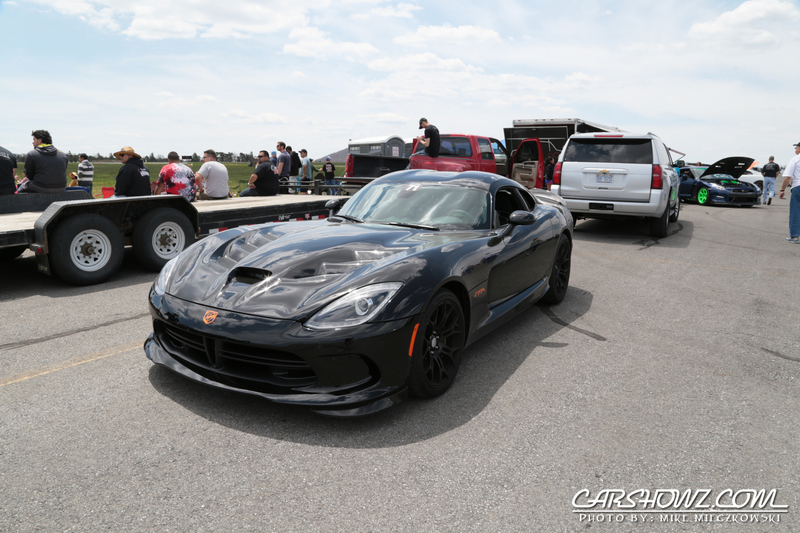 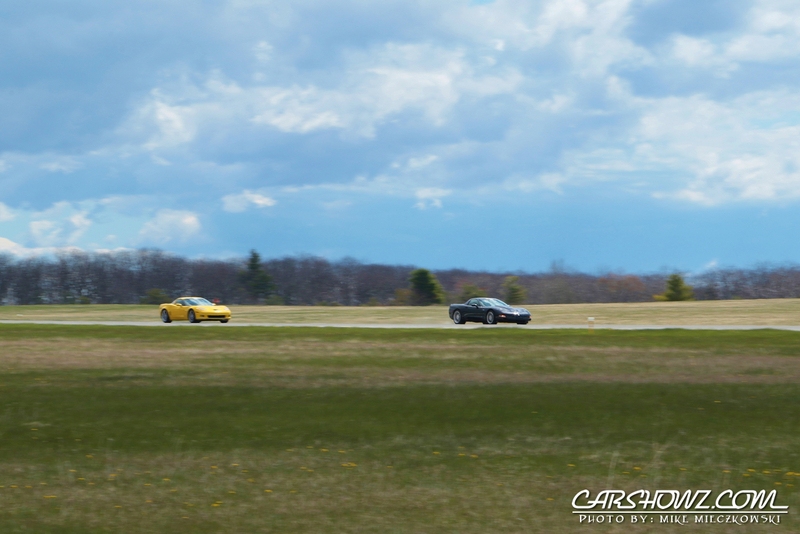 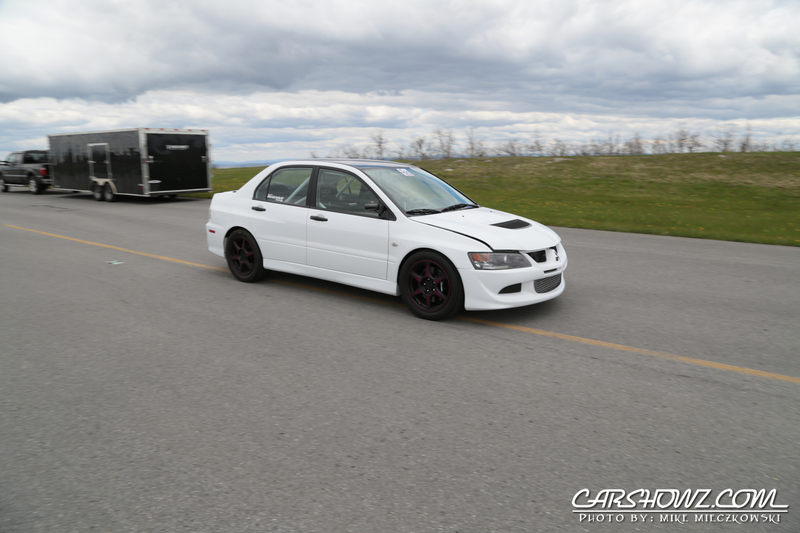 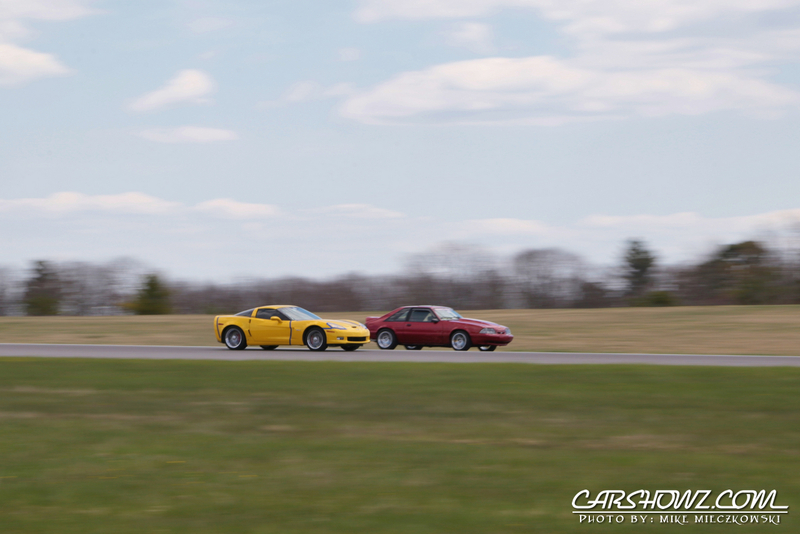 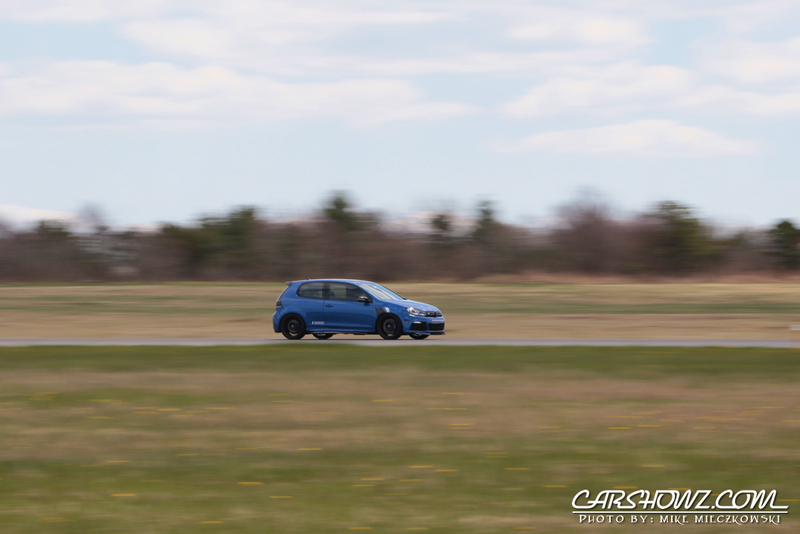 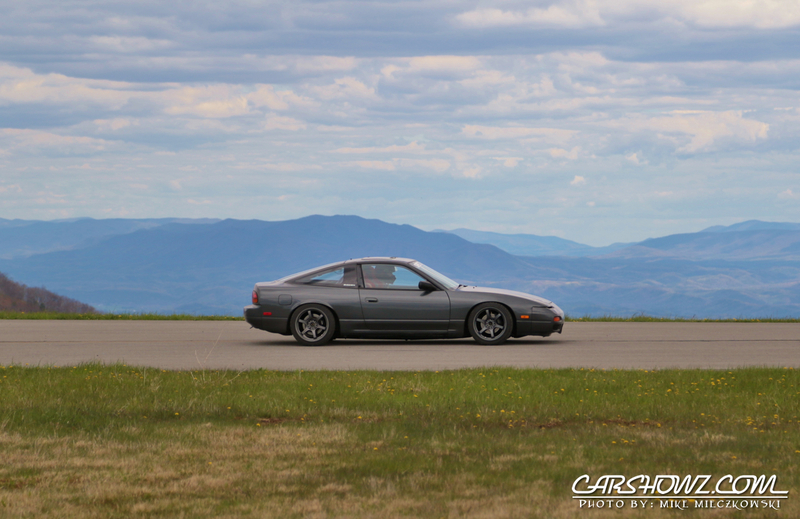 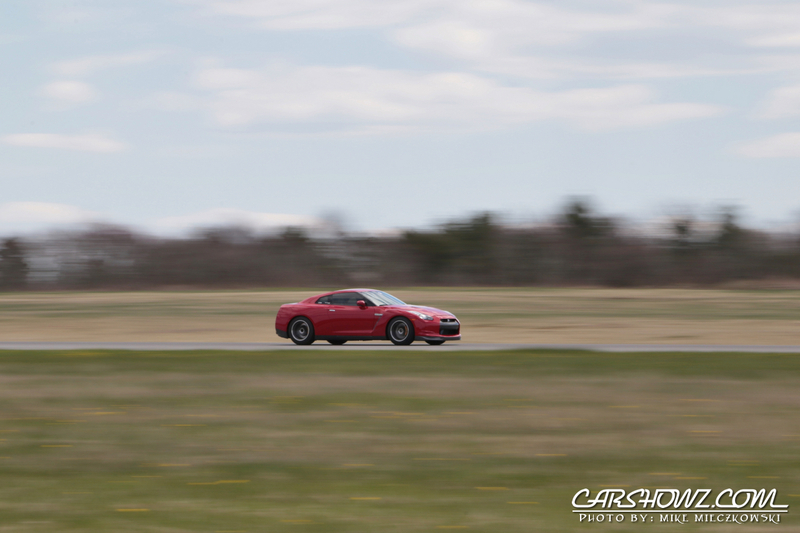 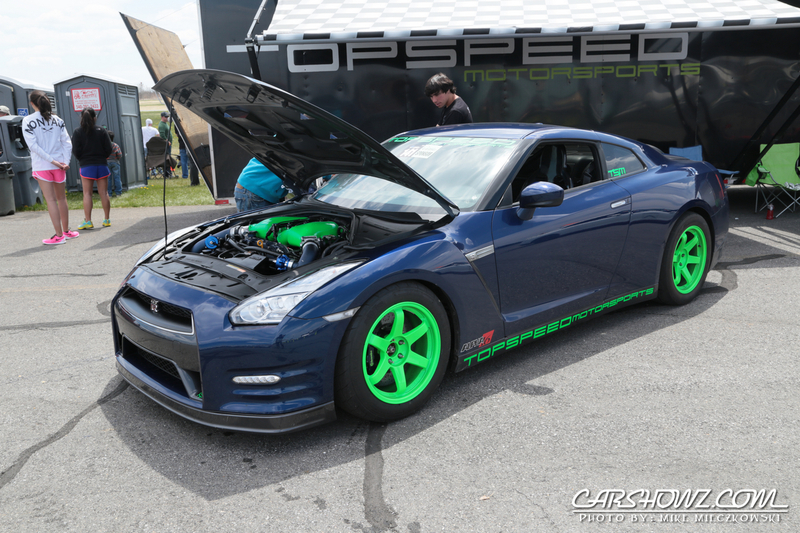 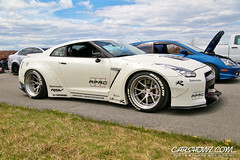 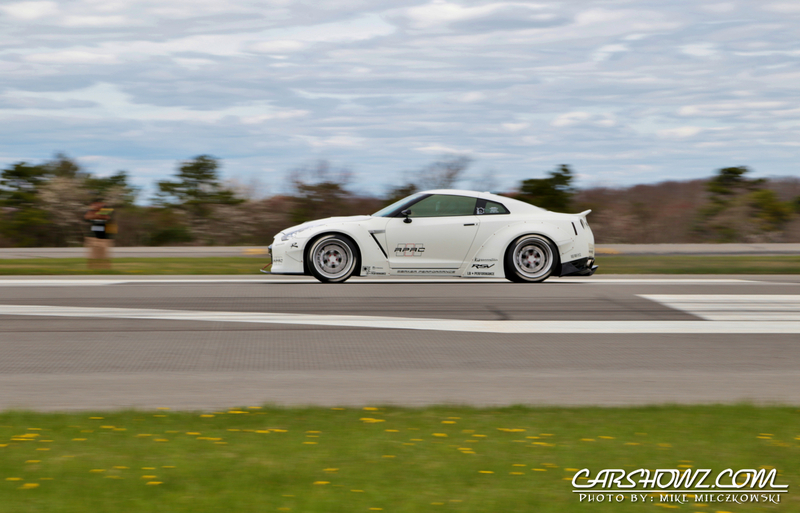 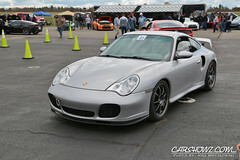 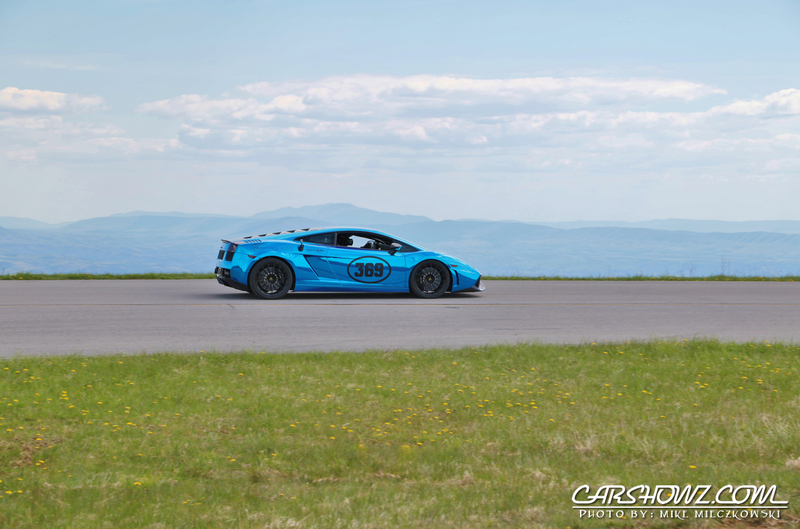 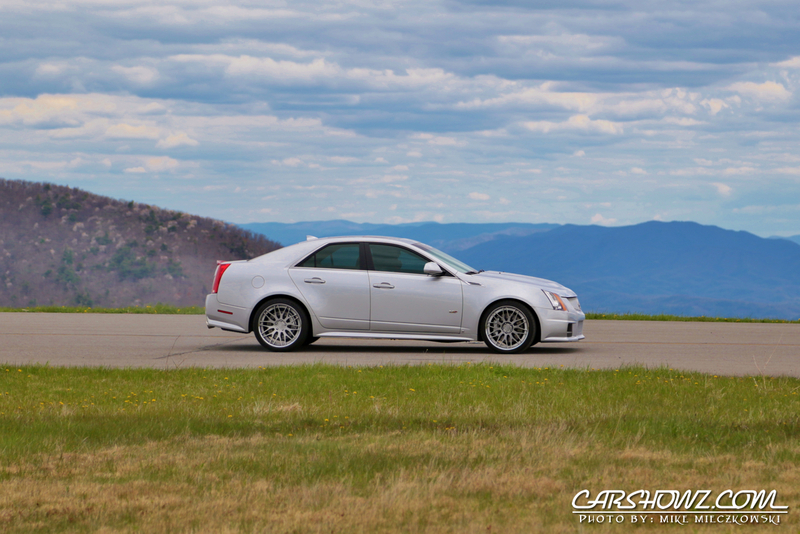 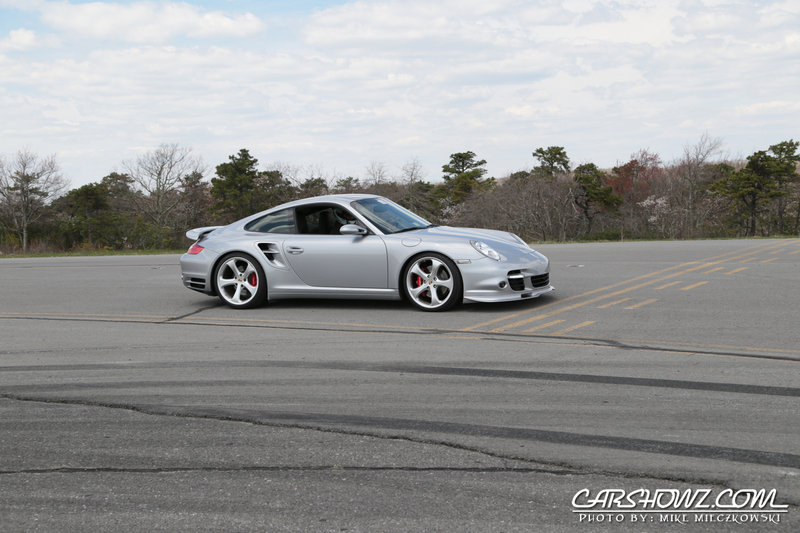 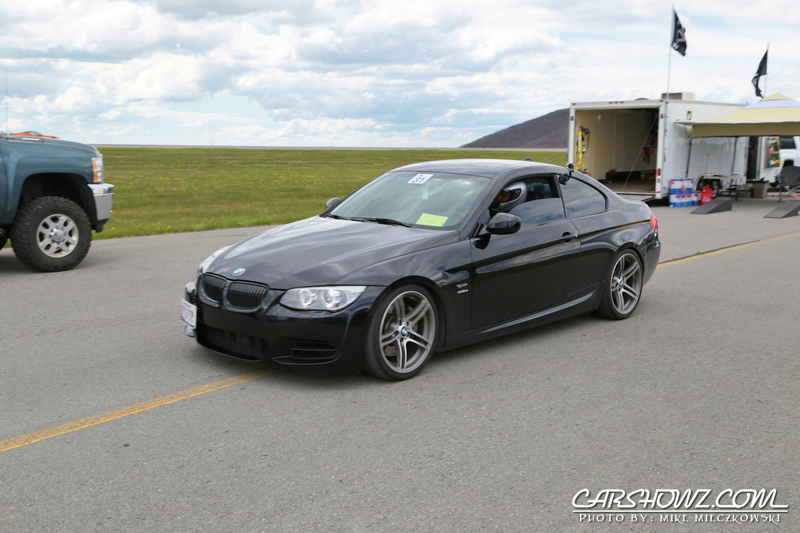 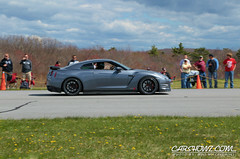 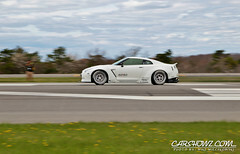 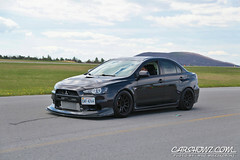 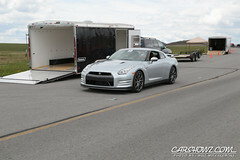 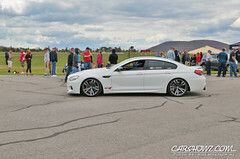 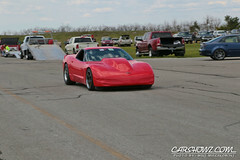 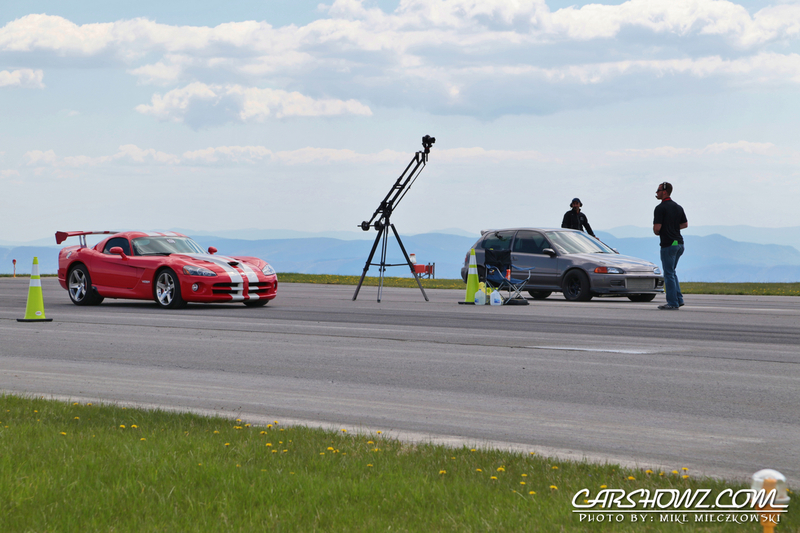 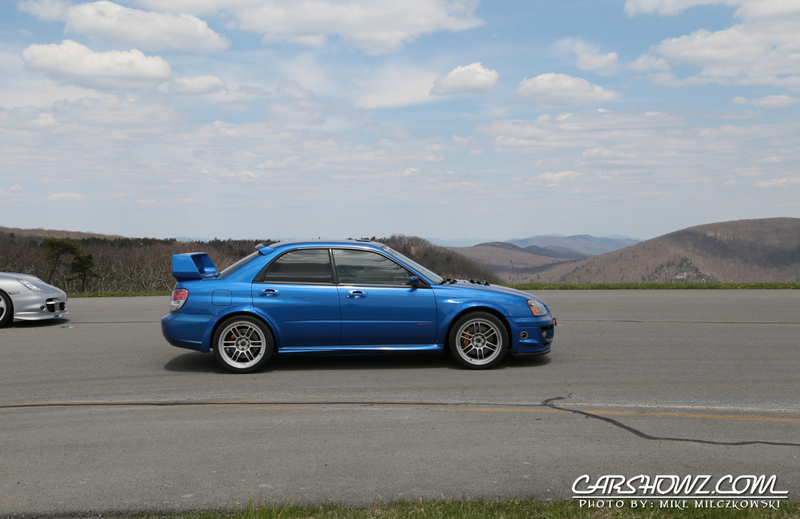 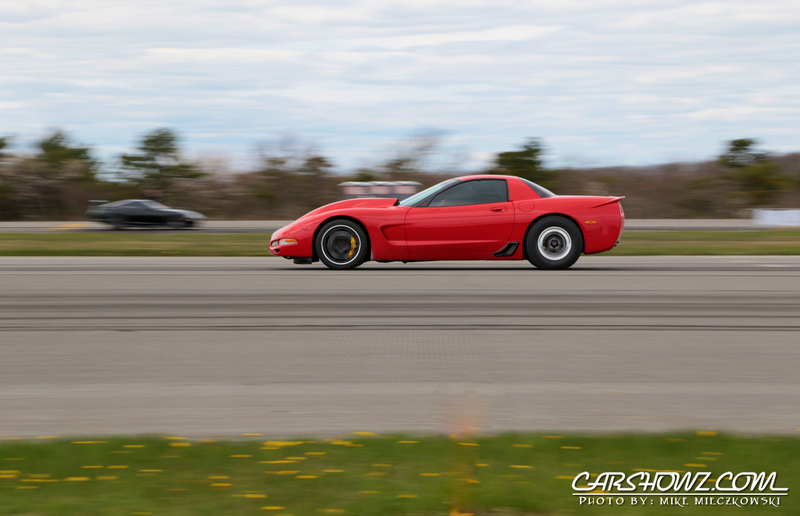 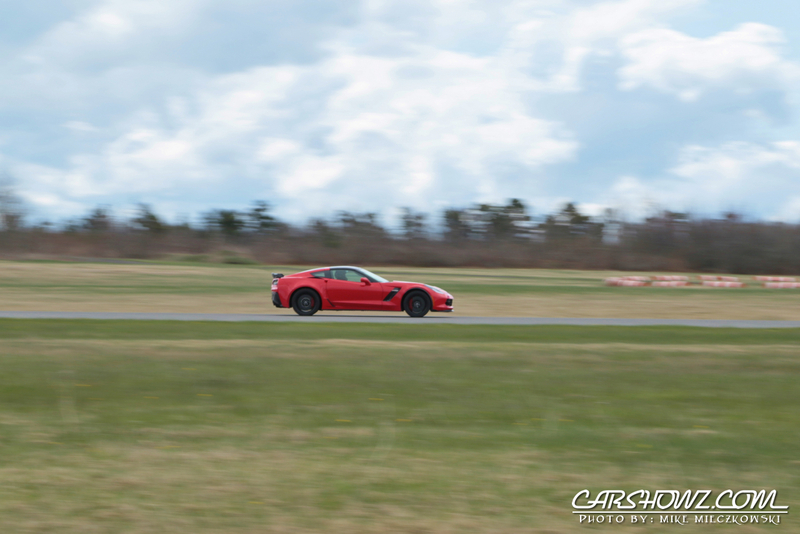 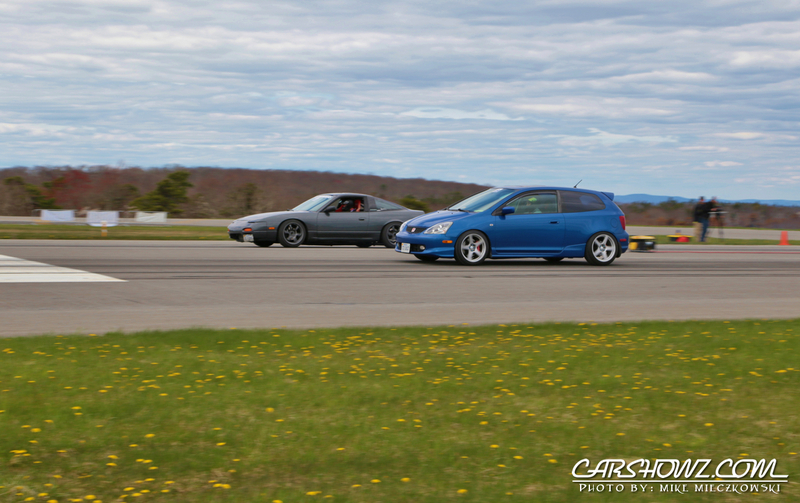 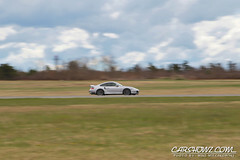 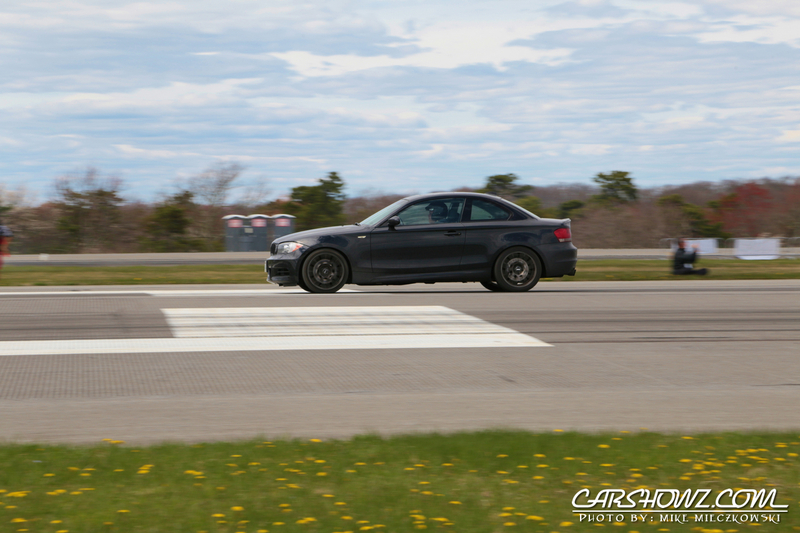 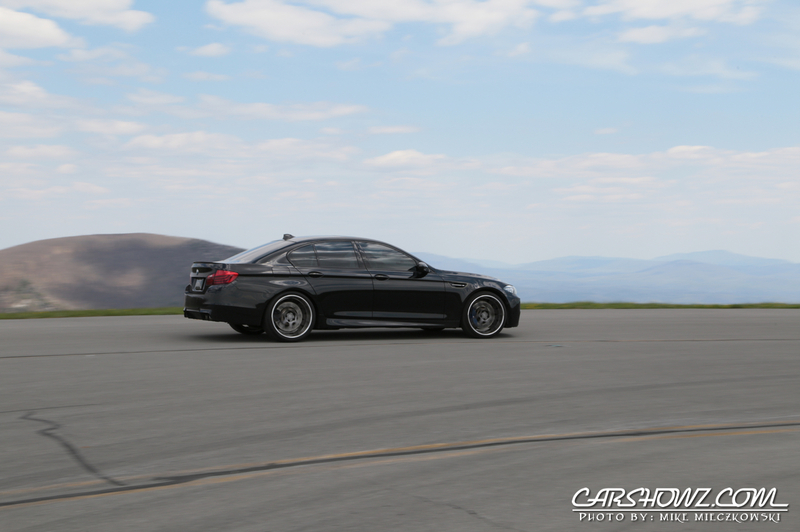 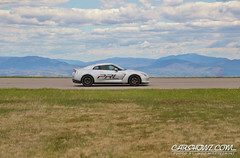 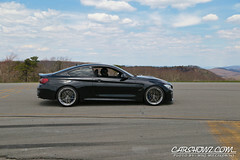 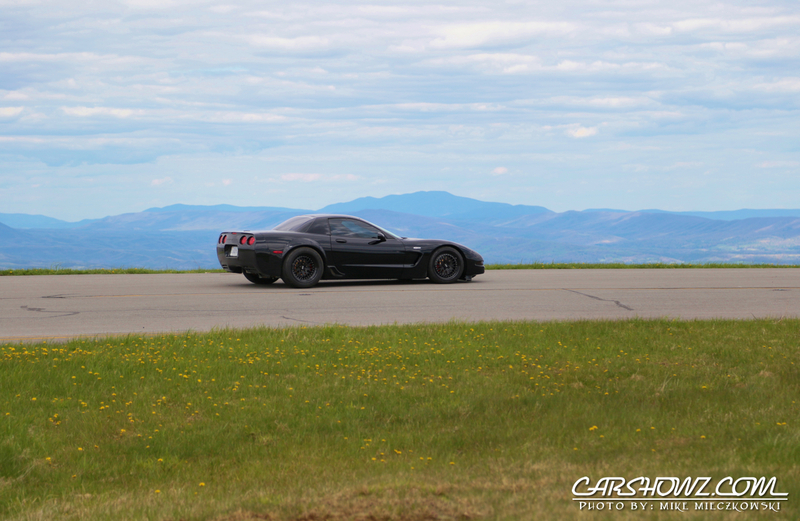 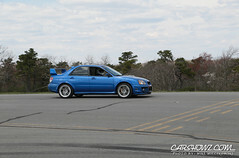 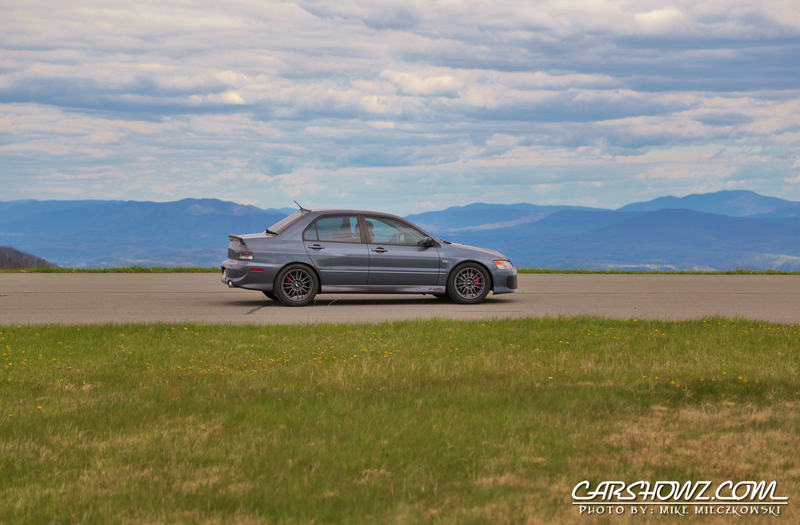 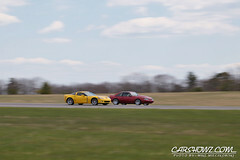 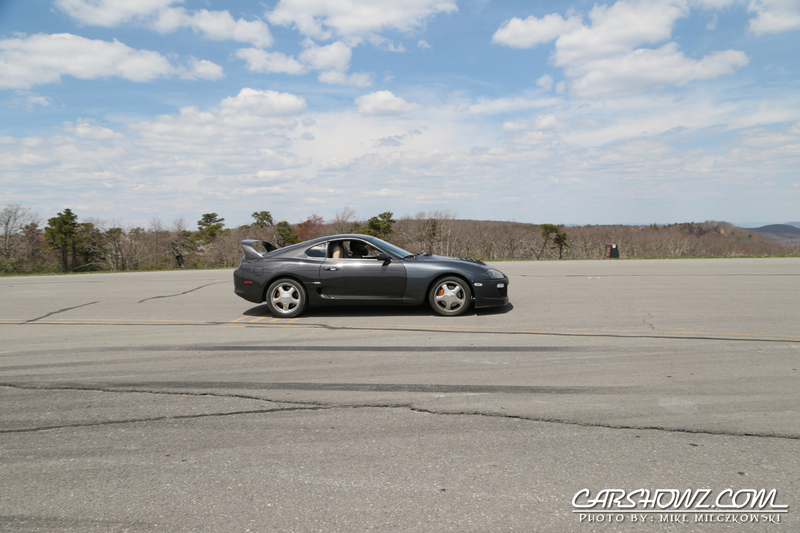 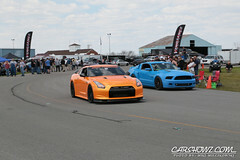 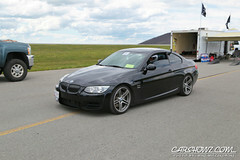 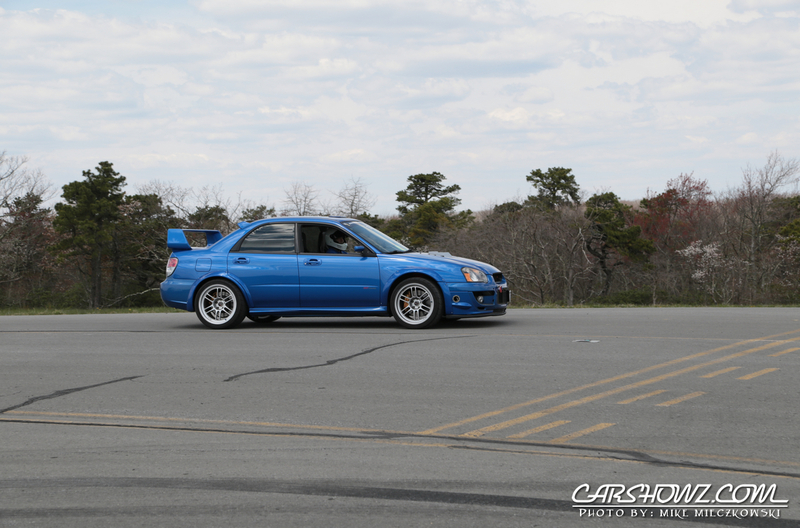 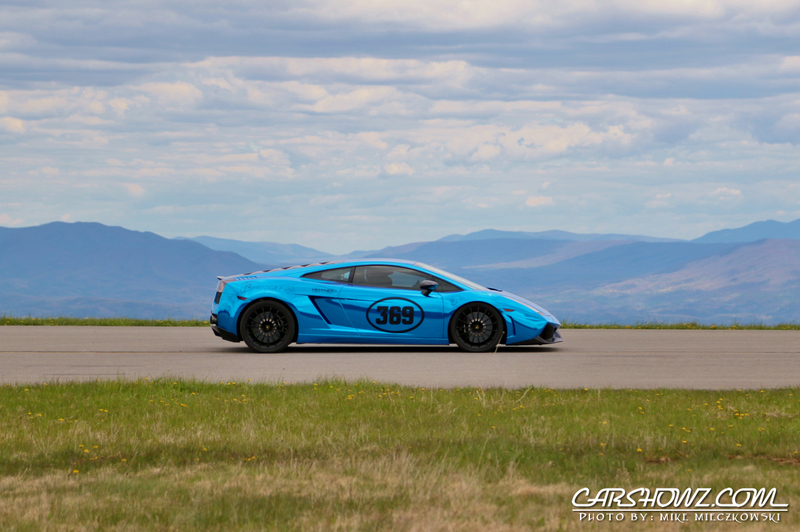 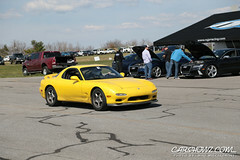 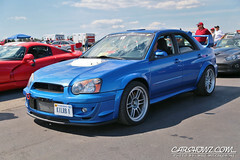 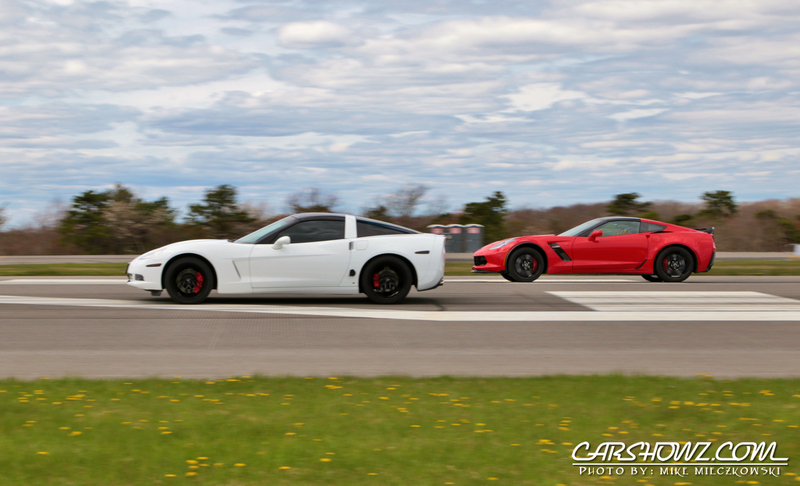 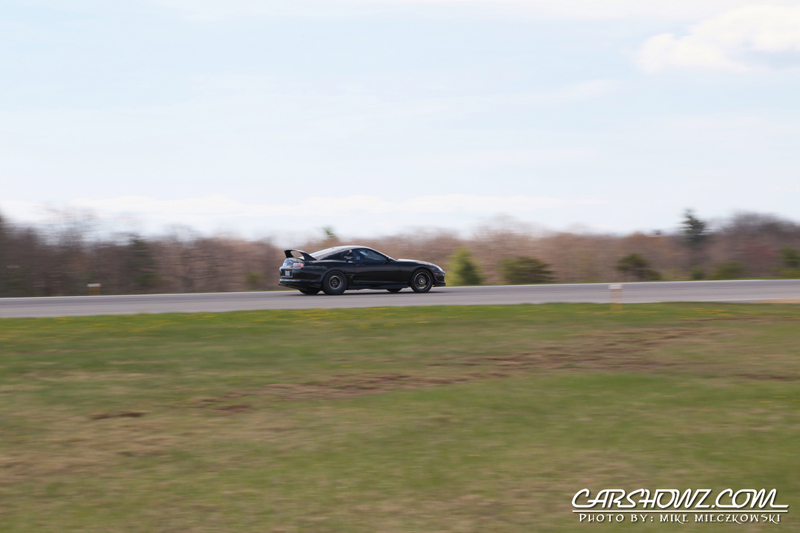 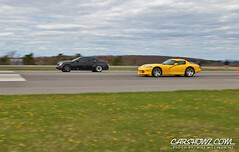 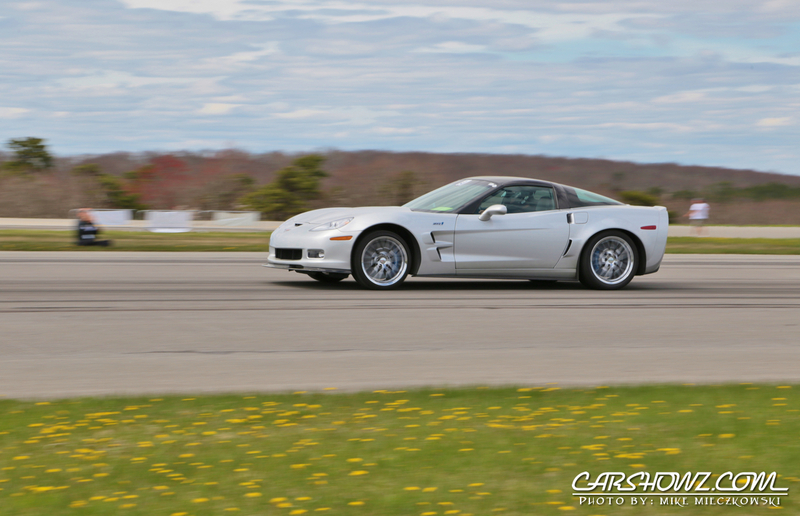 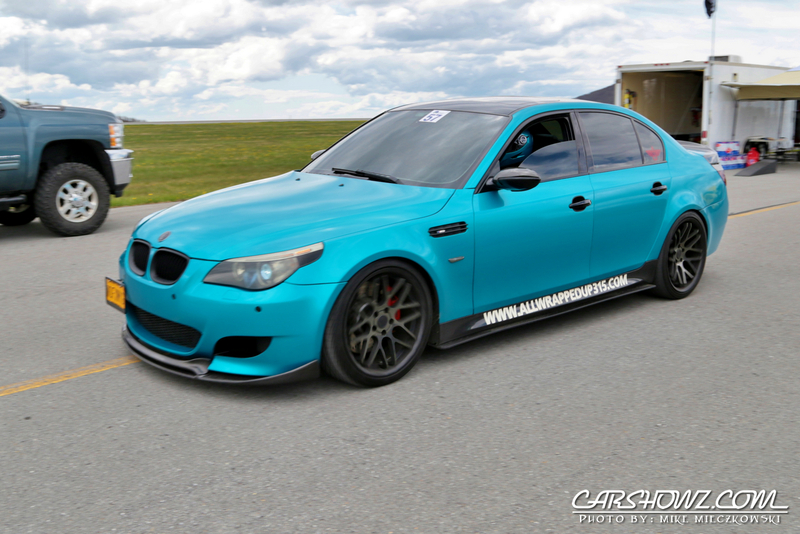 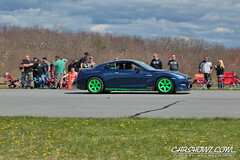 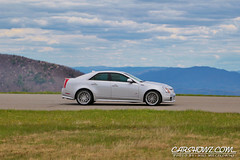 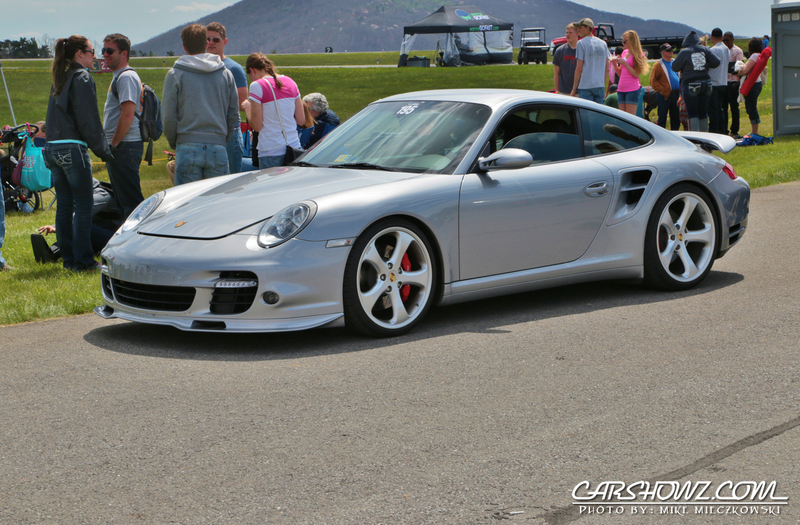 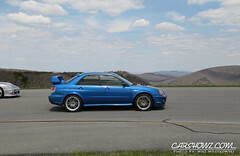 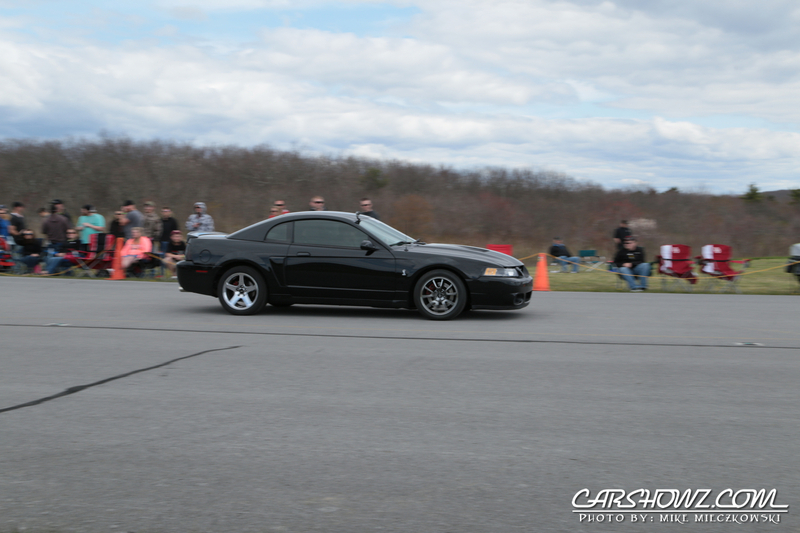 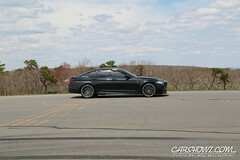 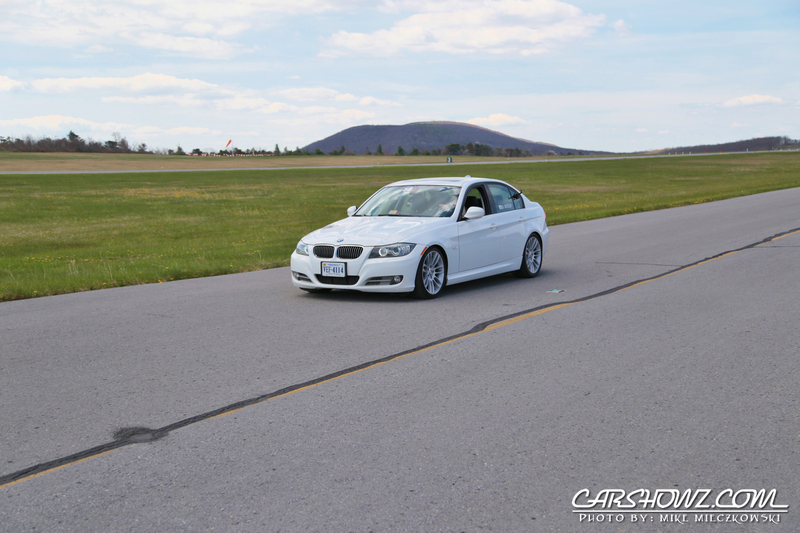 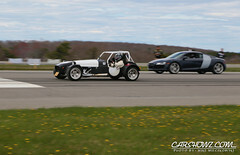 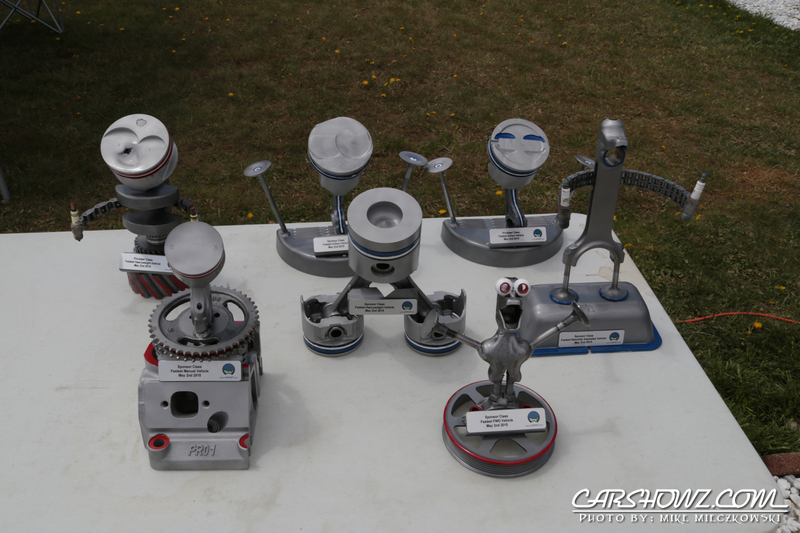 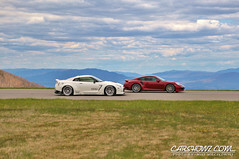 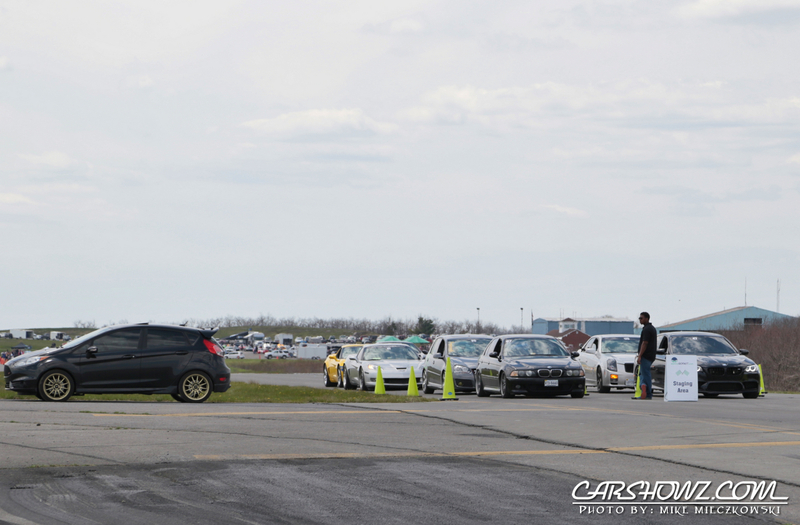 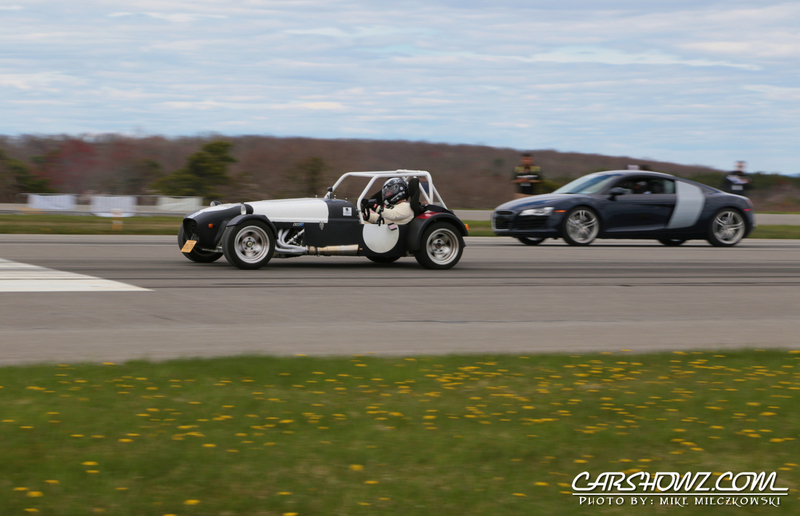 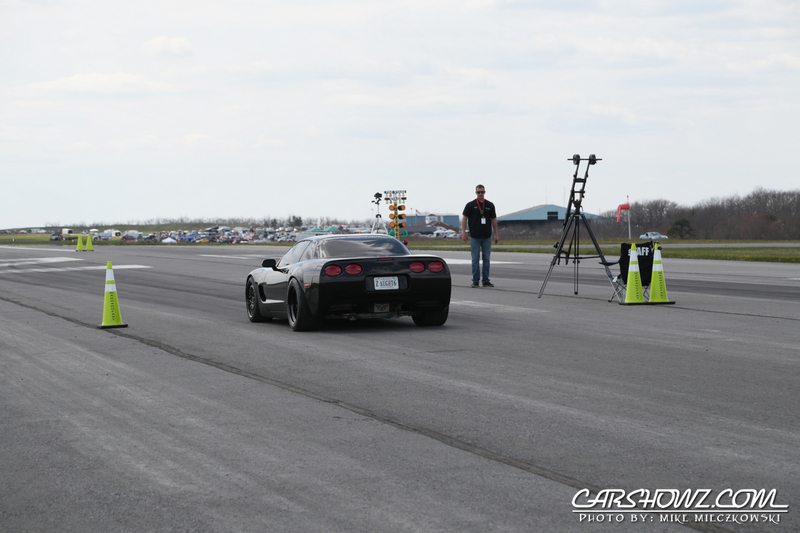 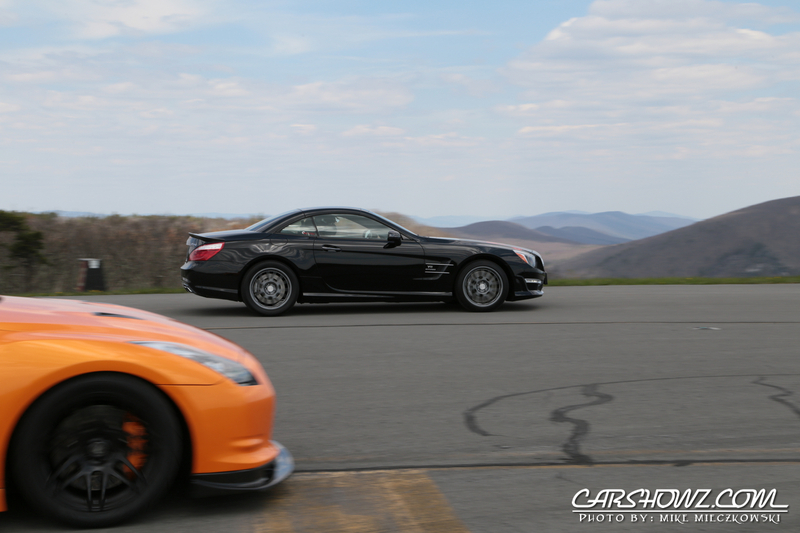 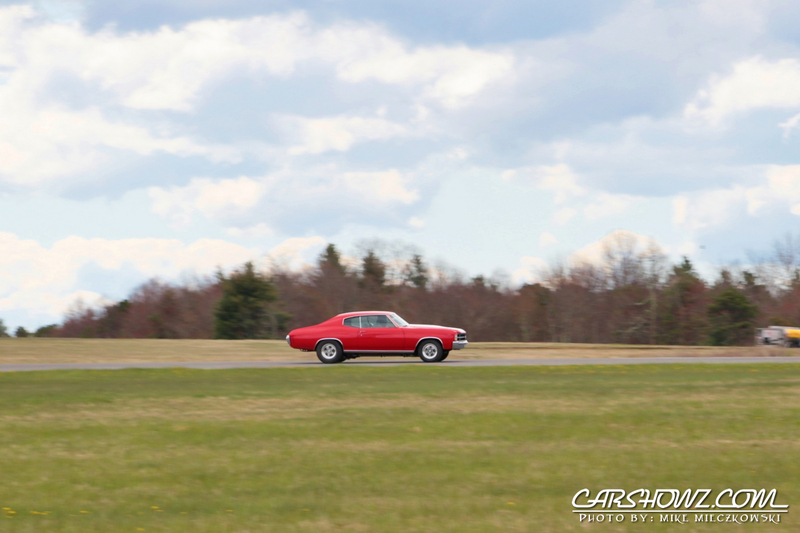 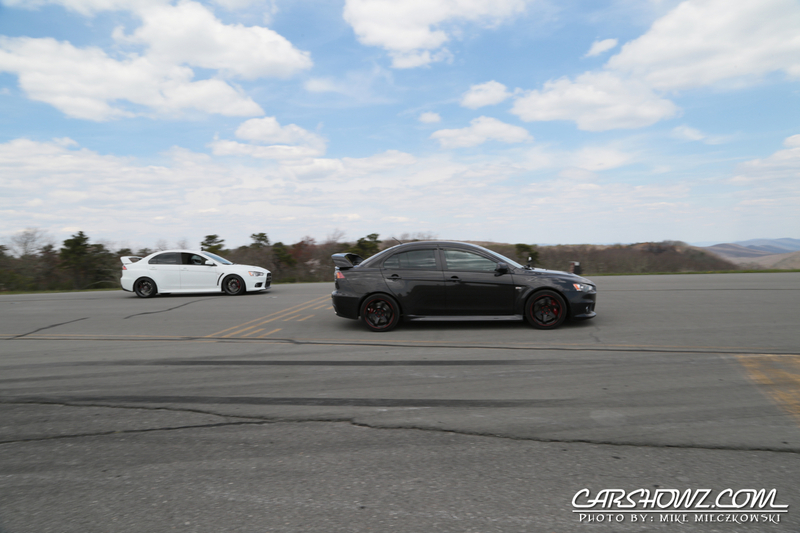 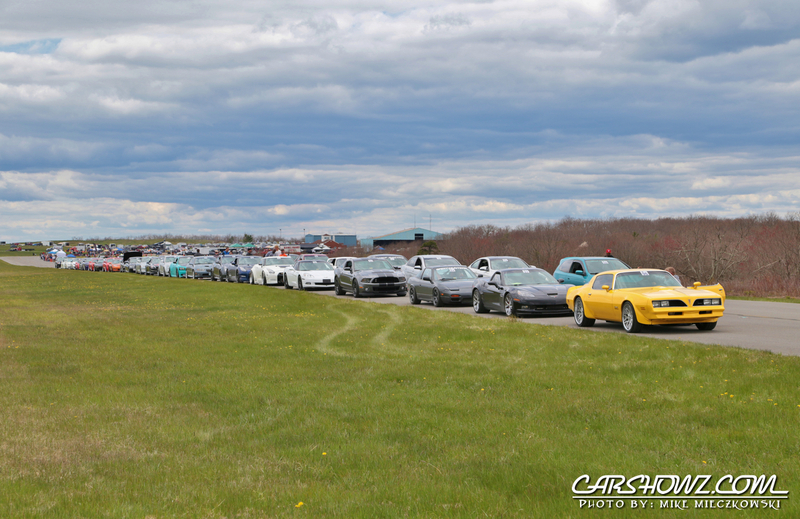 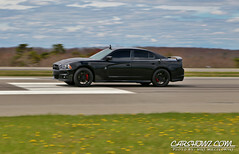 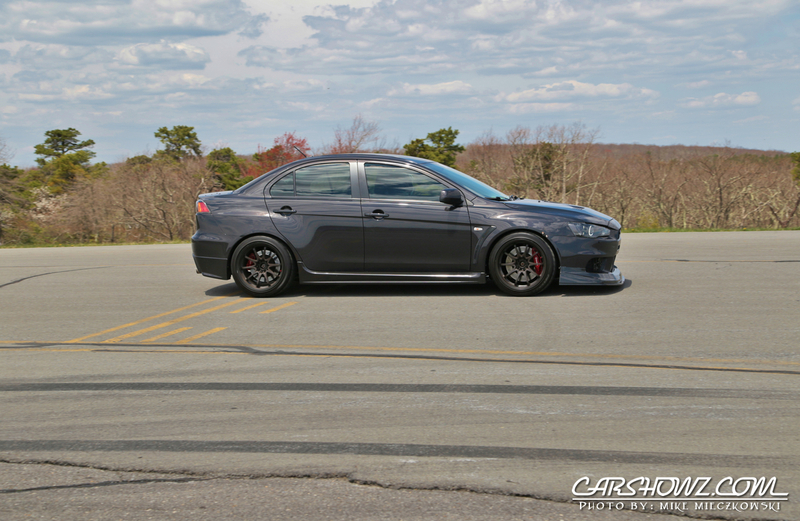 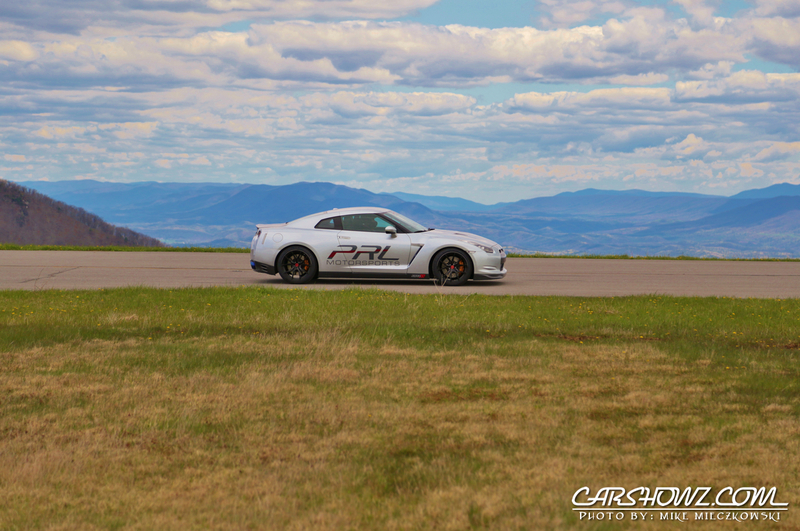 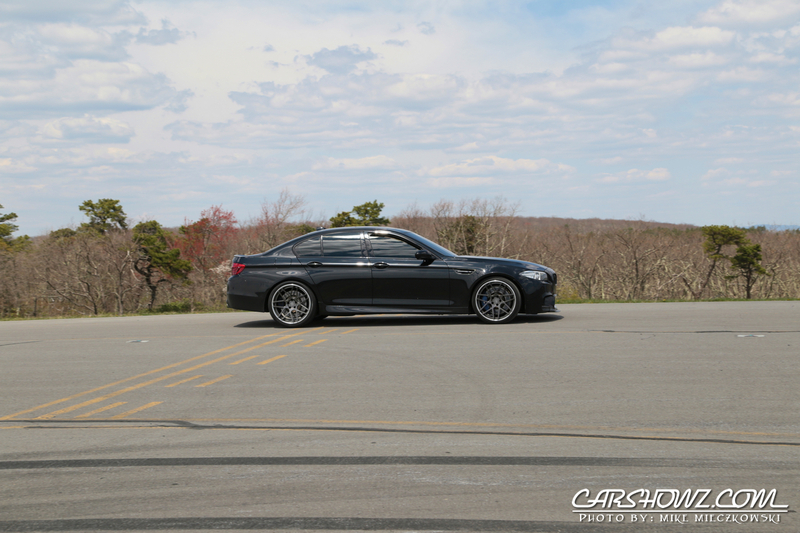 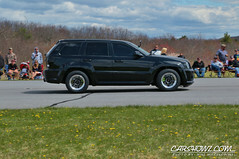 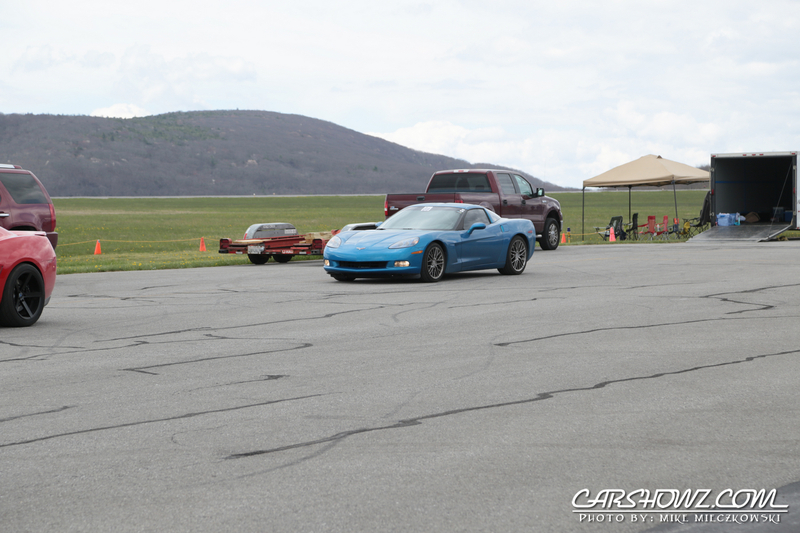 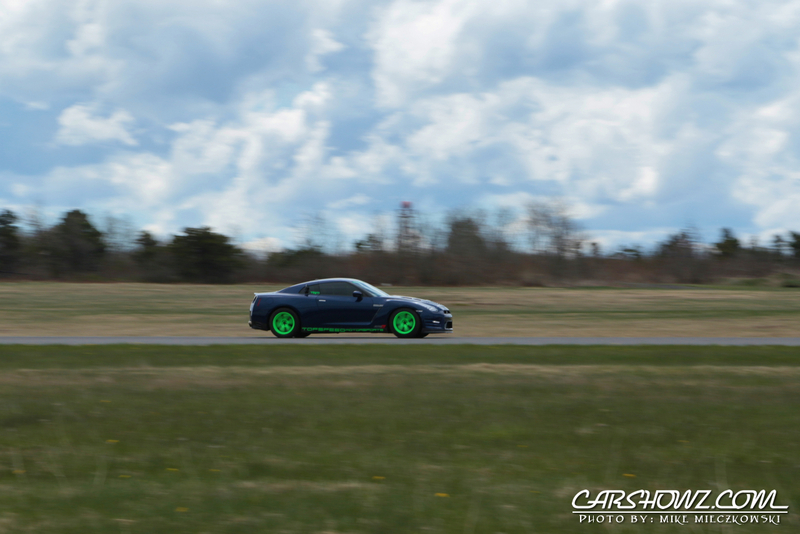 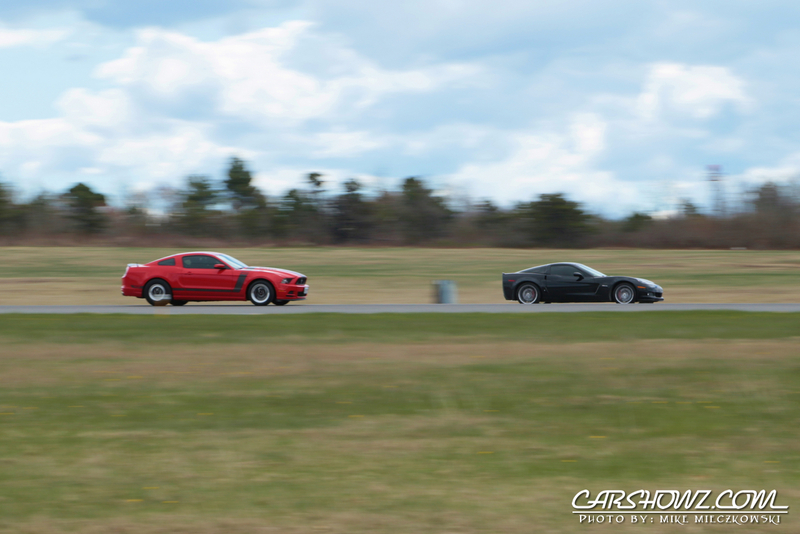 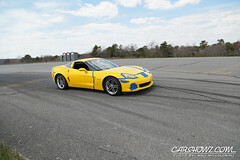 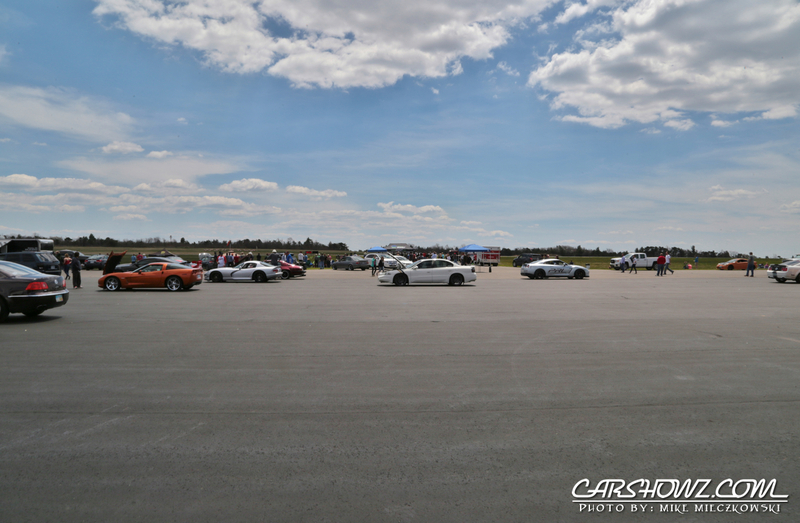 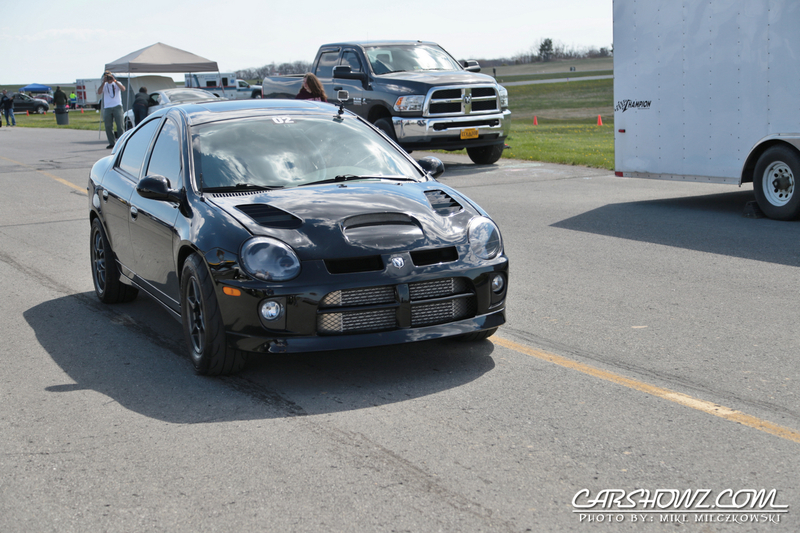 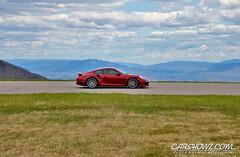 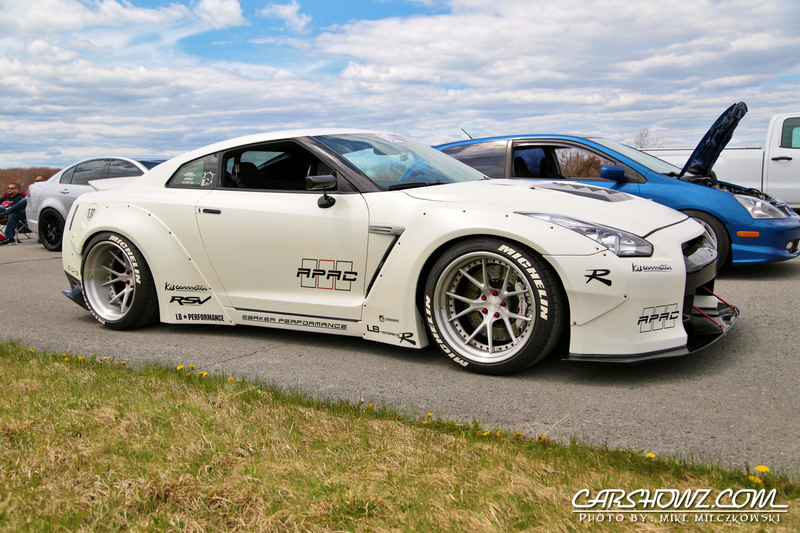 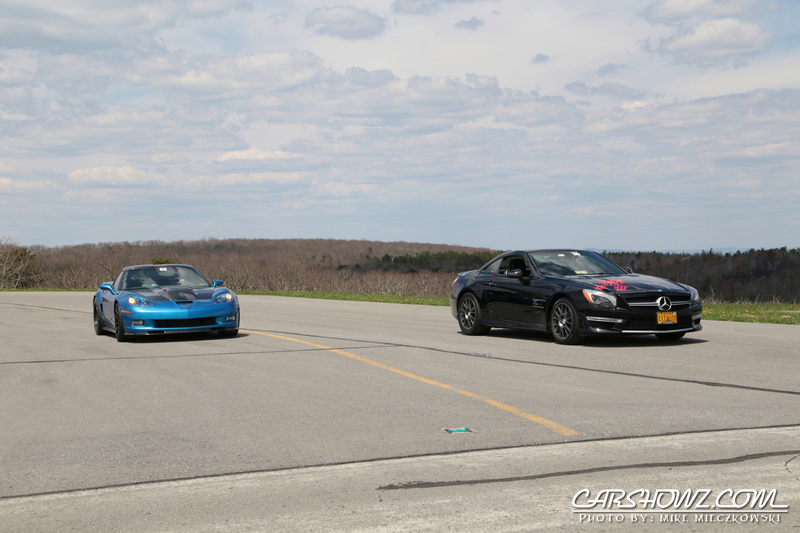 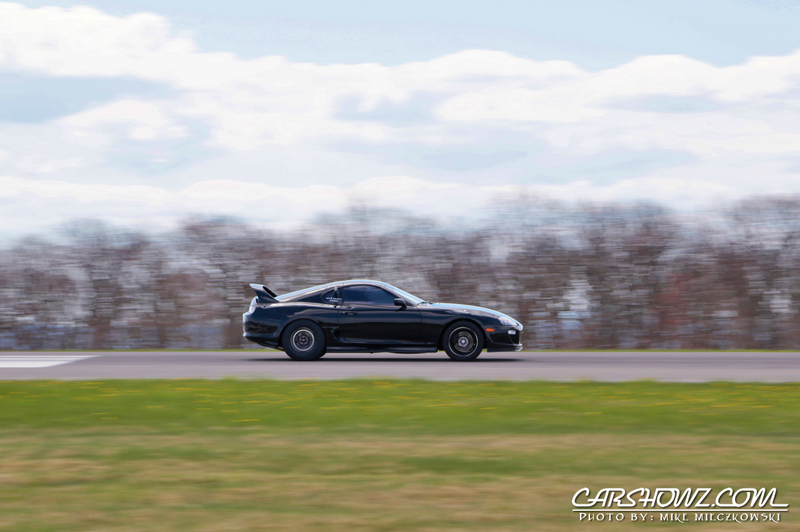 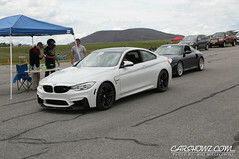 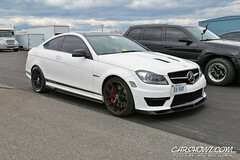 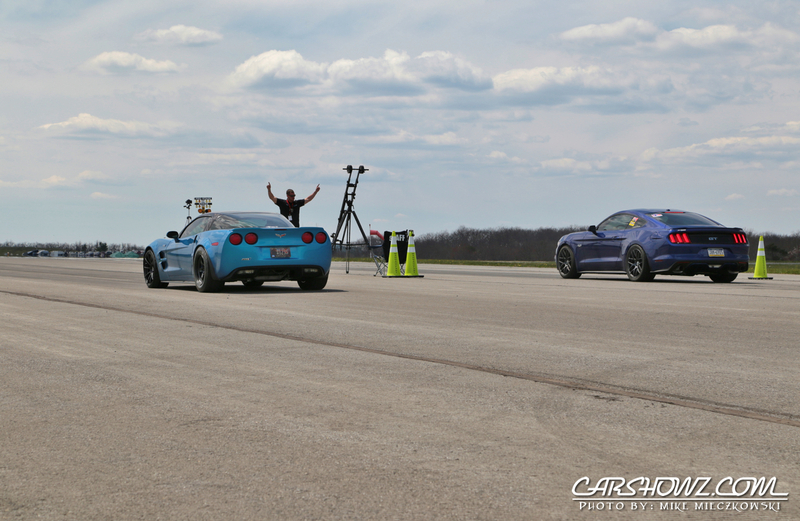 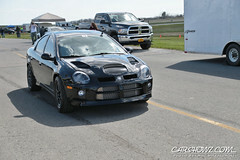 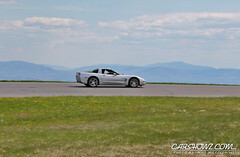 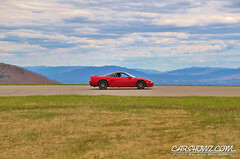 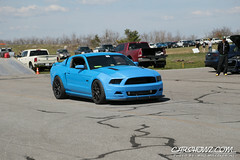 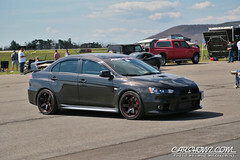 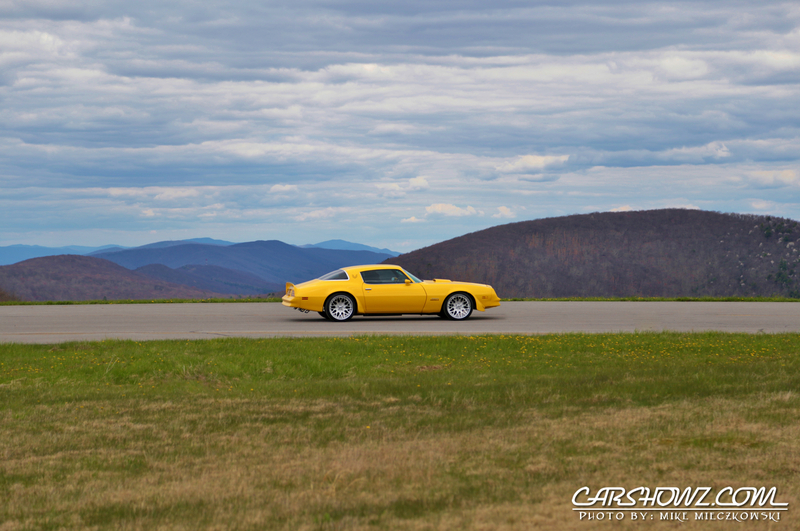 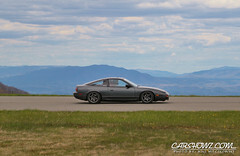 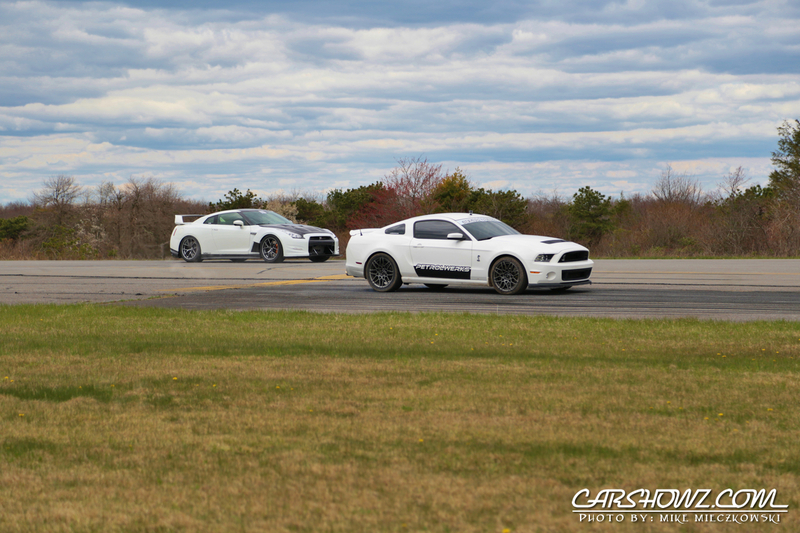 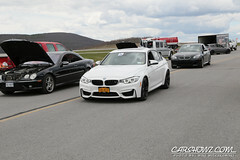 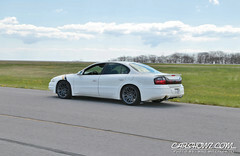 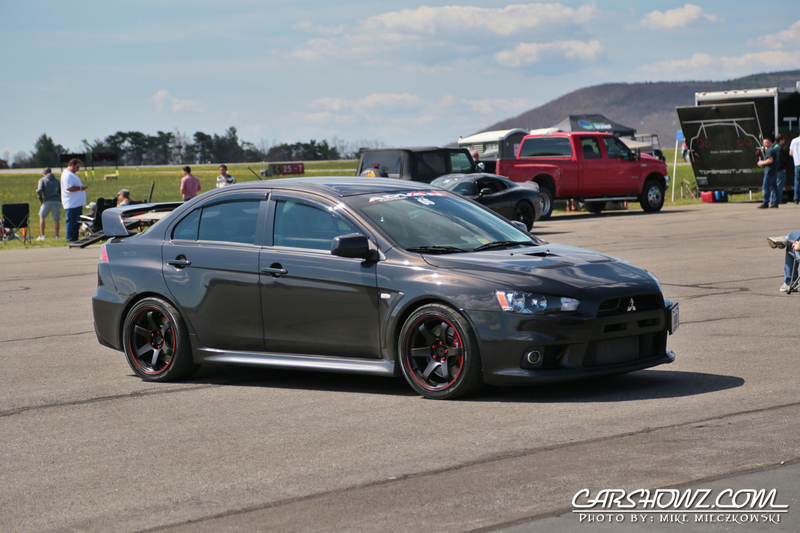 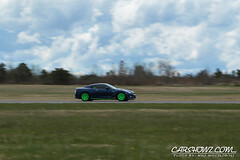 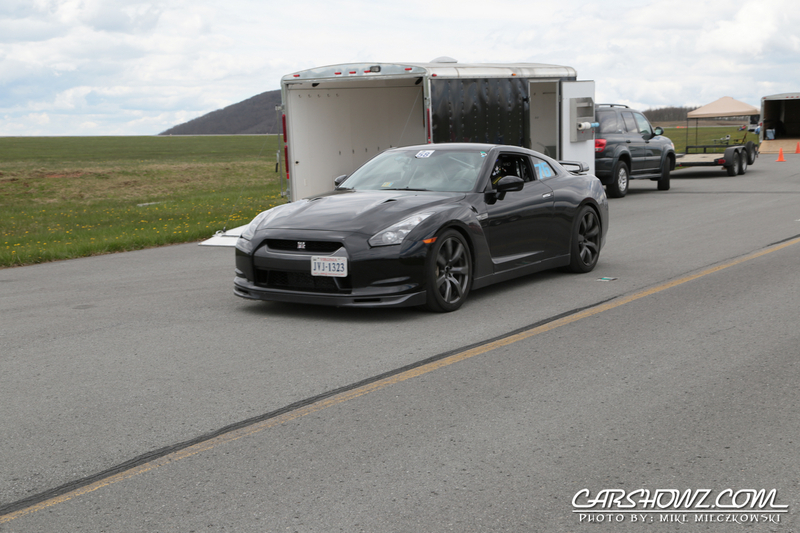 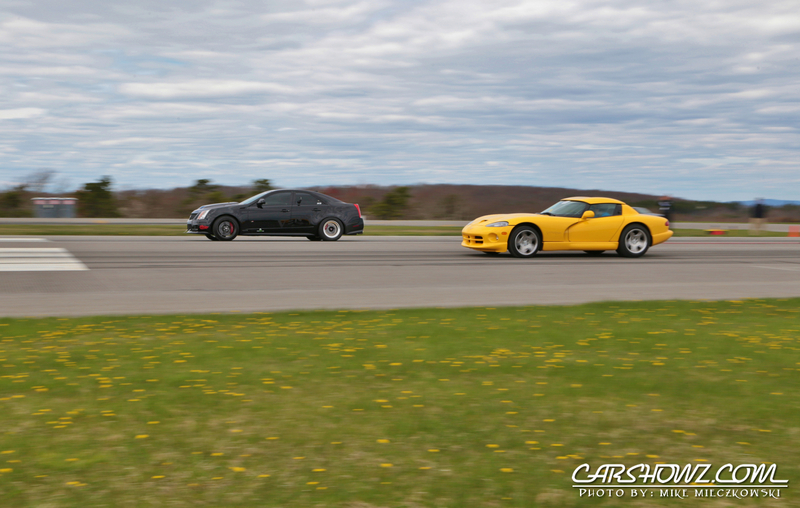 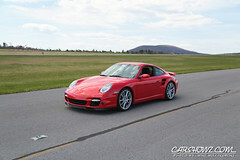 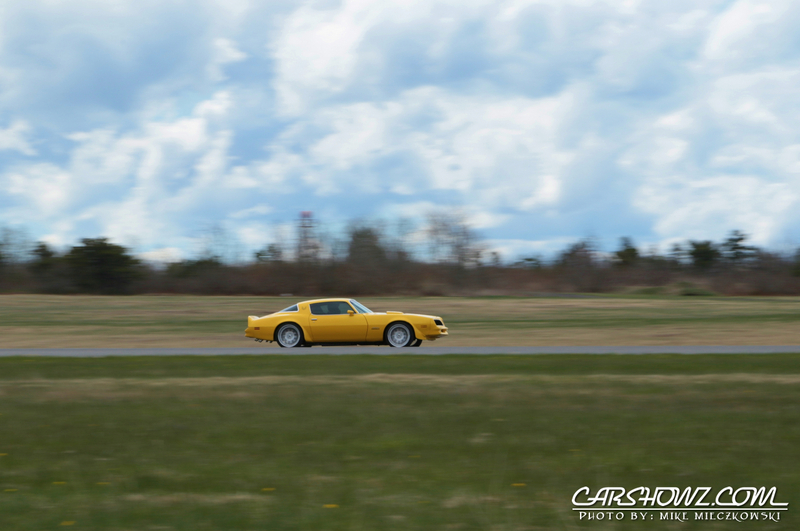 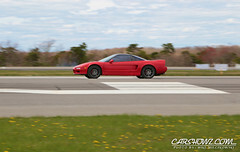 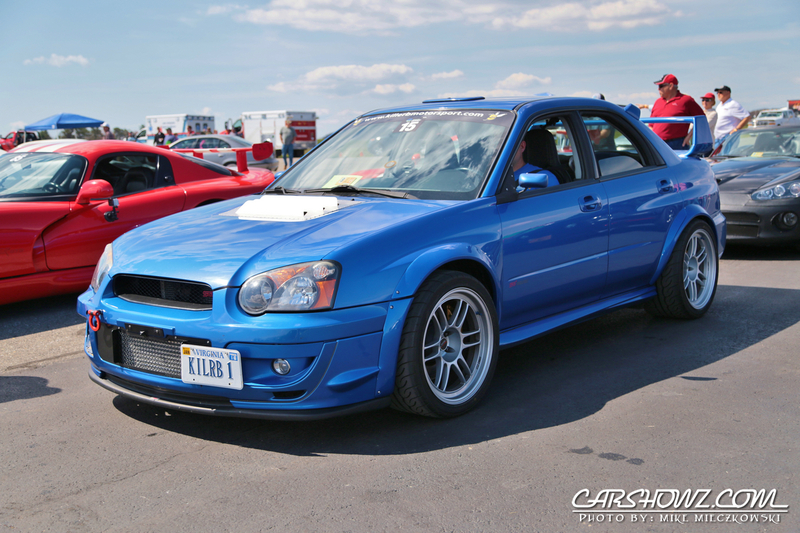 Some of the cars and tuners were challenged by the high elevations but that made for some exciting racing. 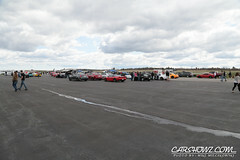 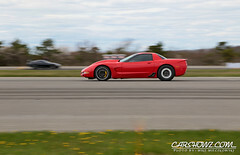 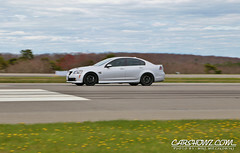 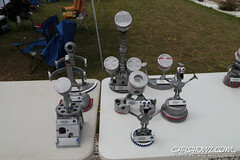 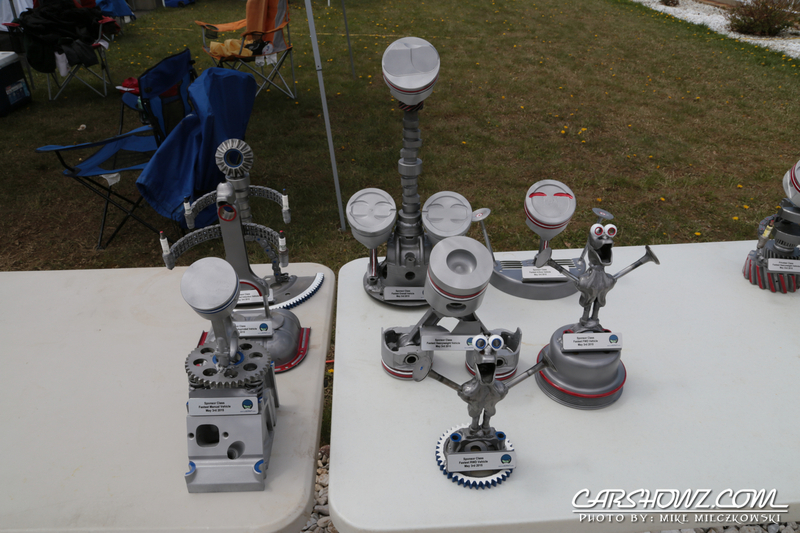 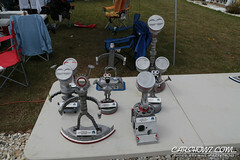 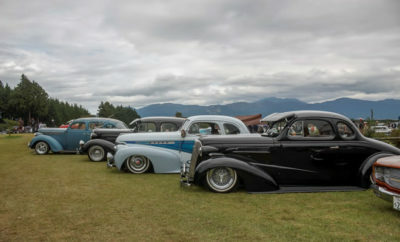 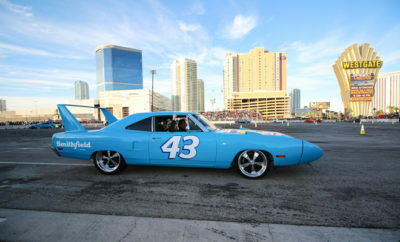 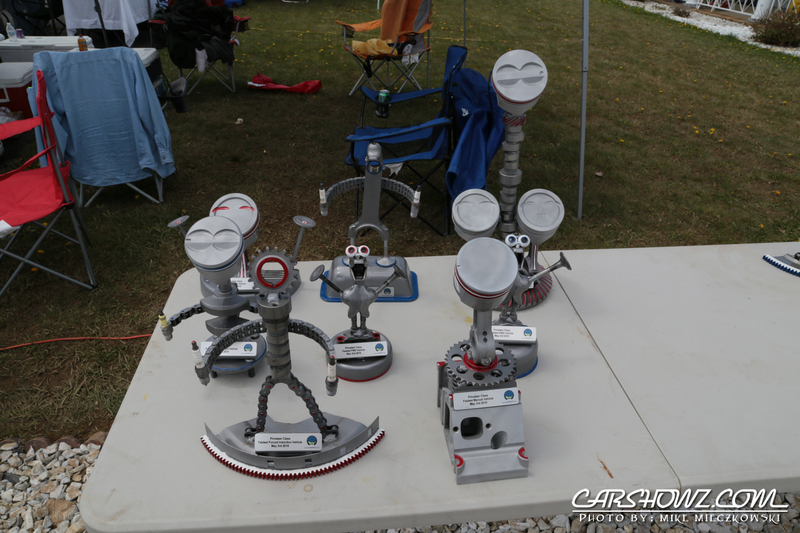 There was a good turnout of spectators both days to take in the sights and sounds of the WannaGoFAST Half Mile Shootout. 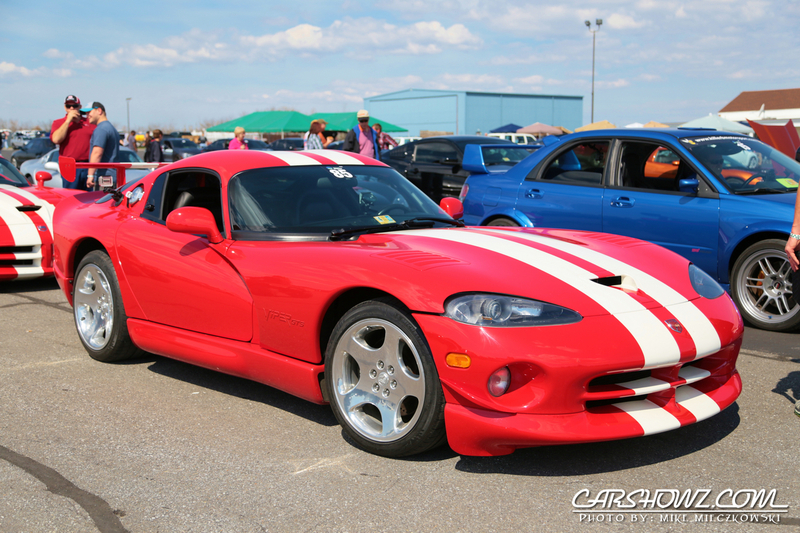 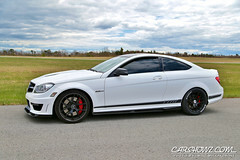 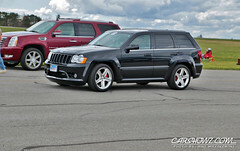 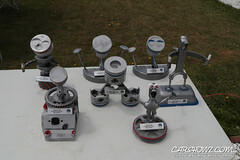 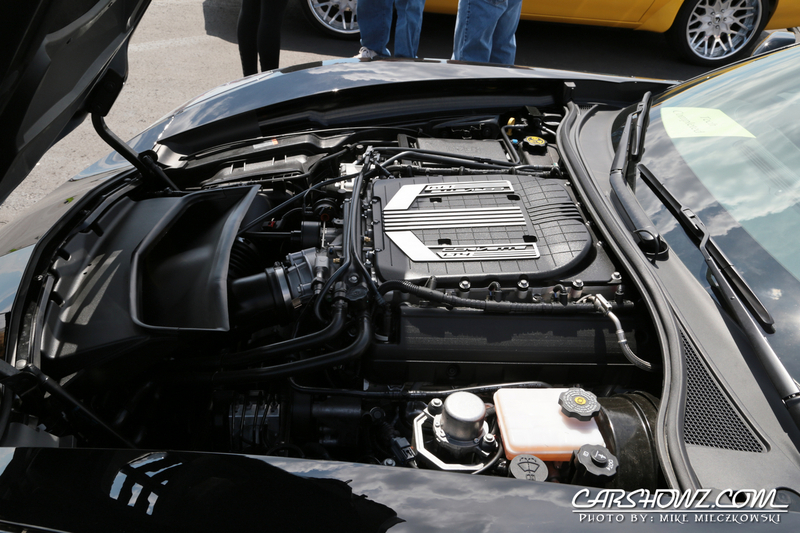 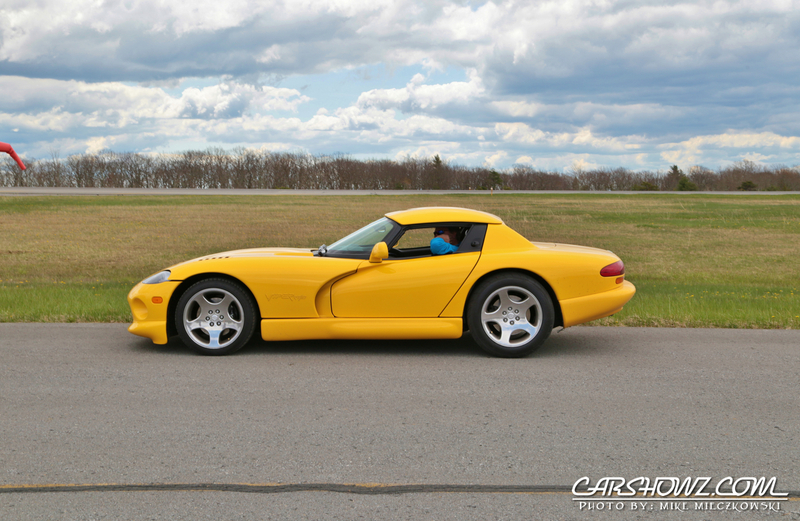 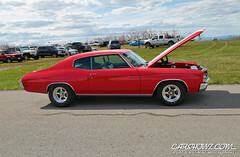 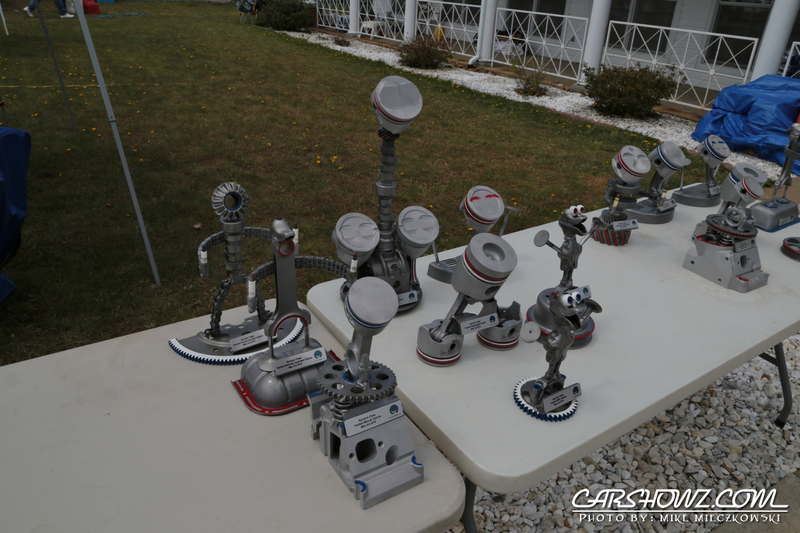 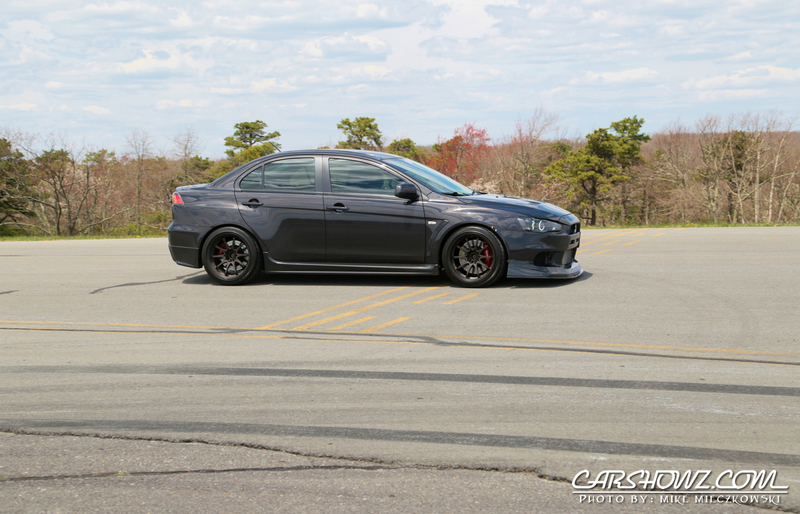 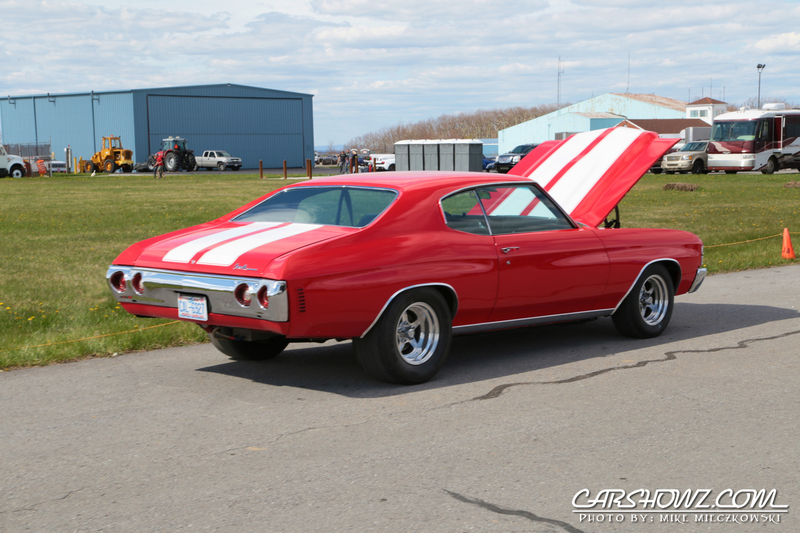 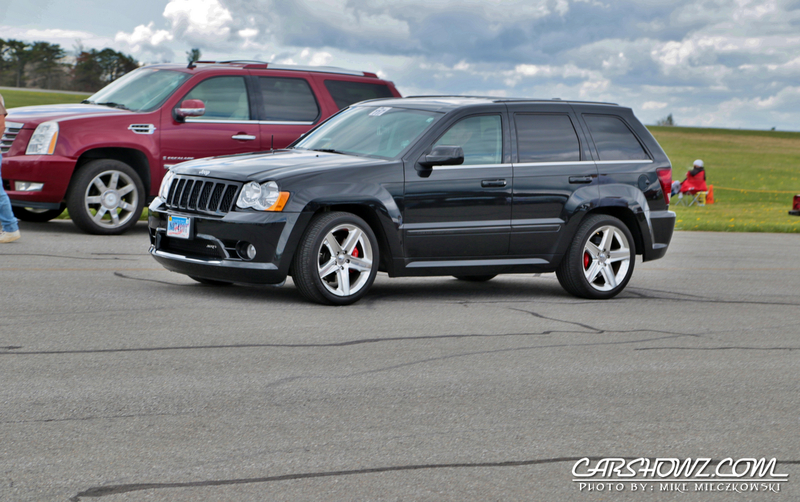 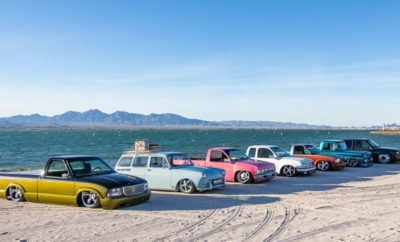 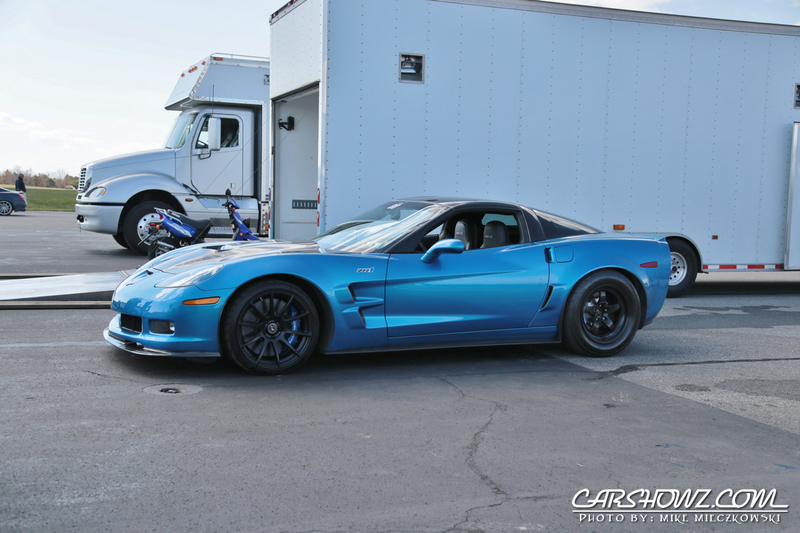 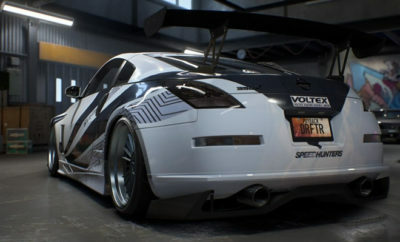 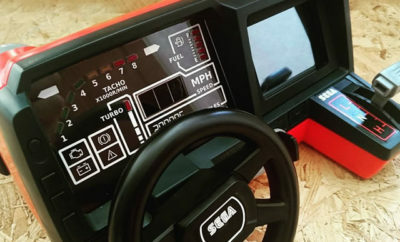 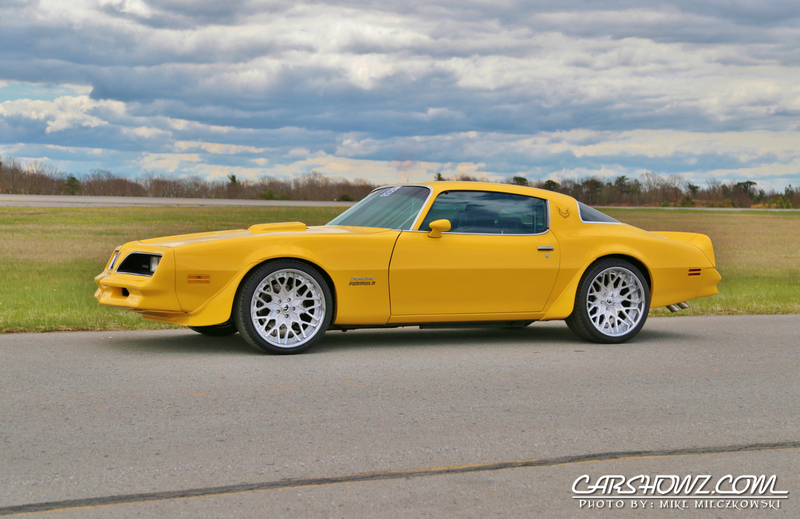 You could find everything from fast Imports to Domestic muscle in all shapes and sizes. 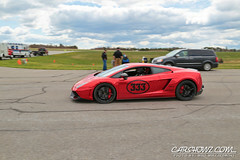 Underground Racing brought out there blindingly fast Lamborghinis with speeds well into the 200 mph range. 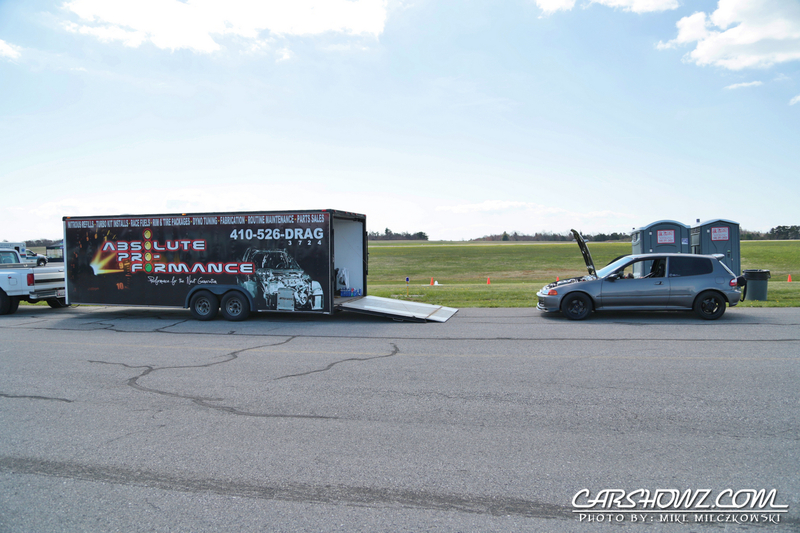 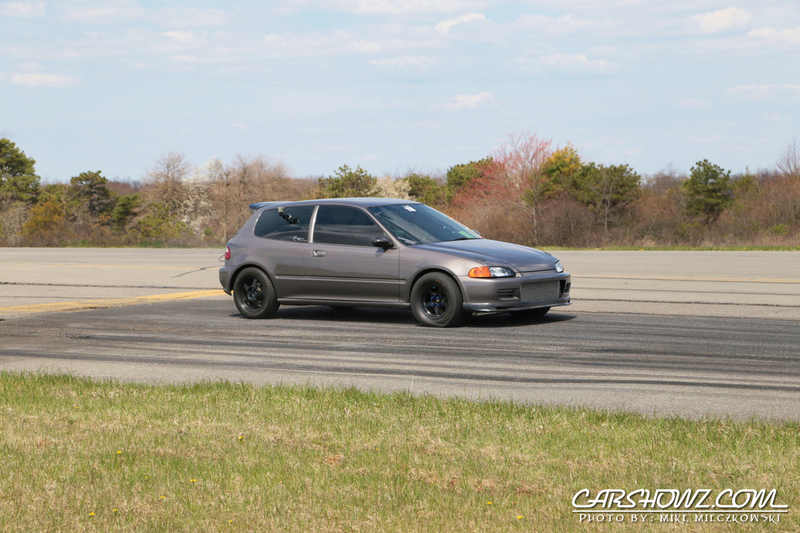 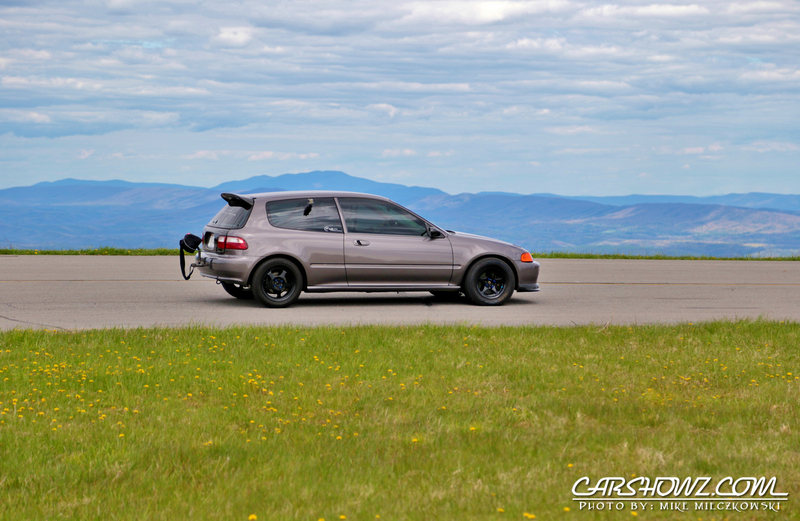 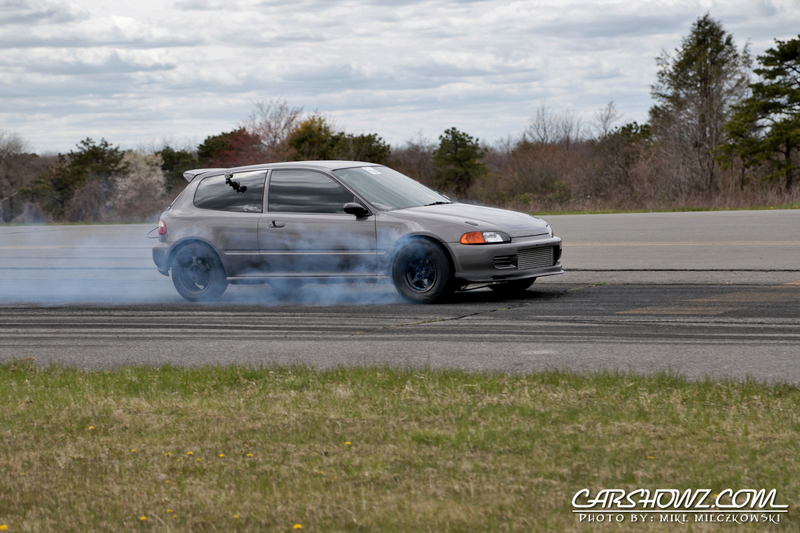 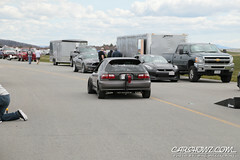 Absolute Pro Performance brought out their 1994 Honda Civic that ran 161.1748 and caught a few people off guard with its speed. 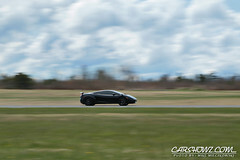 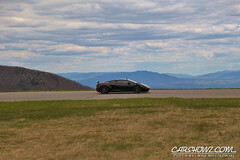 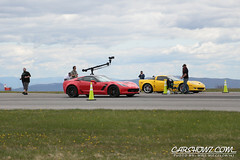 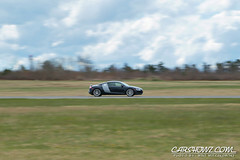 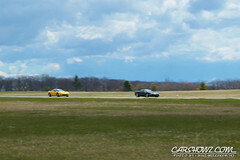 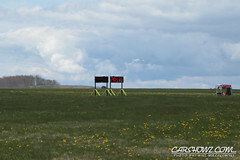 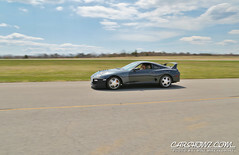 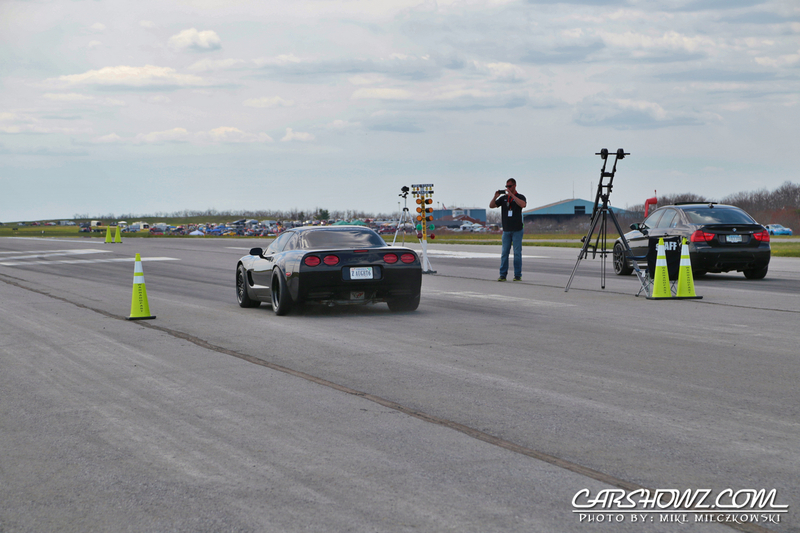 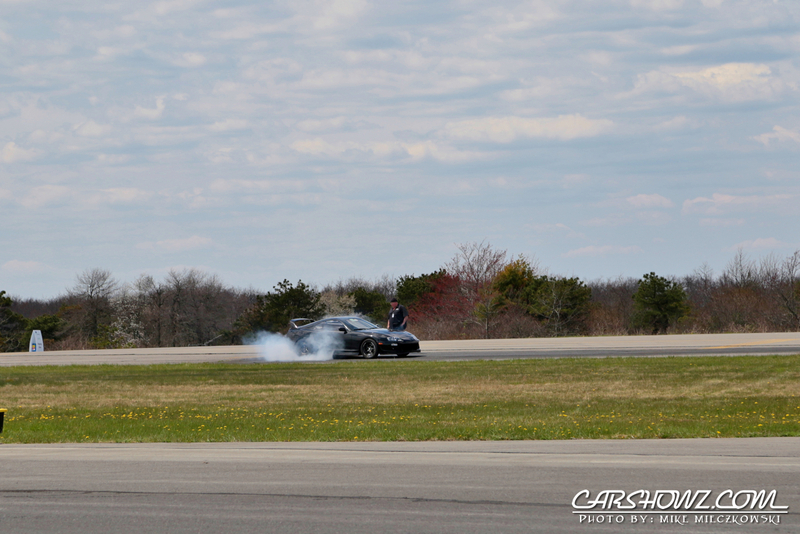 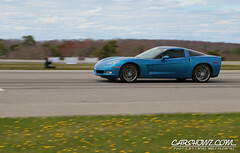 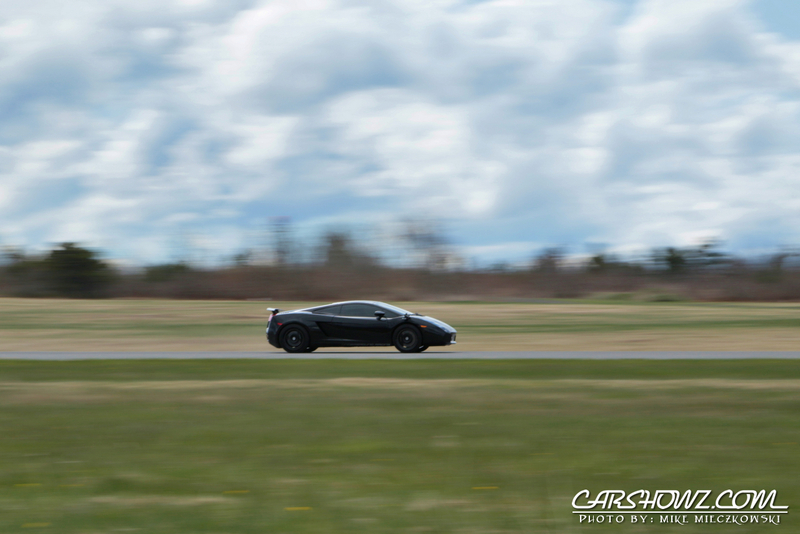 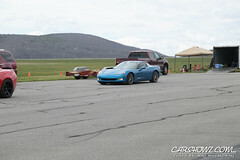 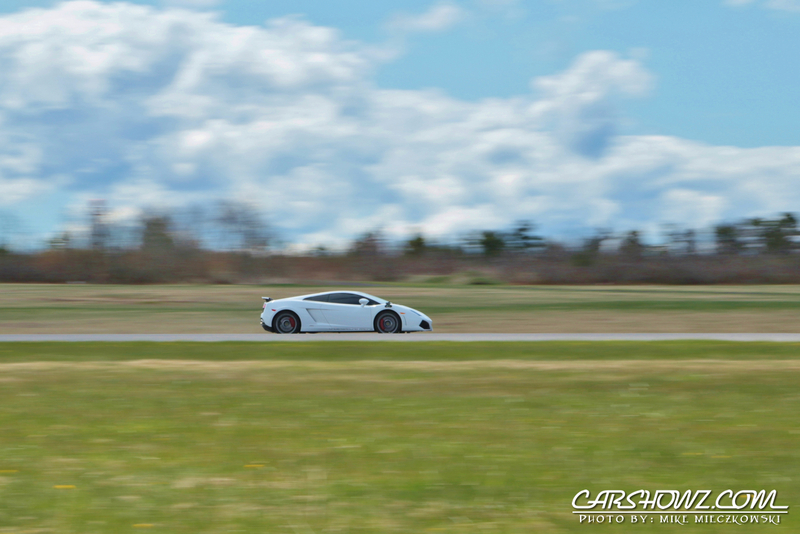 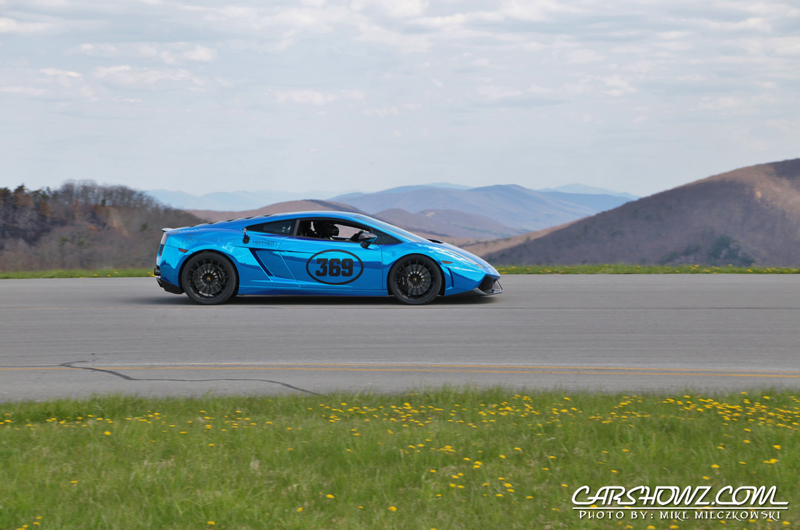 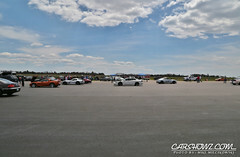 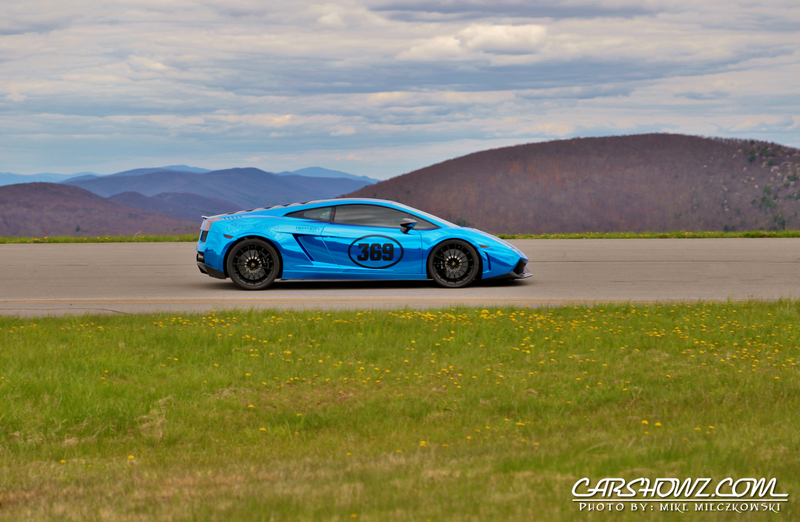 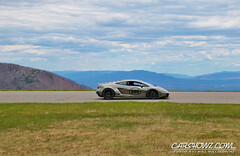 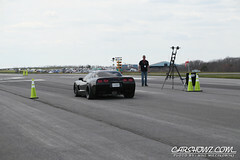 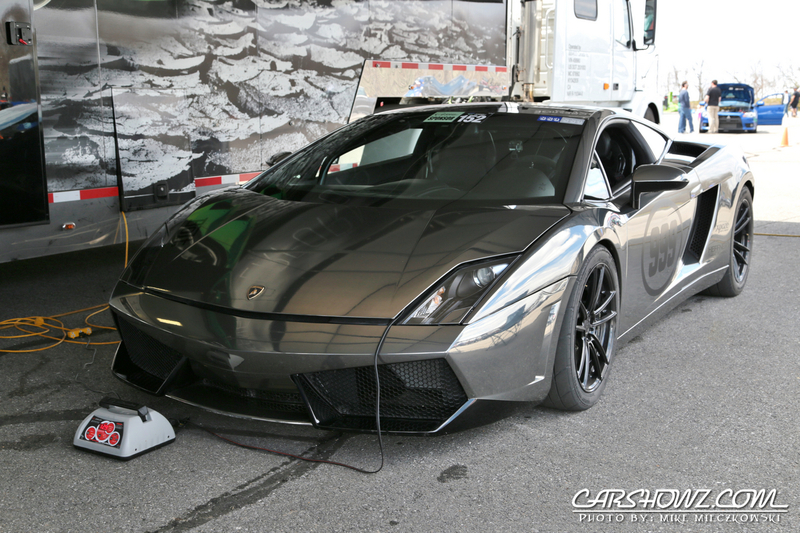 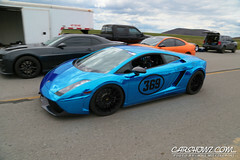 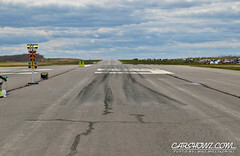 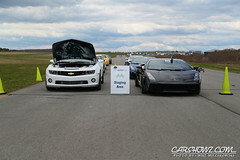 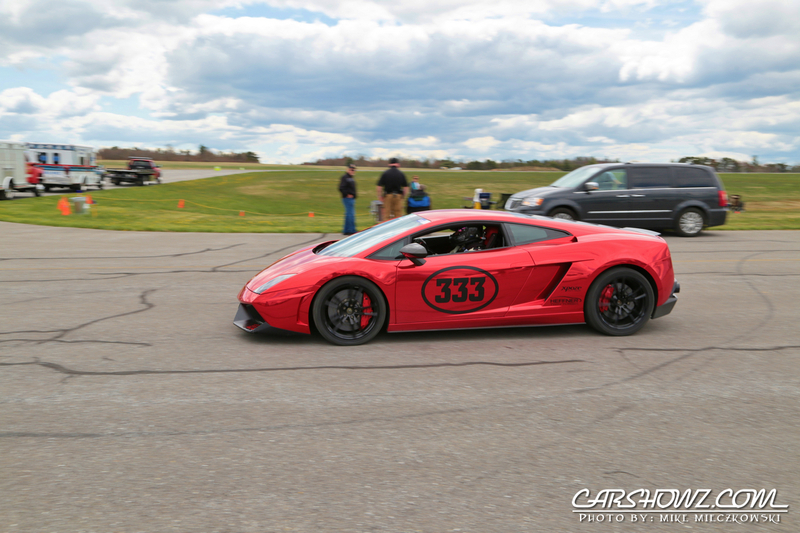 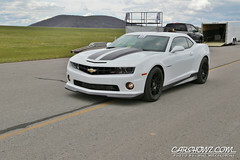 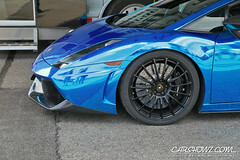 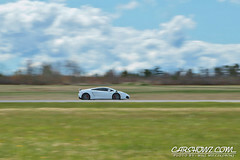 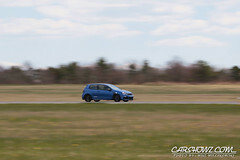 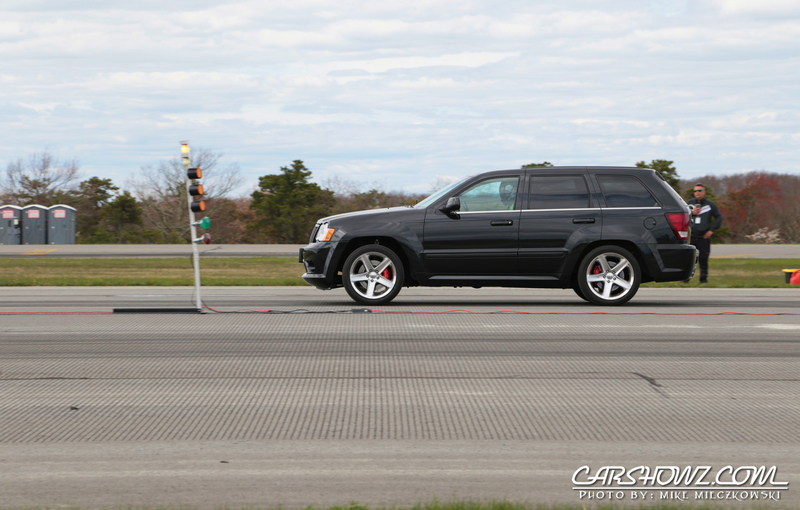 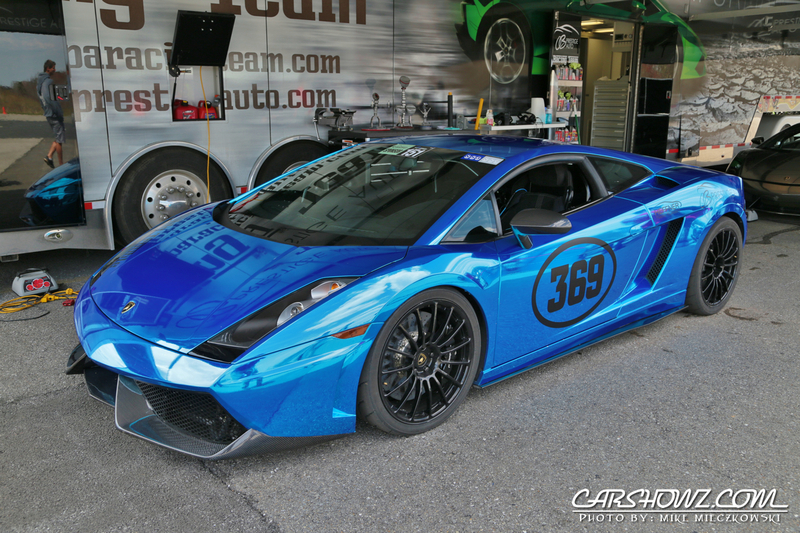 Top speed for the weekend went to a twin turbo Lamborgini Gallardo Superleggera running 227.9635 in the half mile. 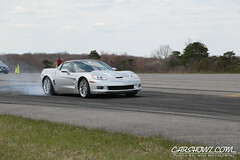 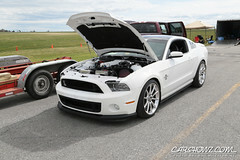 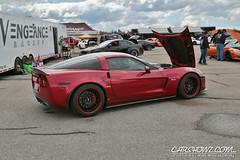 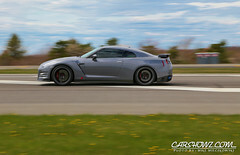 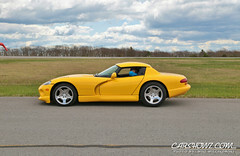 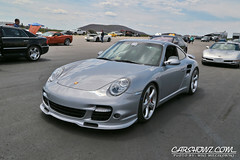 If you love fast cars doing what they are built to do then this is an event you should add to your bucket list. 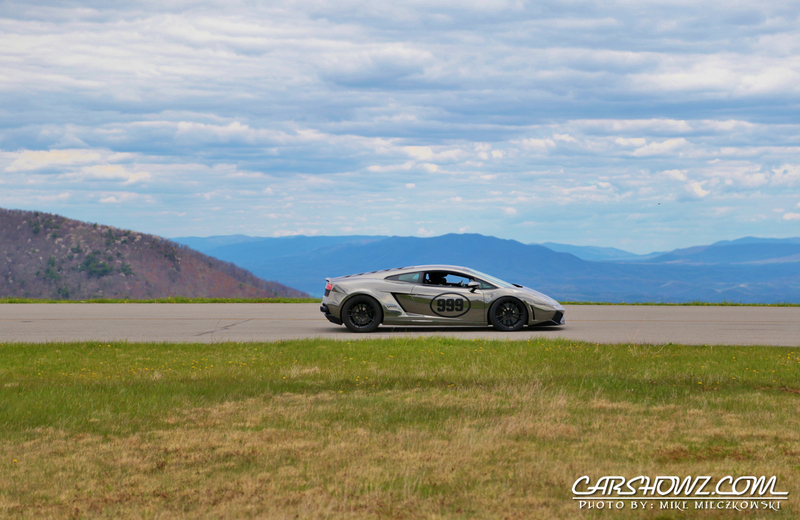 The location of the event in Hot Spring,VA is an absolutely beautiful area with lots to see when the racing is not in progress. 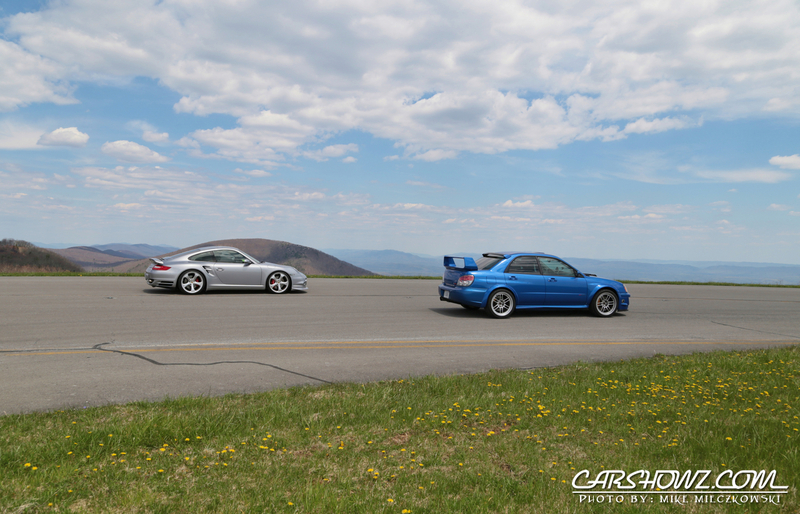 There are many awesome roads to drive on that have very fast switchback turns and speed limits to make any driving enthusiast grin with joy. 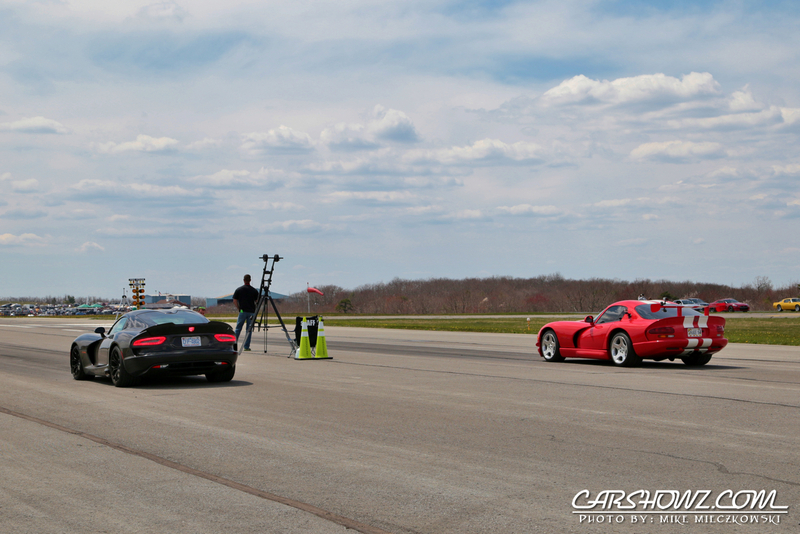 The host hotel for the event was the ever so amazing Omni Homestead Resort & Spa. 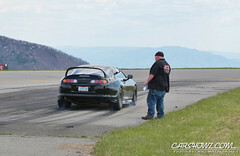 Others like myself chose to spend the night in Covington,VA which is about a half hour away from the event. 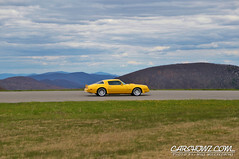 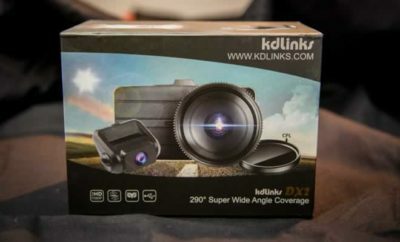 Covington and the surrounding areas a filled with scenic locations and historical landmarks which made downtime a real pleasure. 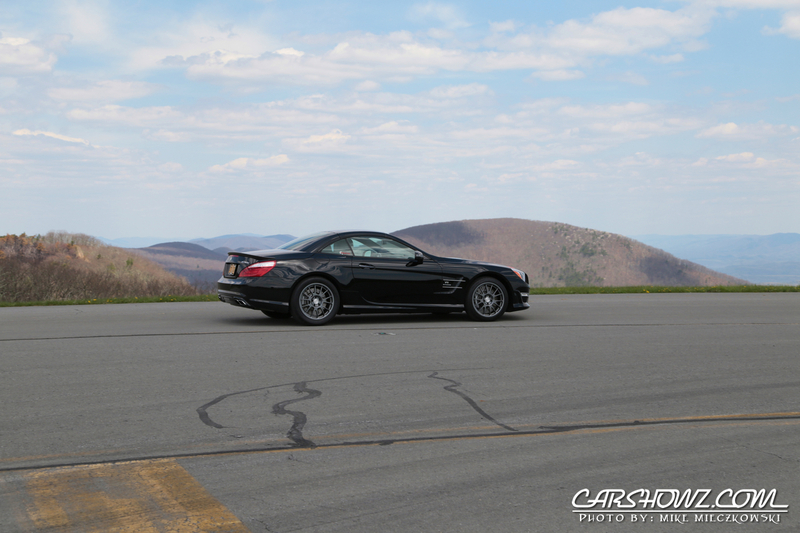 I spent a few hours and took in 85 miles of scenic driving through the twisting mountain roads and have to say it was one of the most enjoyable driving experiences I have had. This is for sure an event I am already looking forward to attending in 2016. 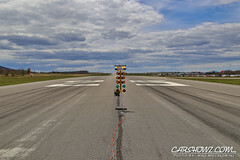 For anyone hoping to go in 2016 I would say that GPS accuracy is far from optimal and you should plan your route prior to trying to locate the airfield. 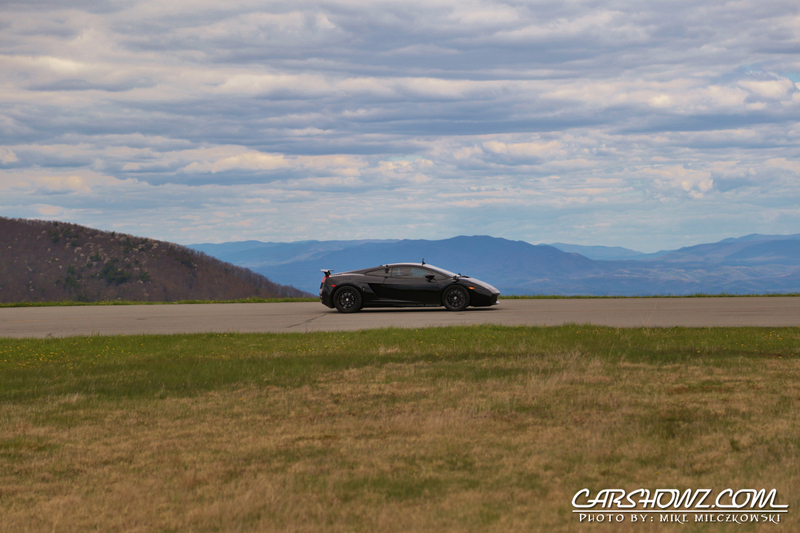 At one point my GPS tried to take me up the “Goat Road” which is pretty much as it sounds. 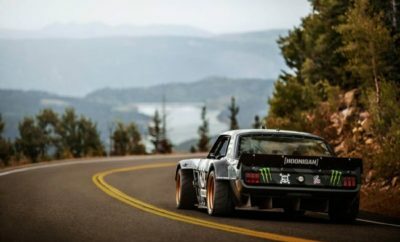 A steep climb over softball size stones. 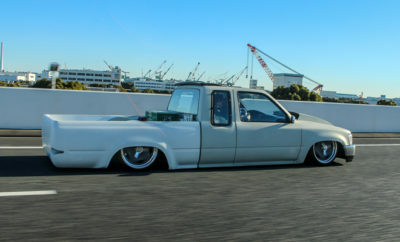 Being in a very low truck this was not an option for me. 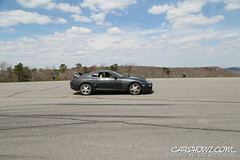 Luckily I was able to join in with others that lost their way and we eventually found the spot. 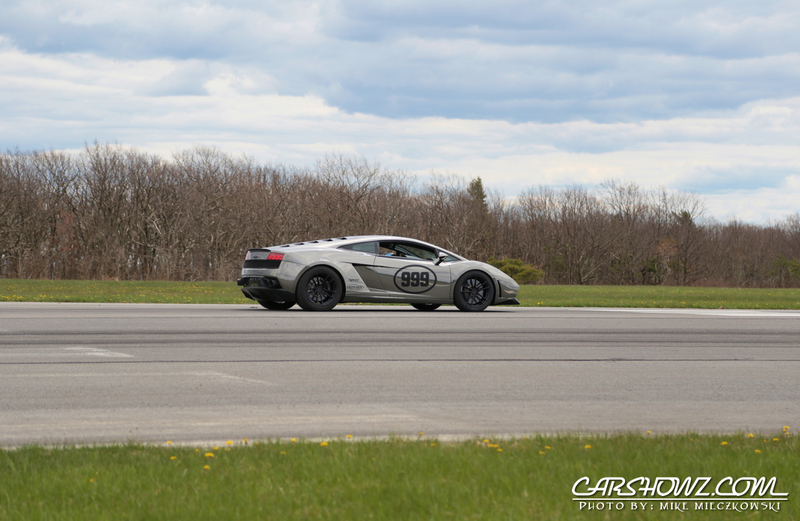 The WannaGOFAST Facebook page did warn of this ahead of time so it was not a big surprise when my GPS got confused and kept telling me to turn around no matter what direction I drove.